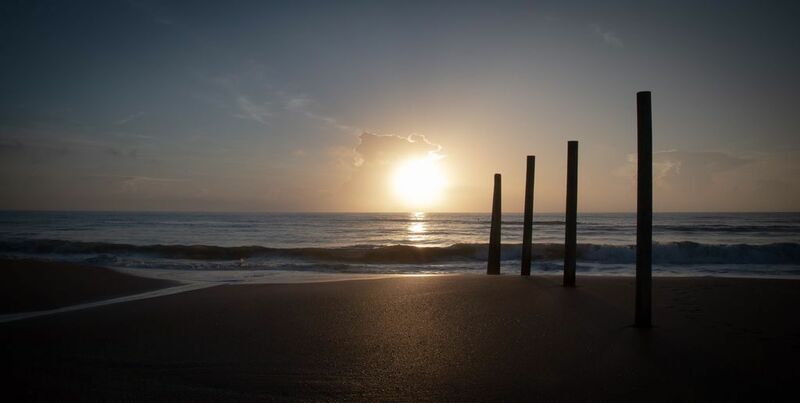 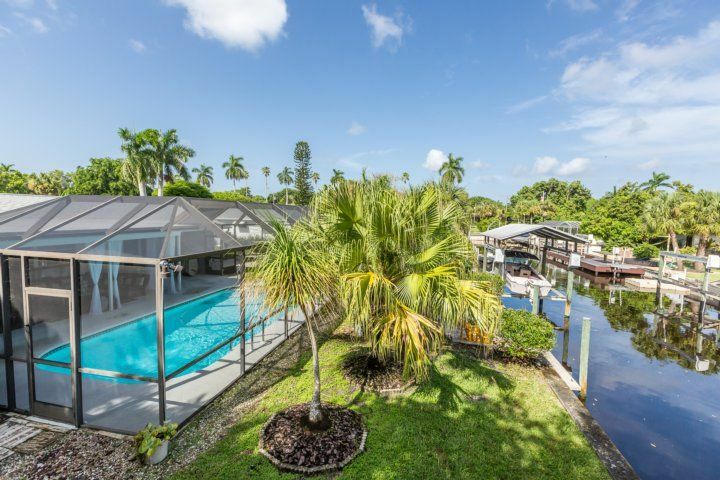 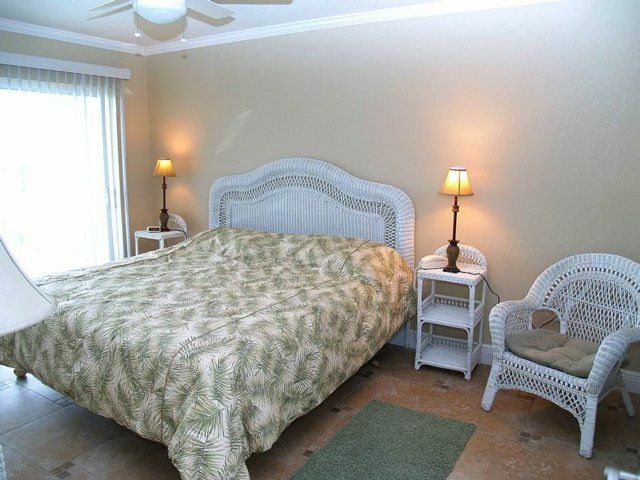 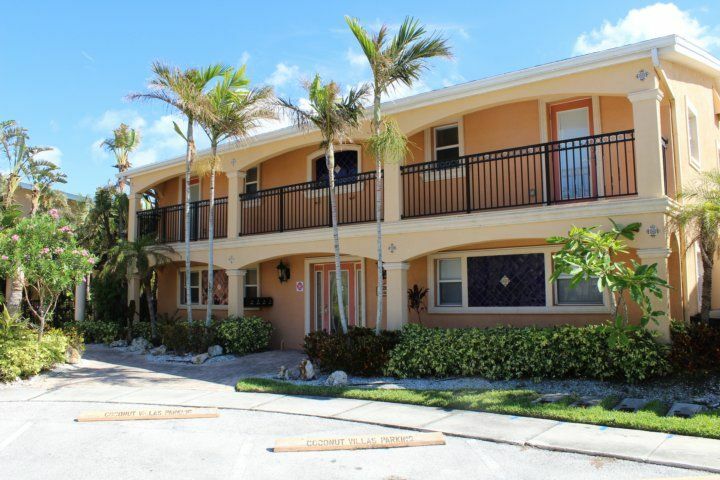 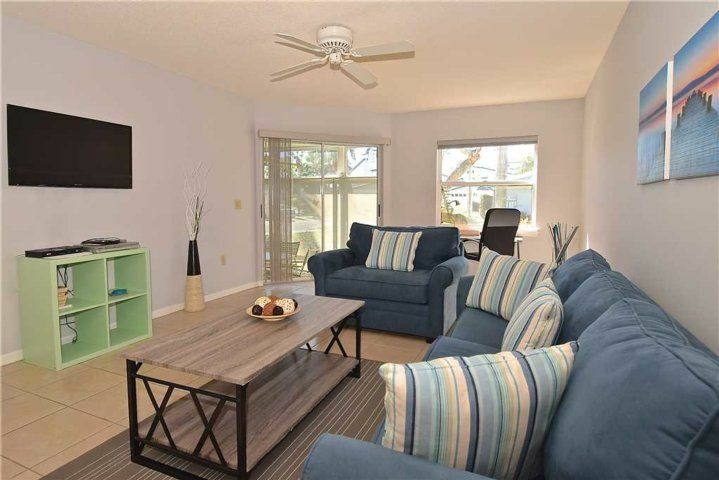 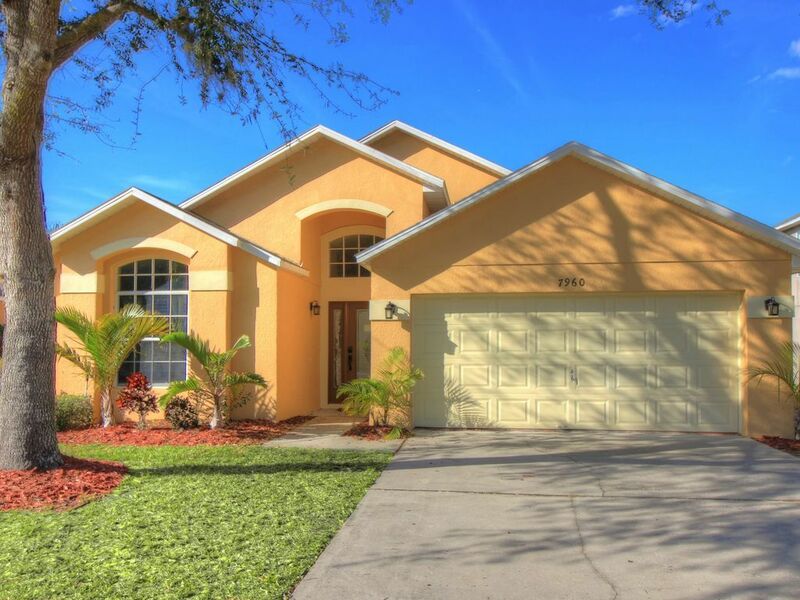 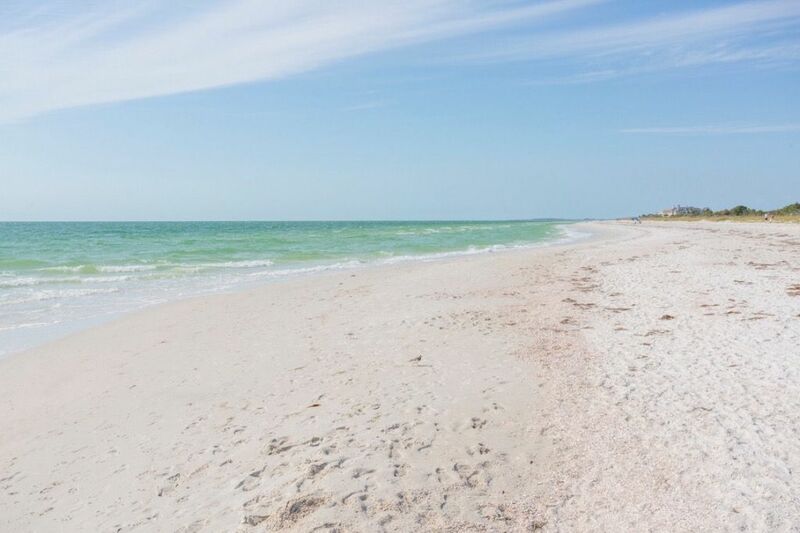 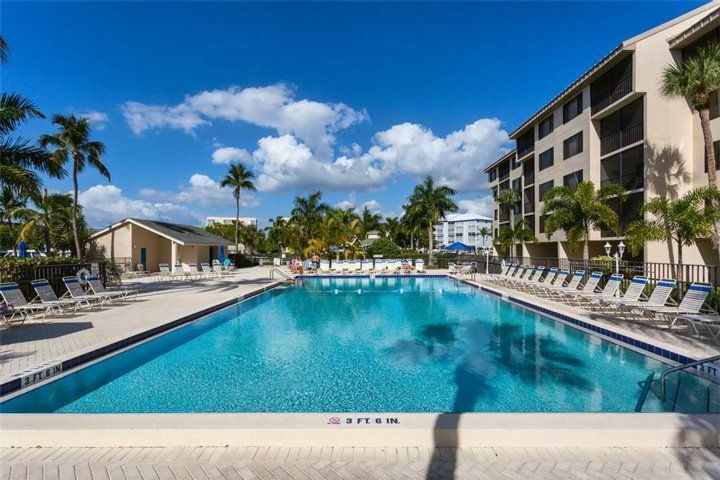 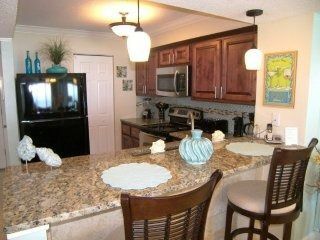 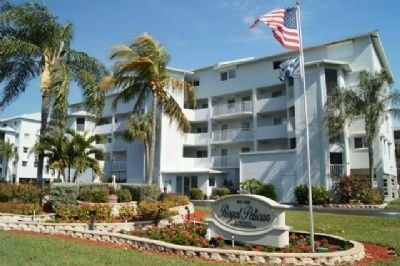 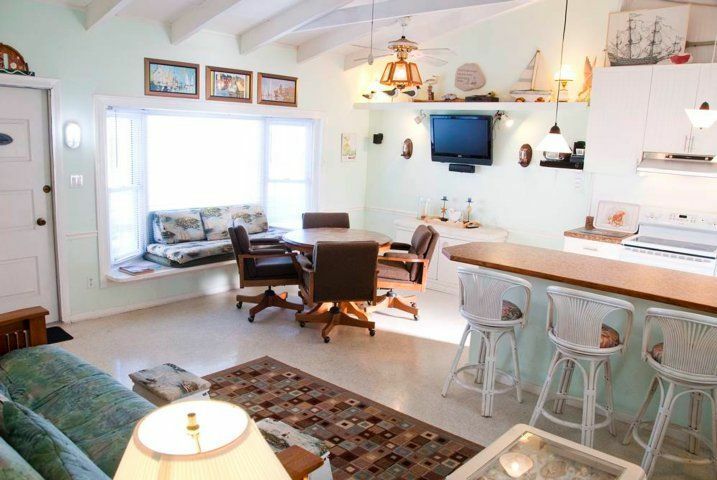 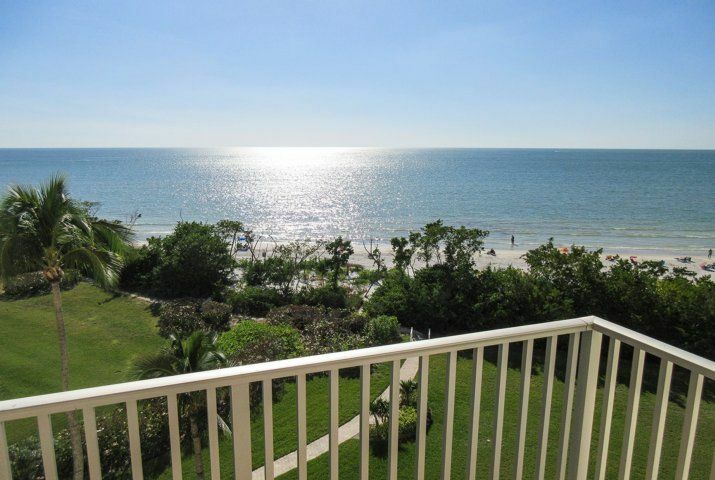 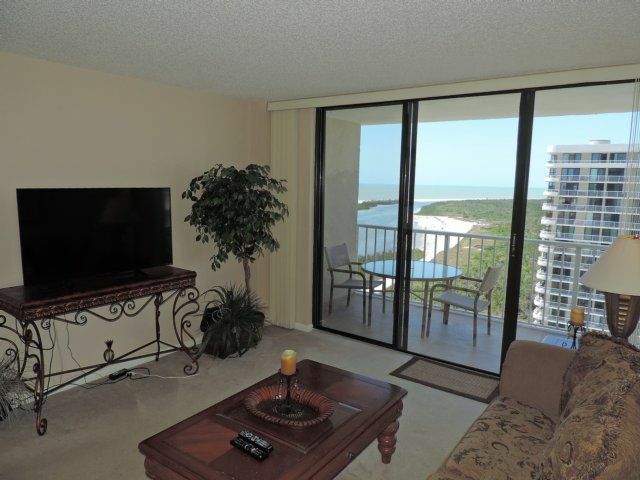 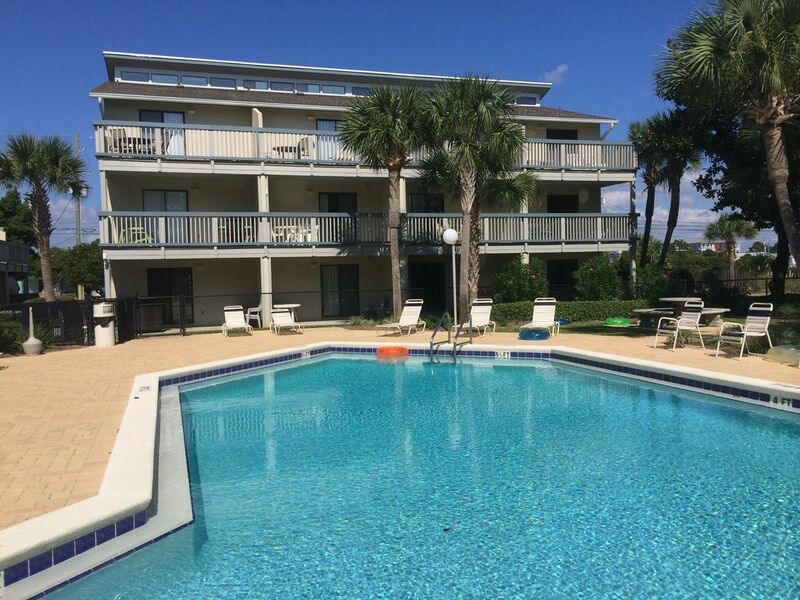 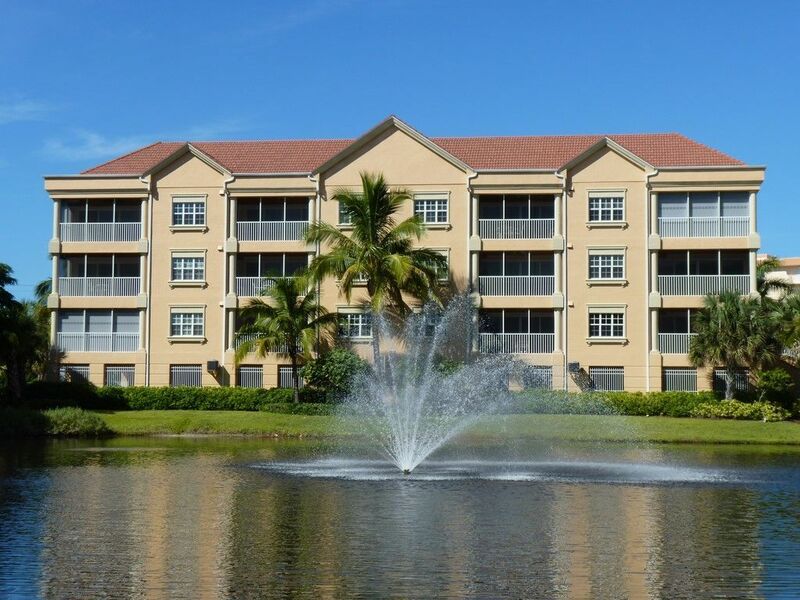 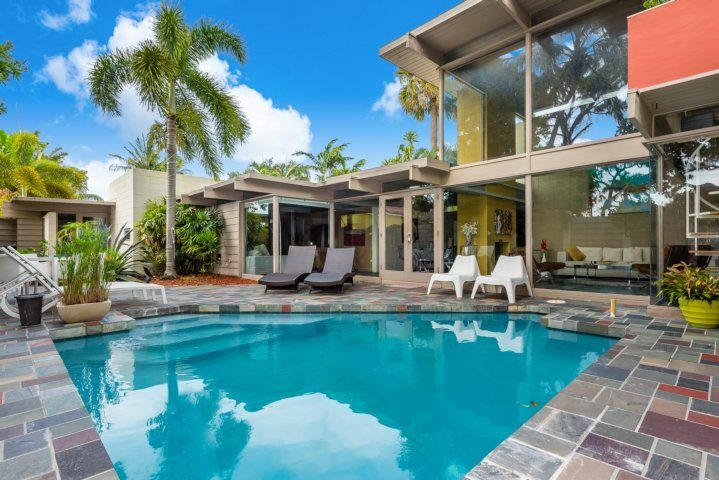 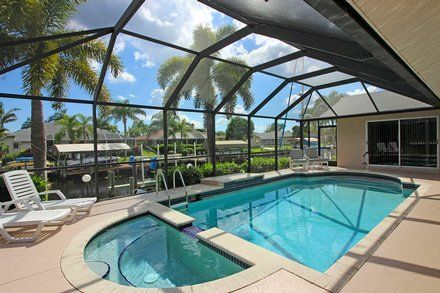 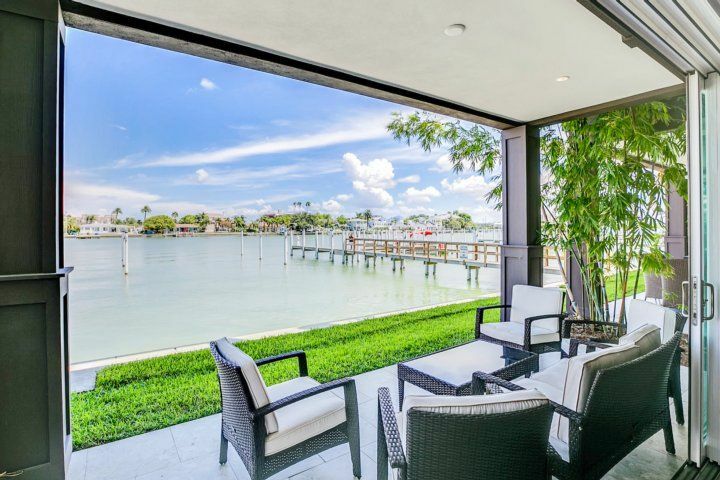 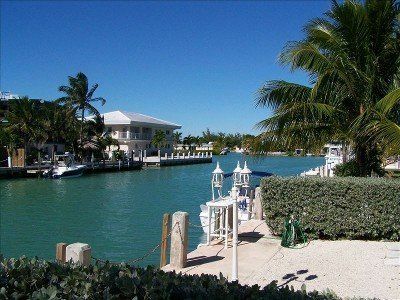 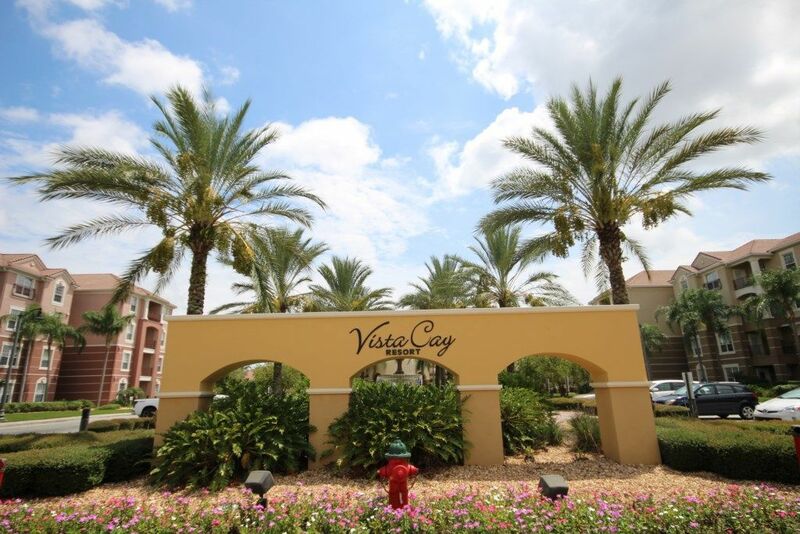 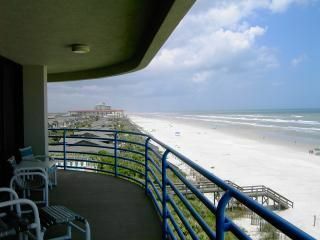 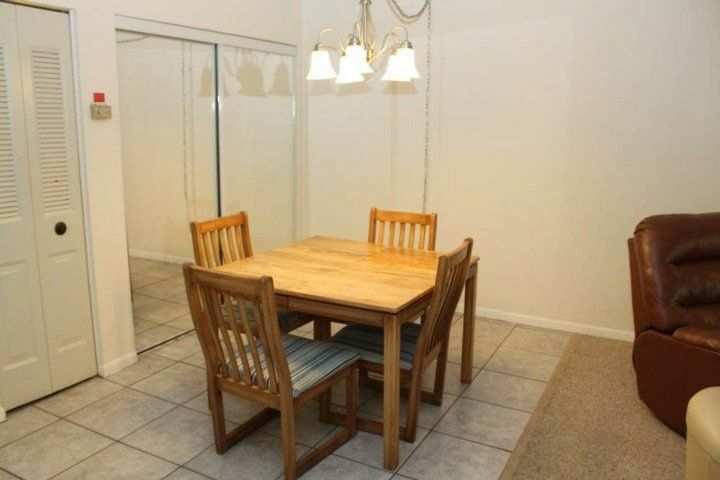 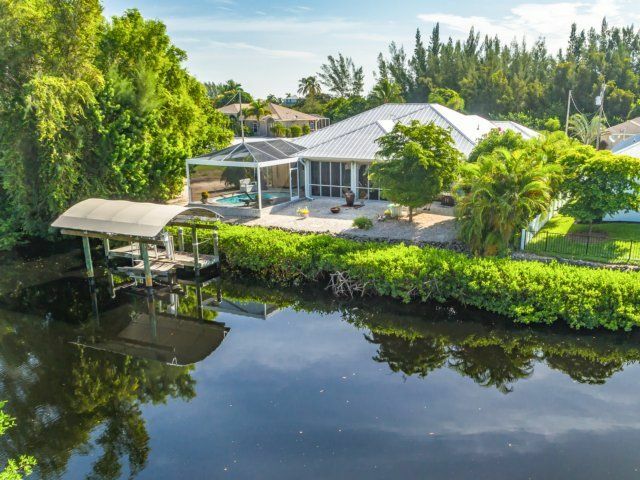 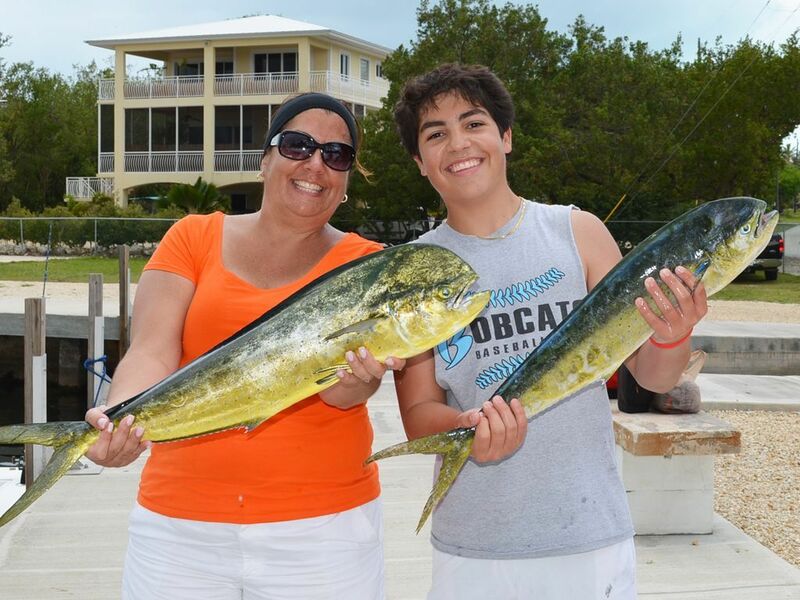 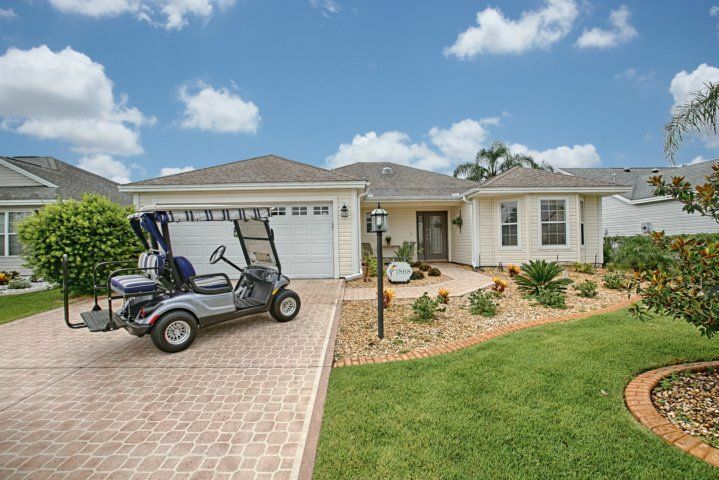 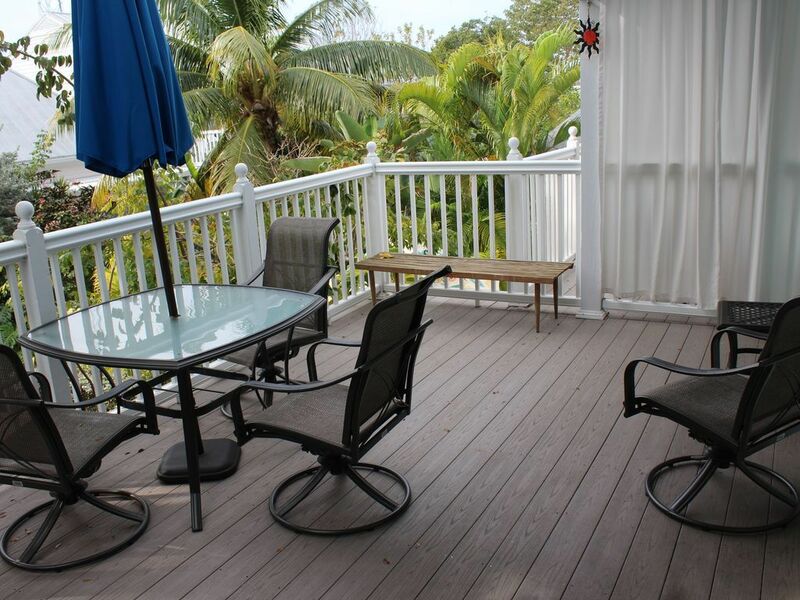 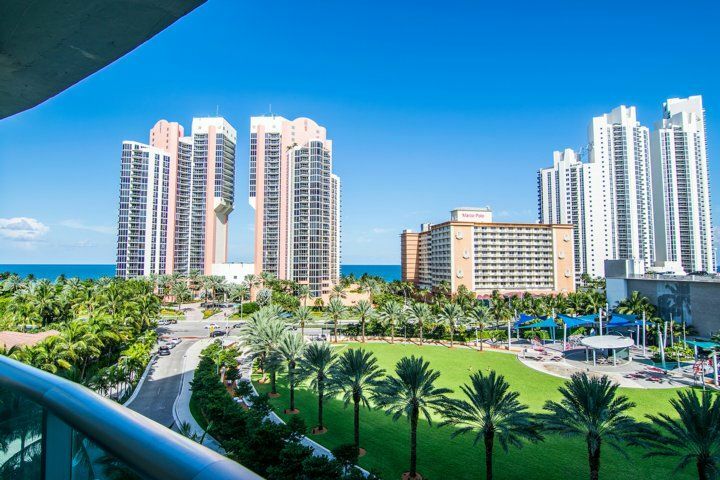 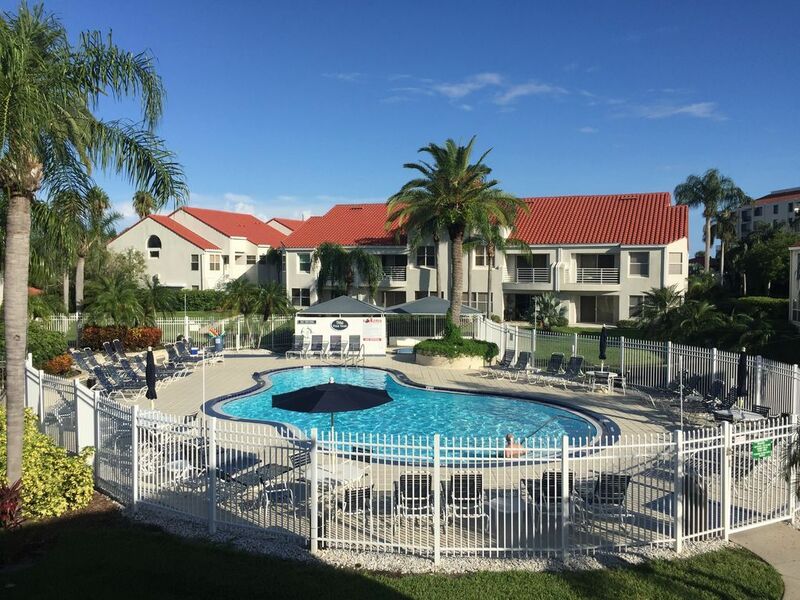 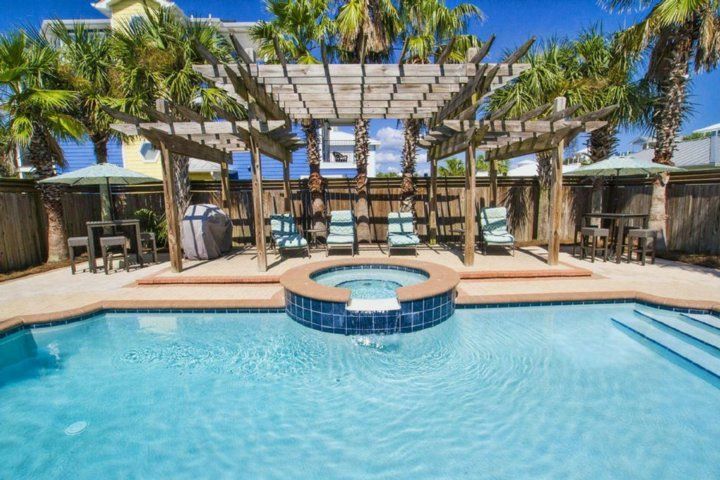 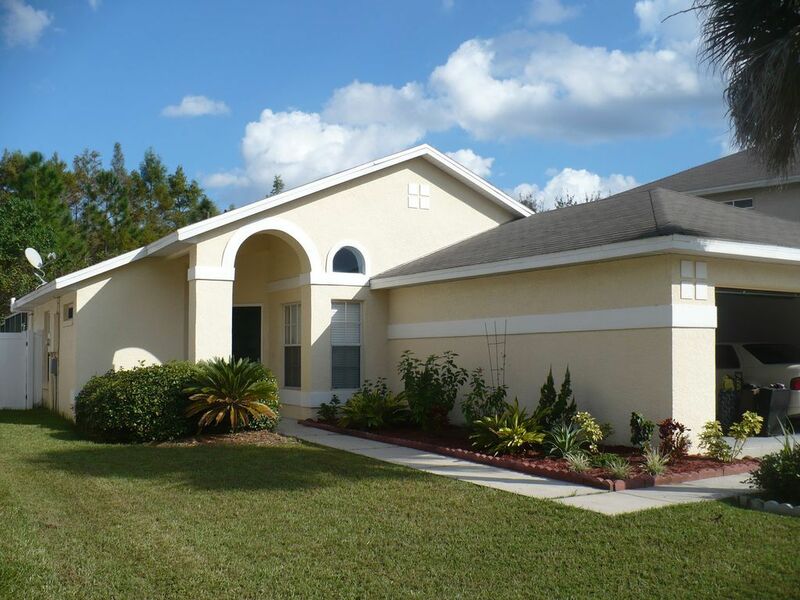 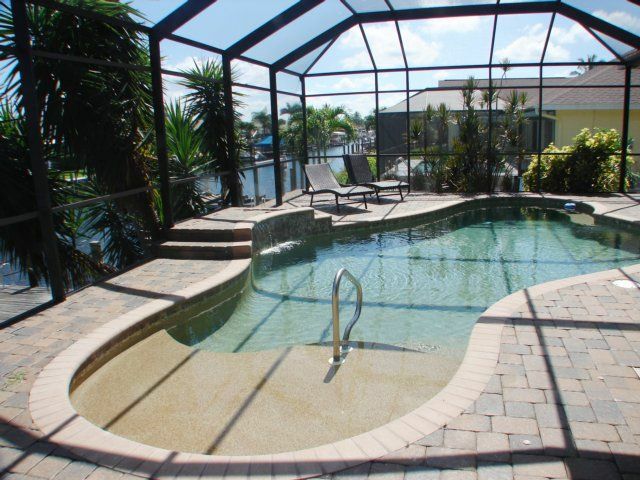 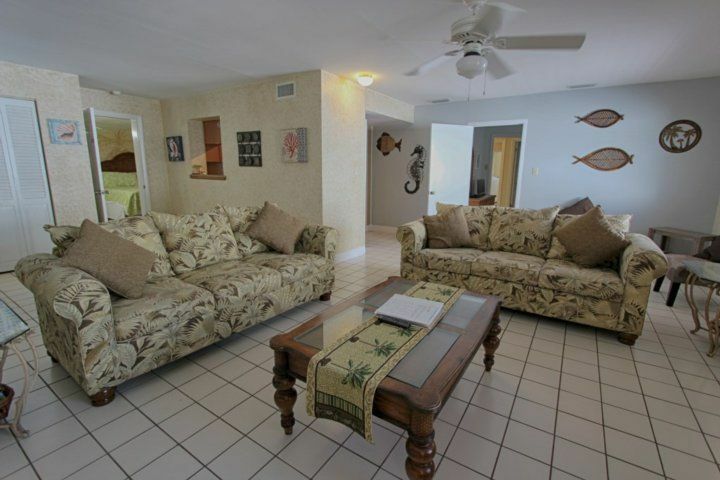 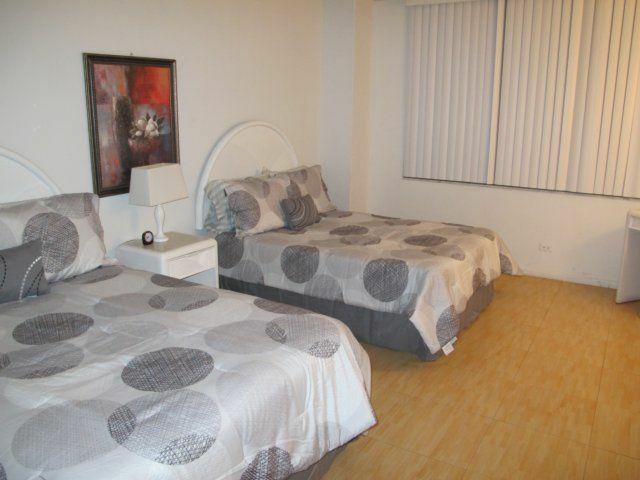 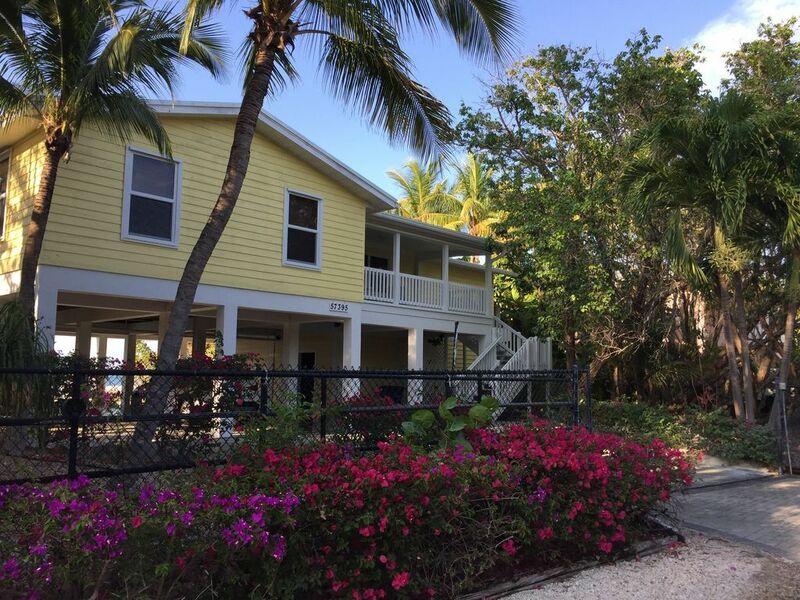 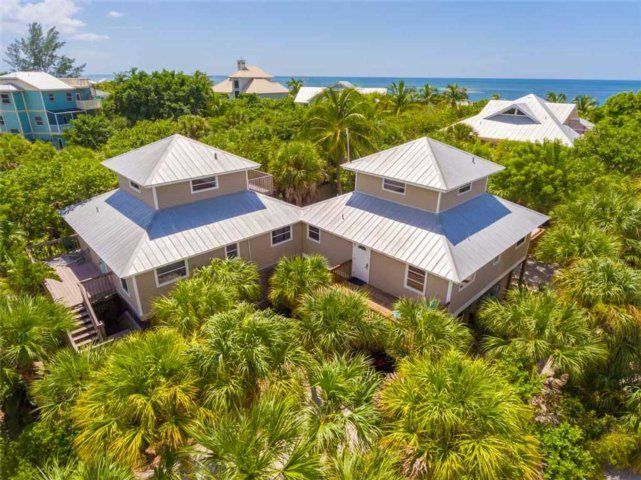 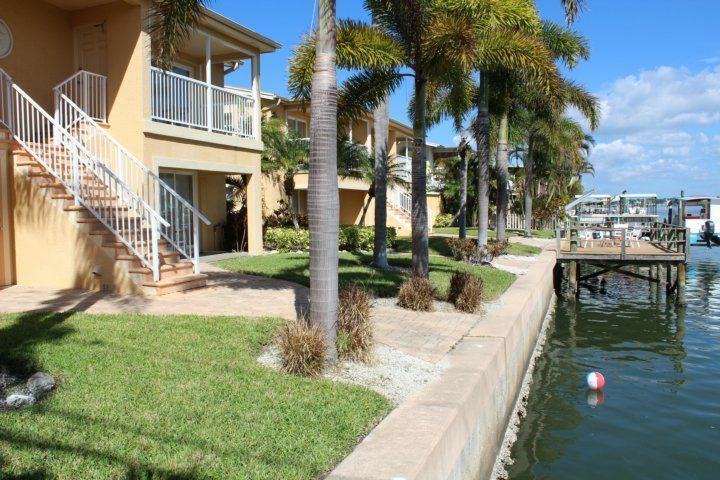 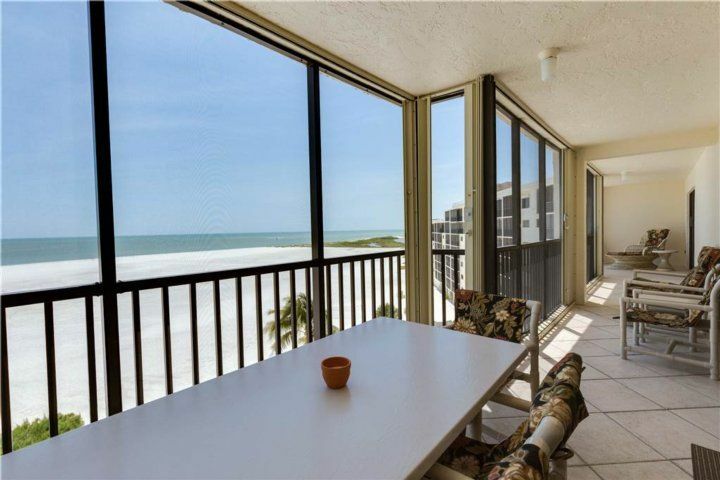 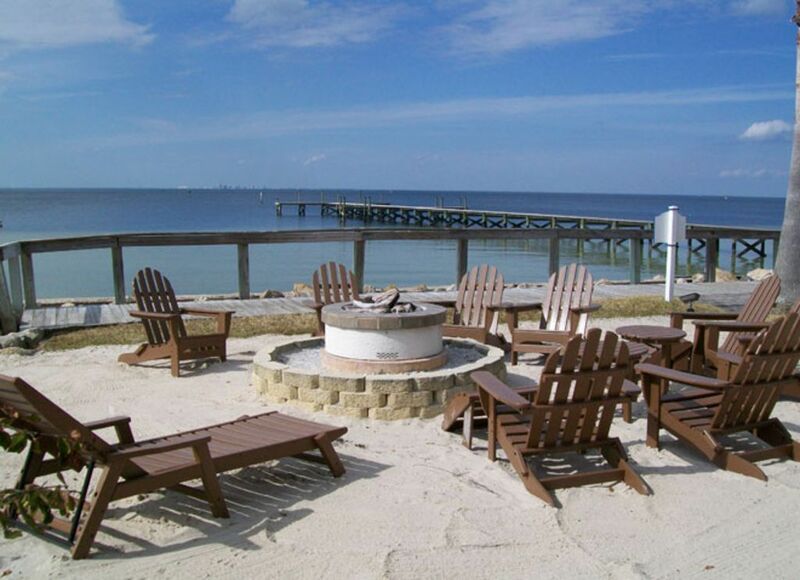 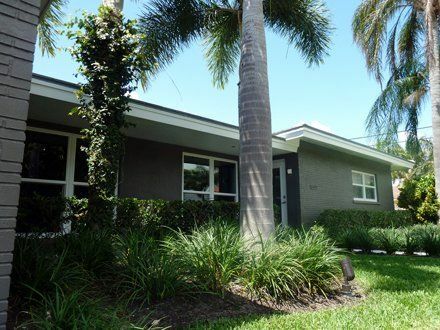 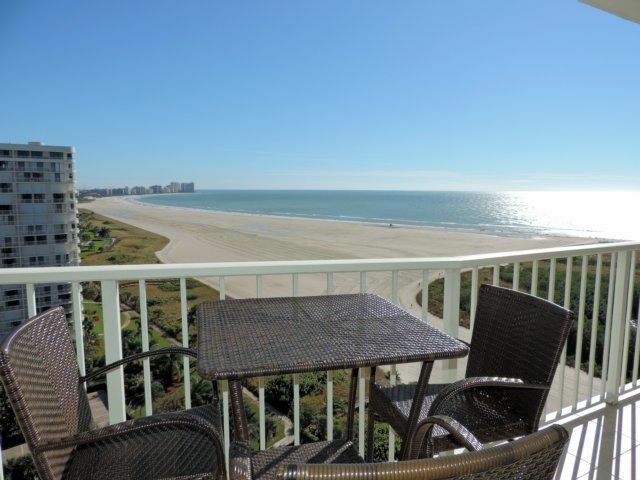 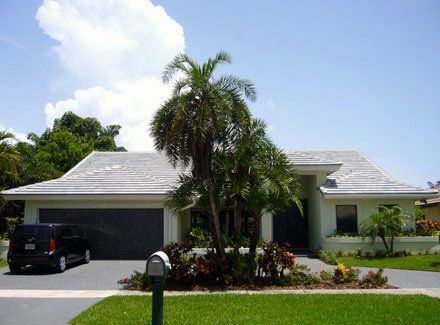 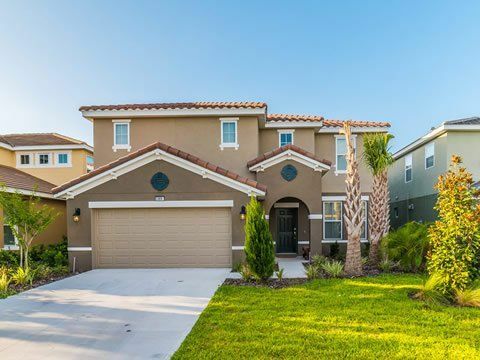 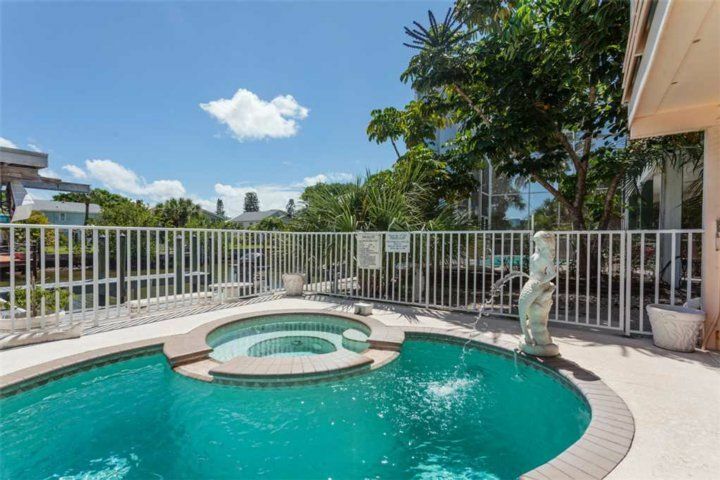 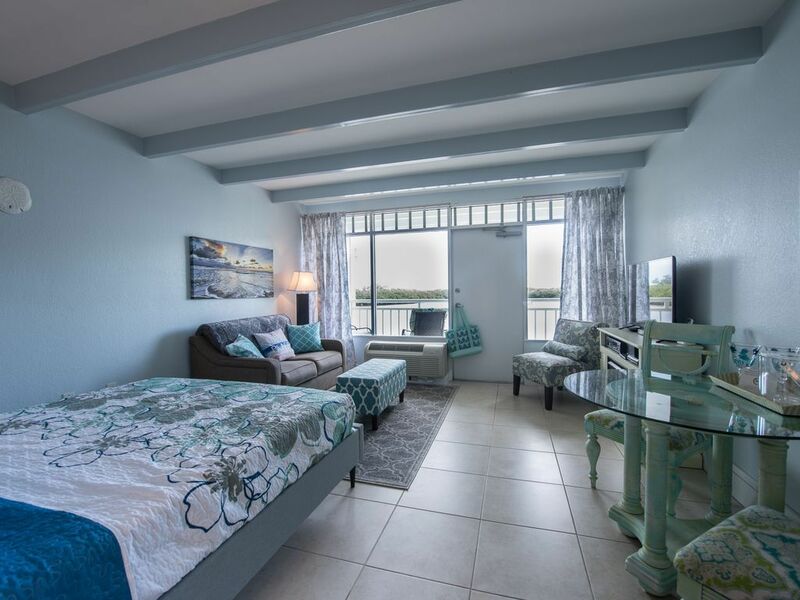 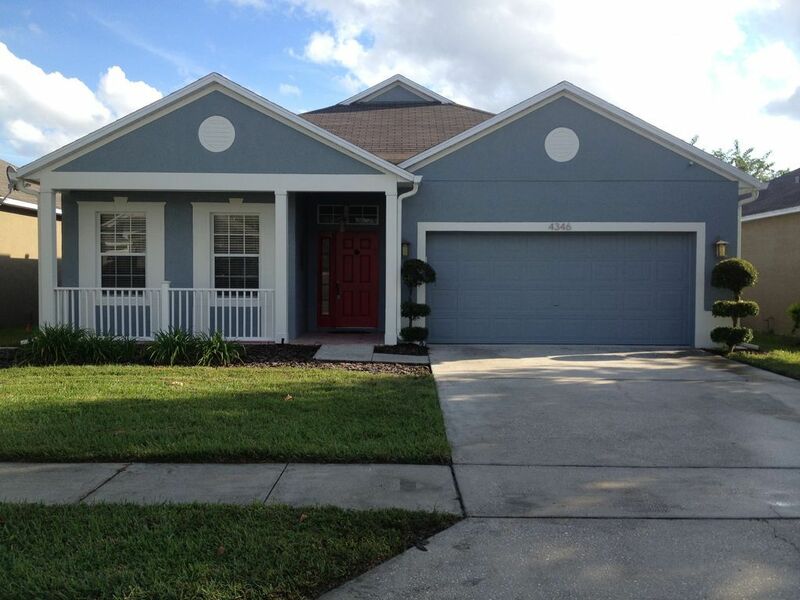 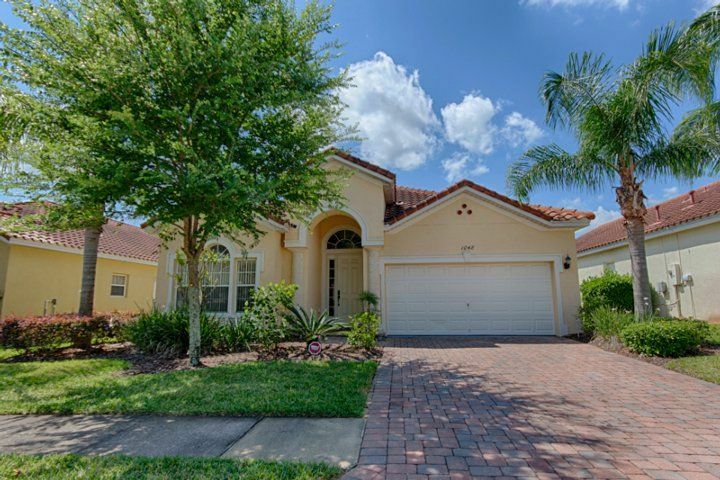 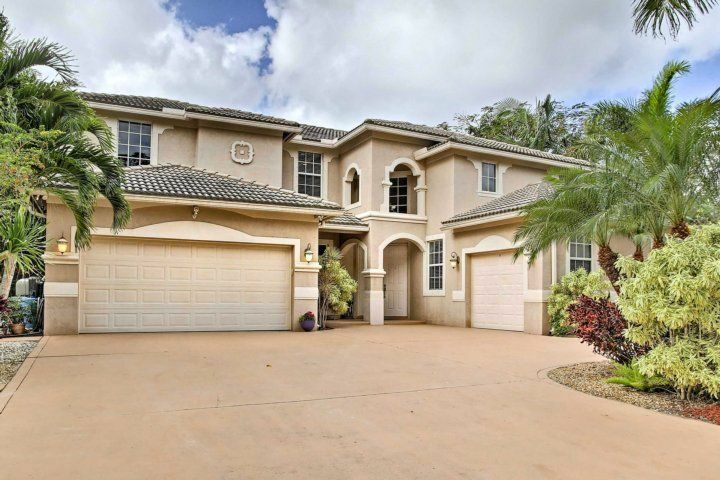 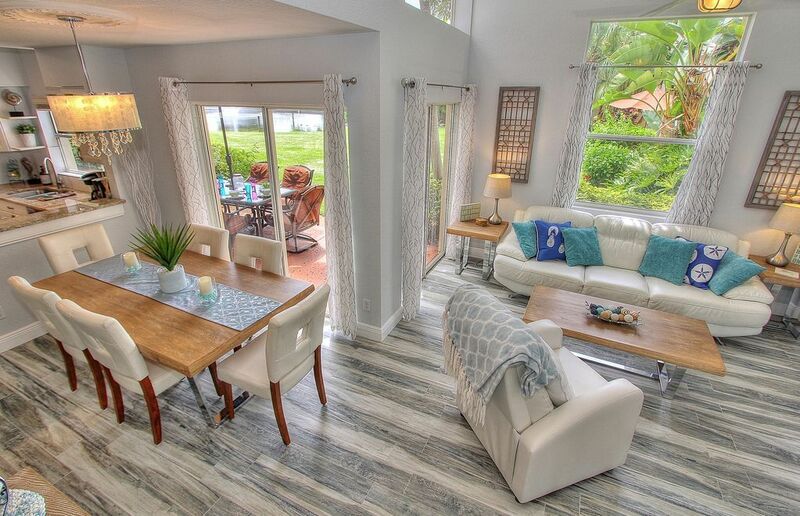 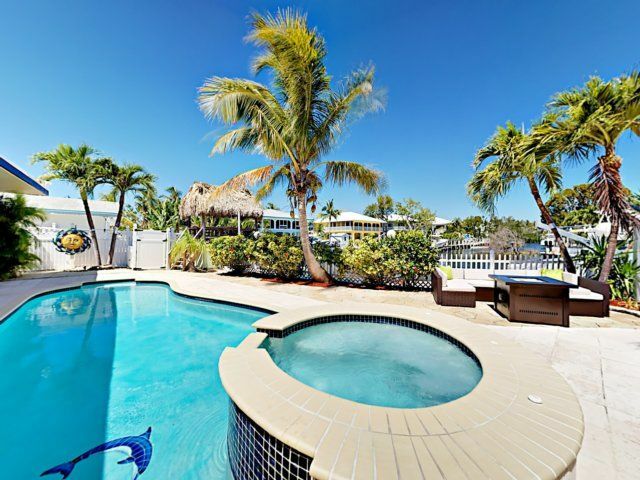 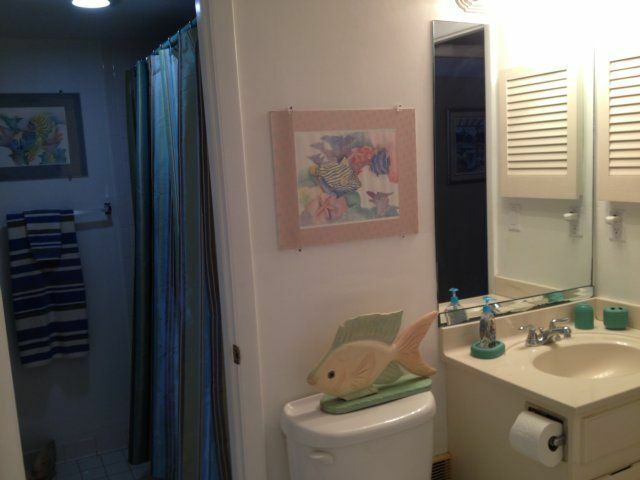 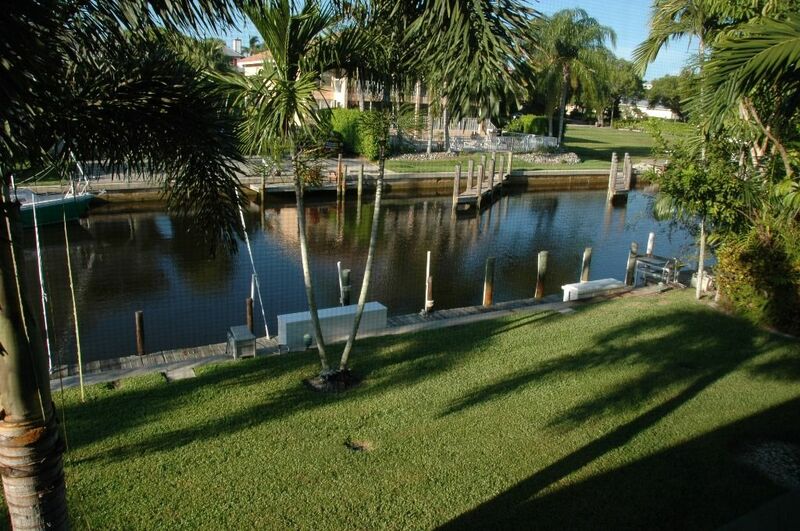 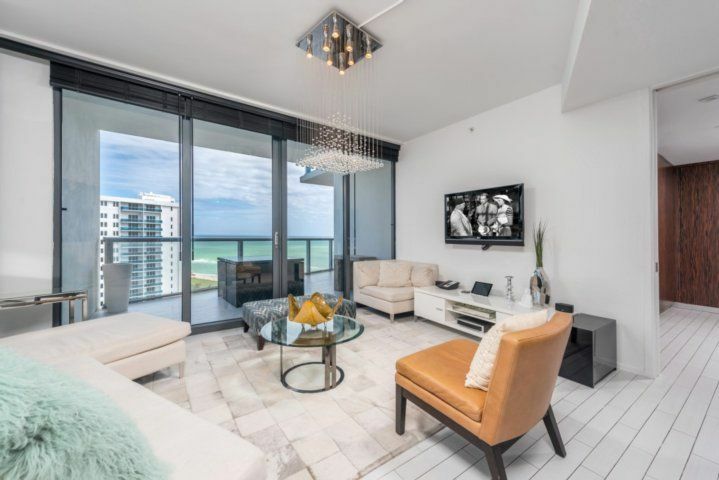 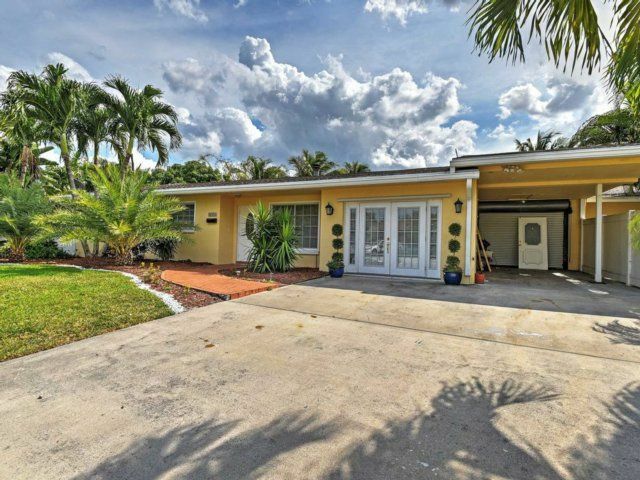 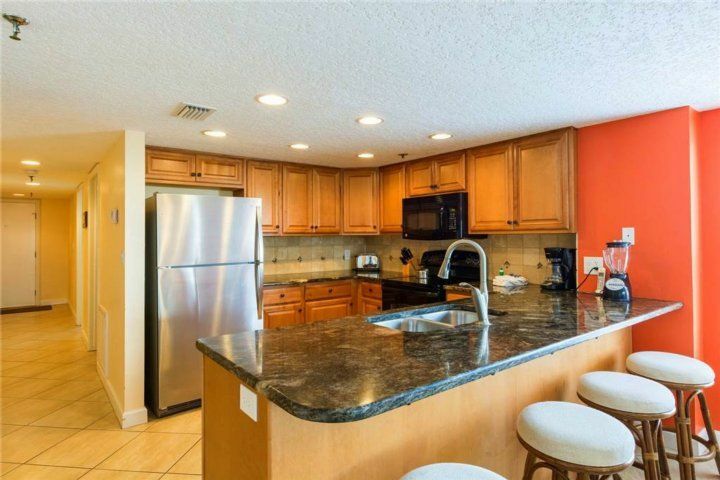 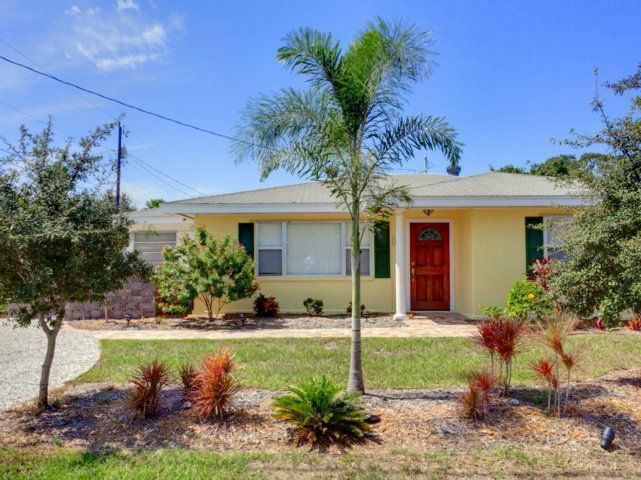 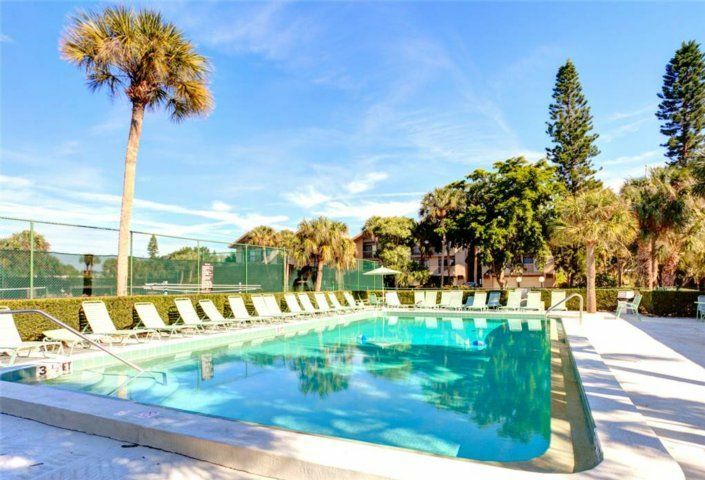 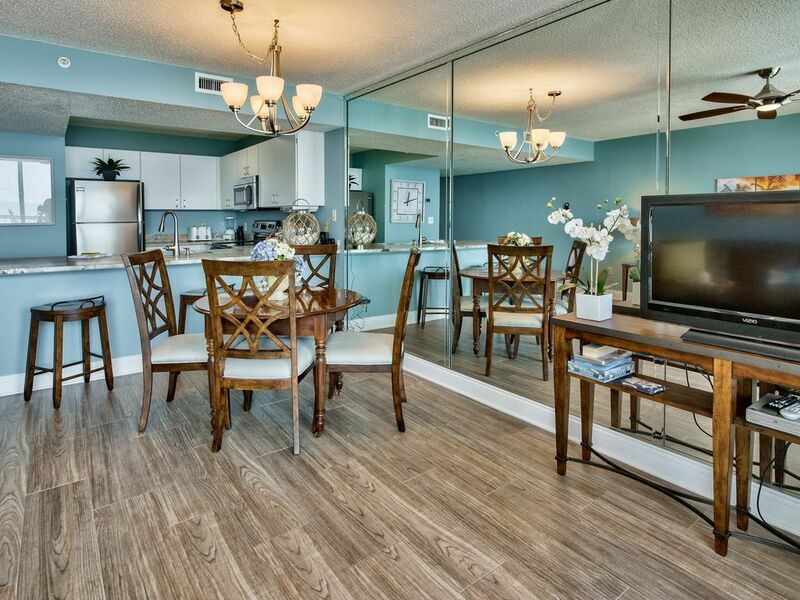 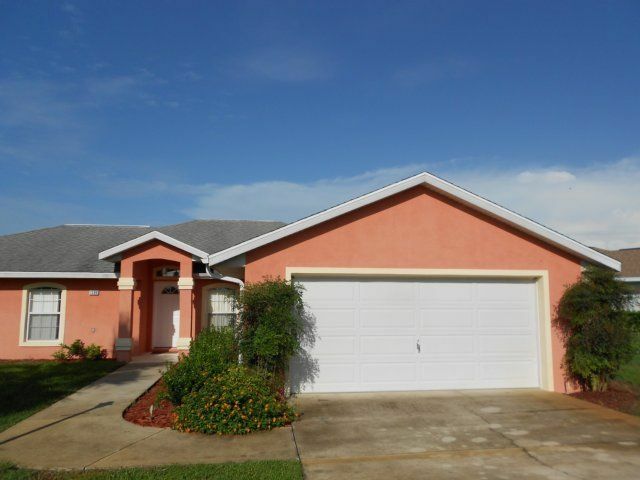 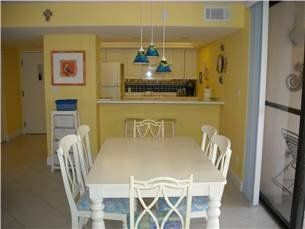 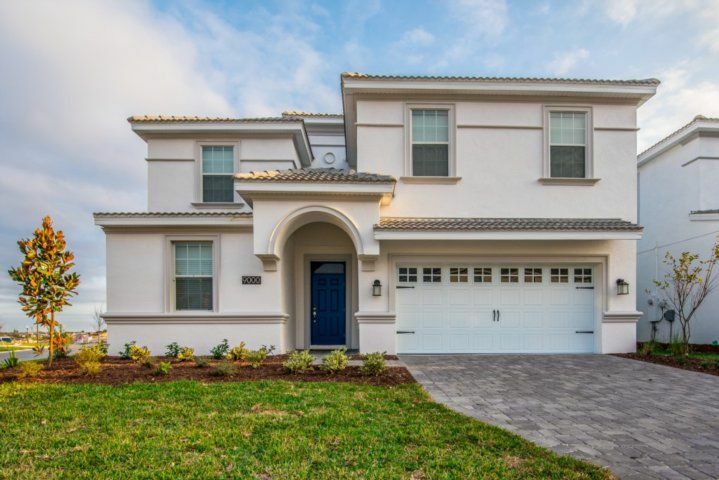 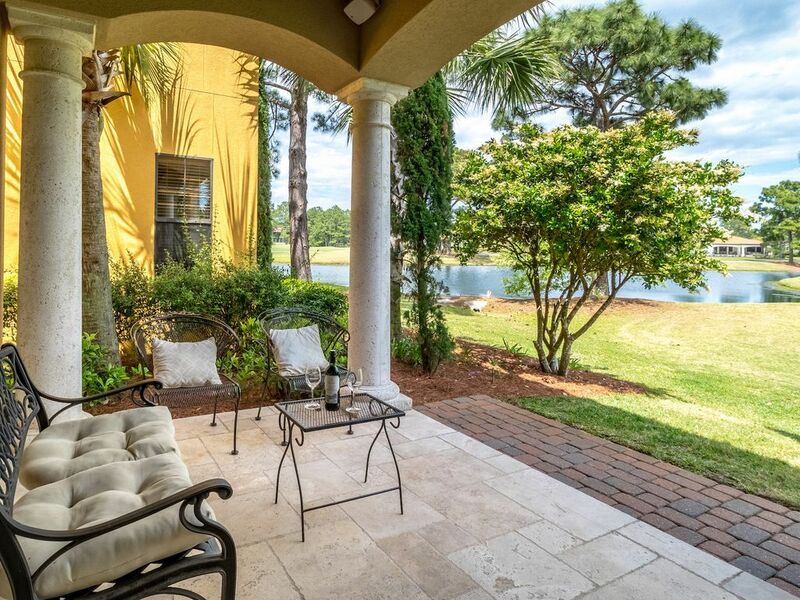 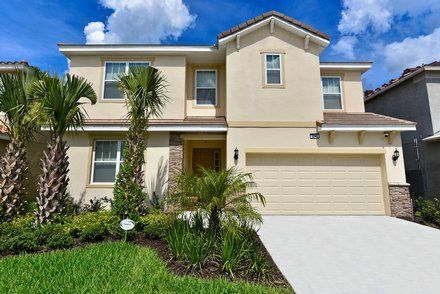 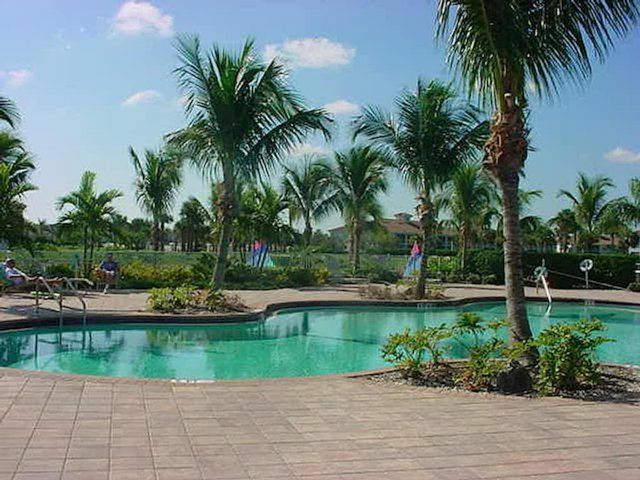 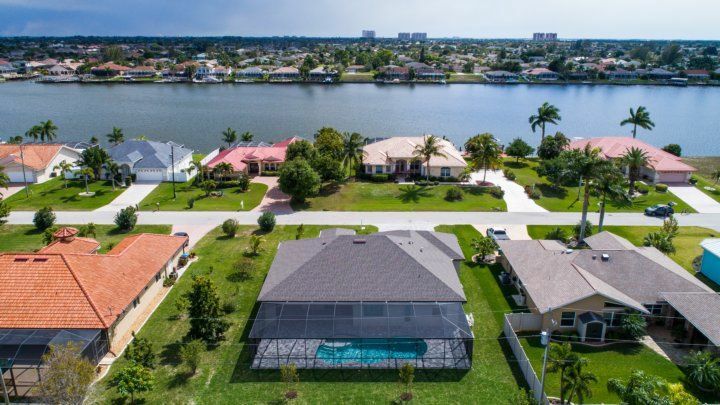 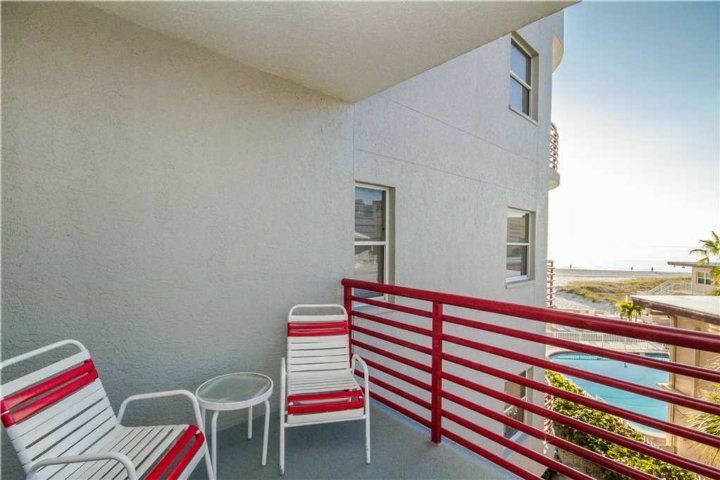 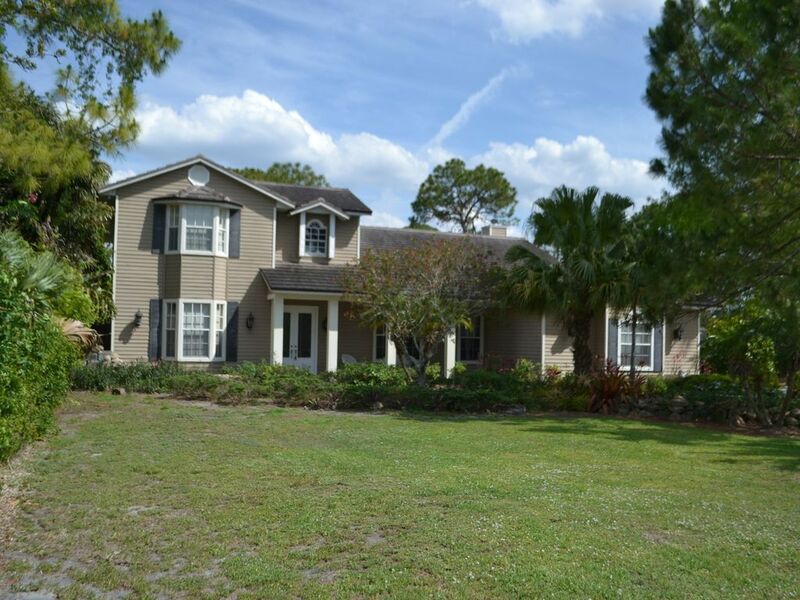 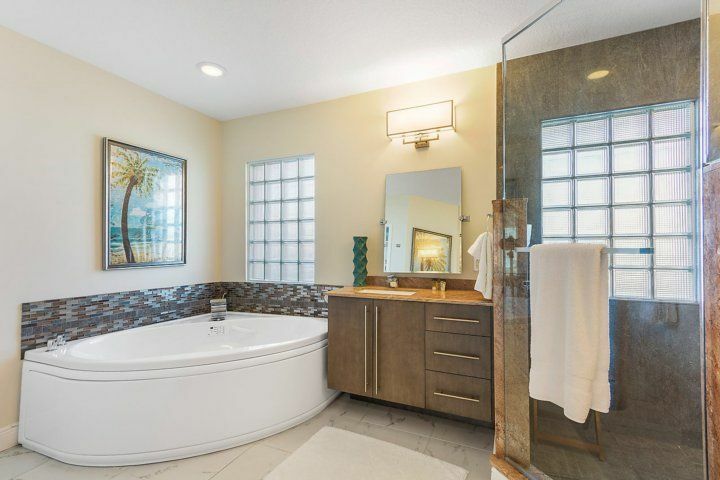 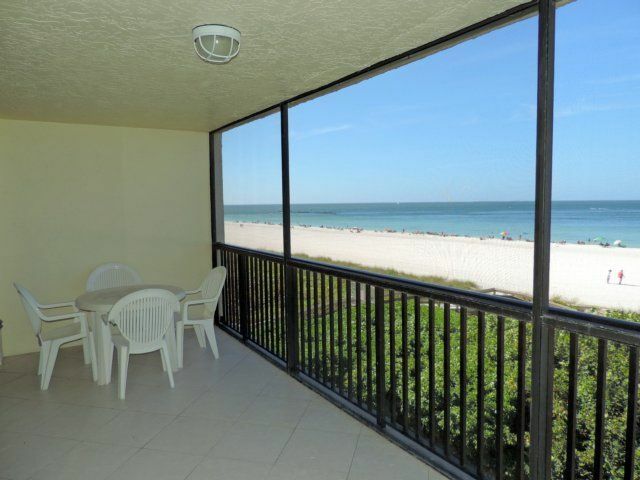 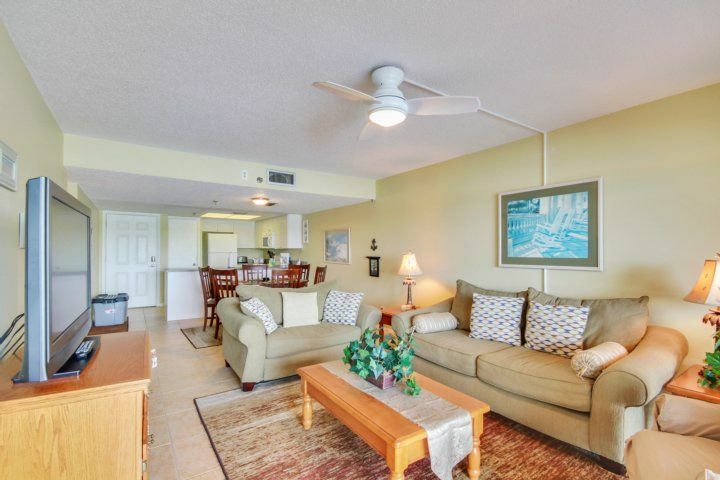 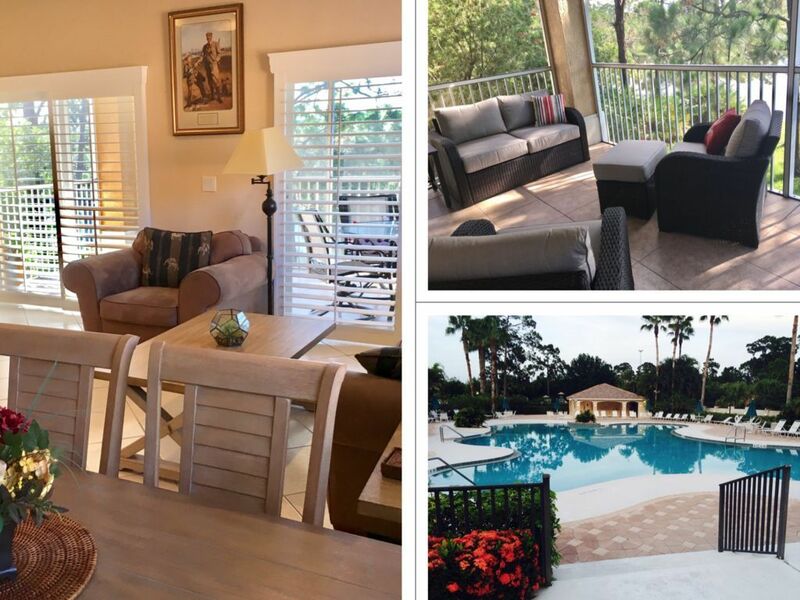 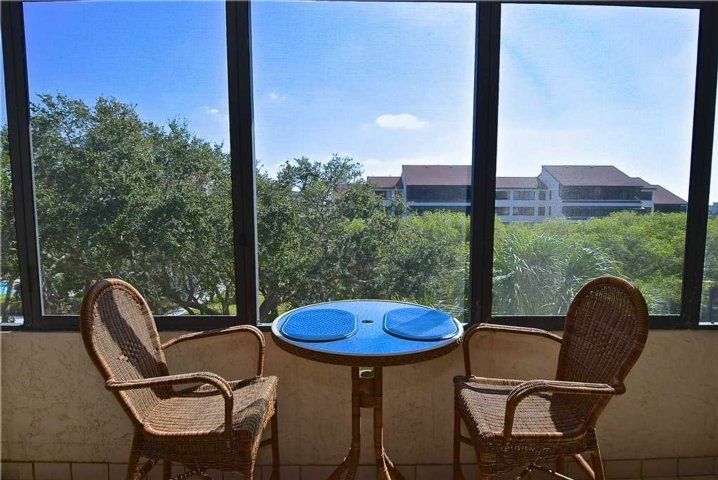 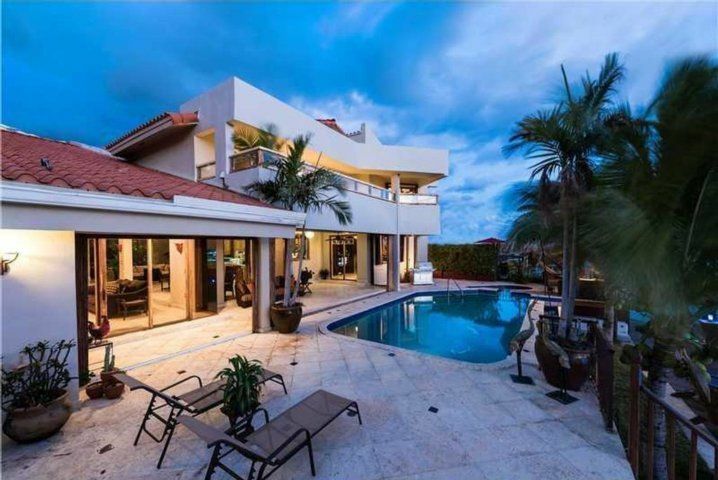 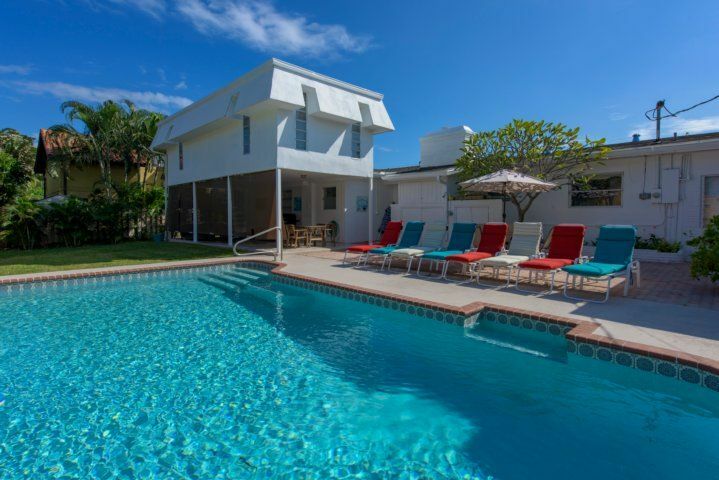 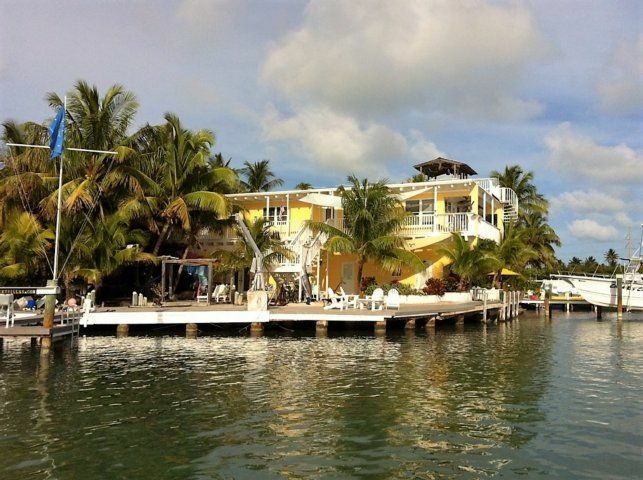 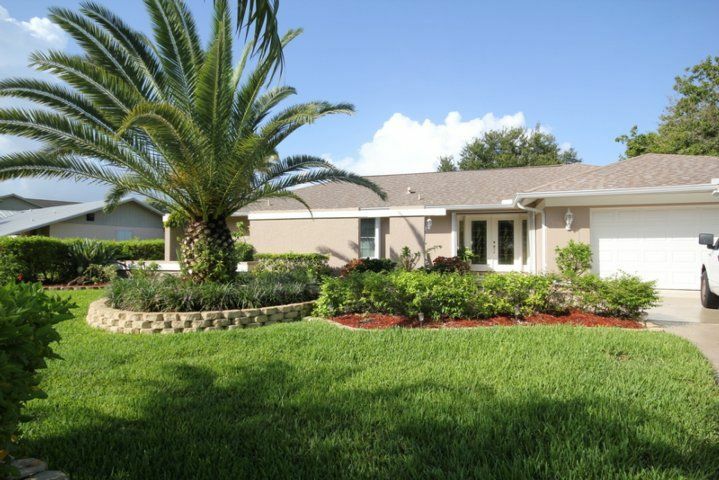 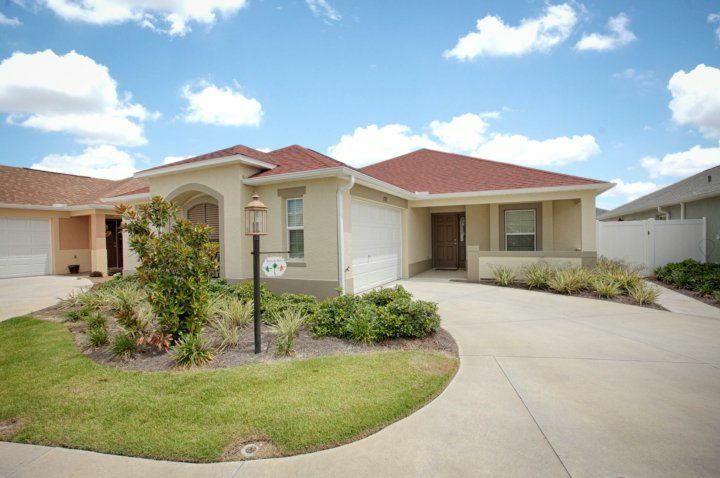 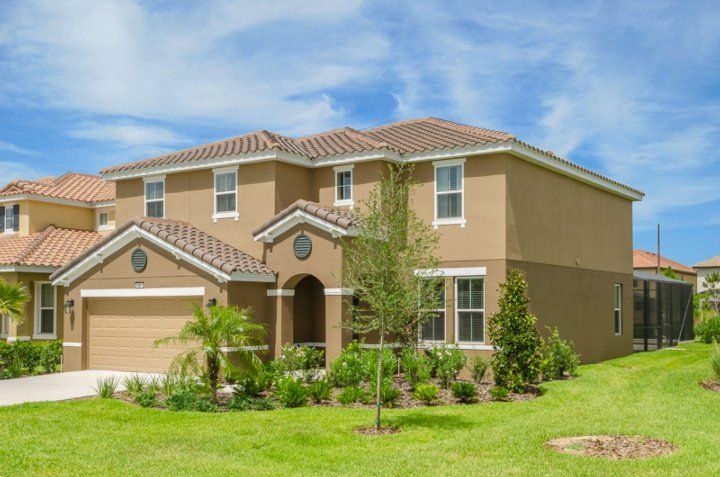 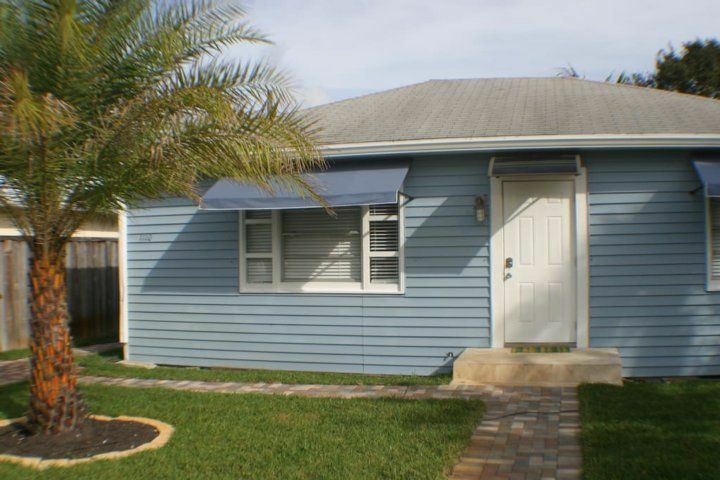 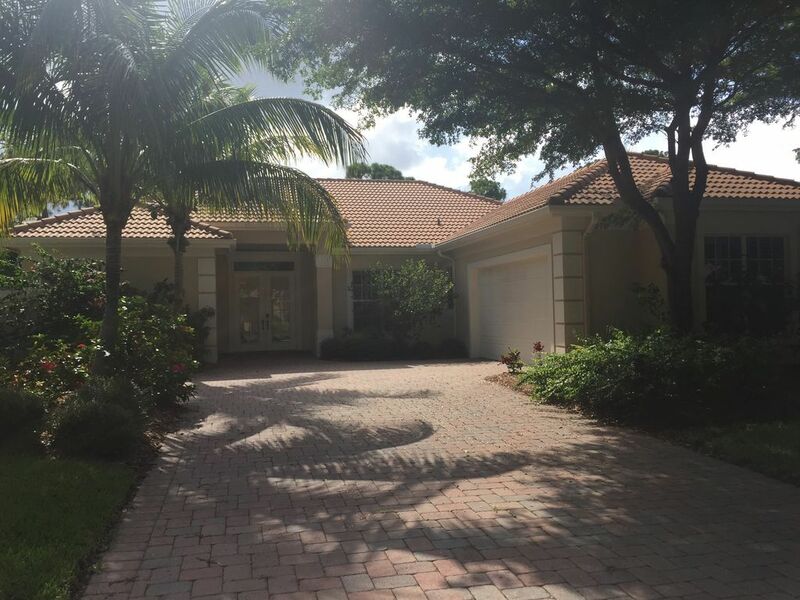 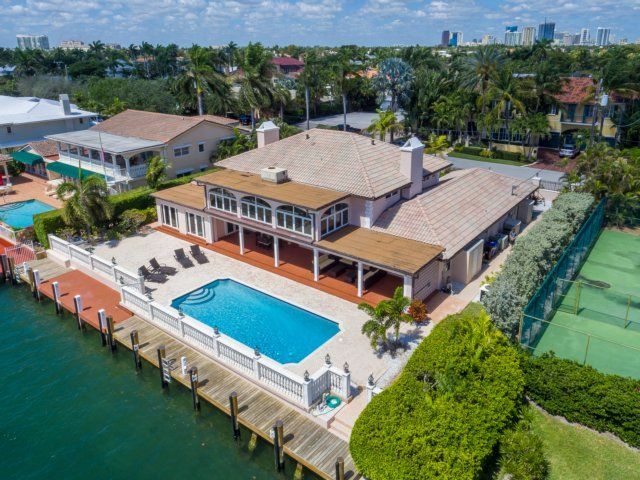 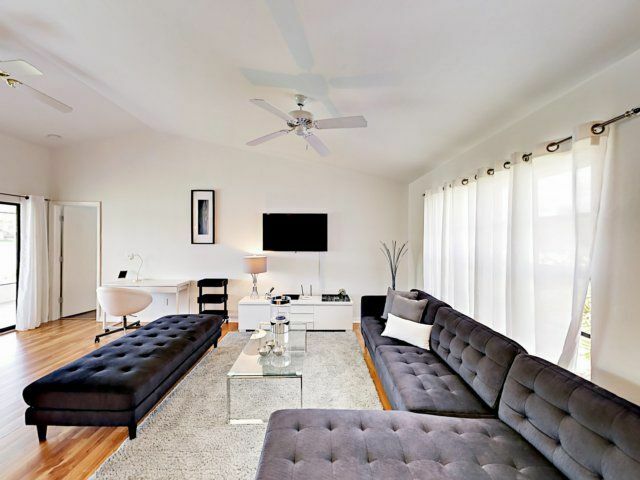 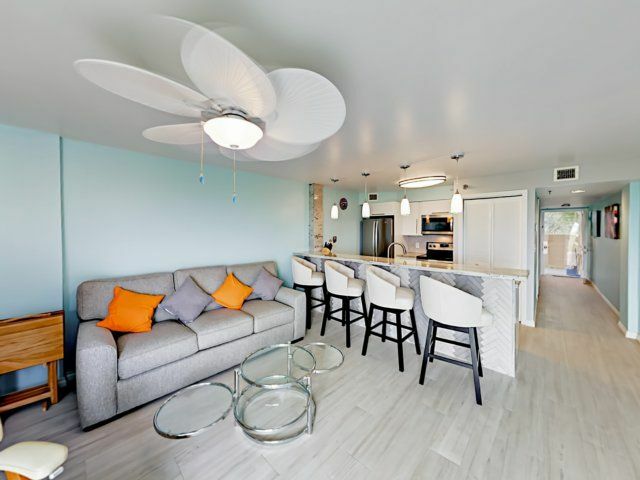 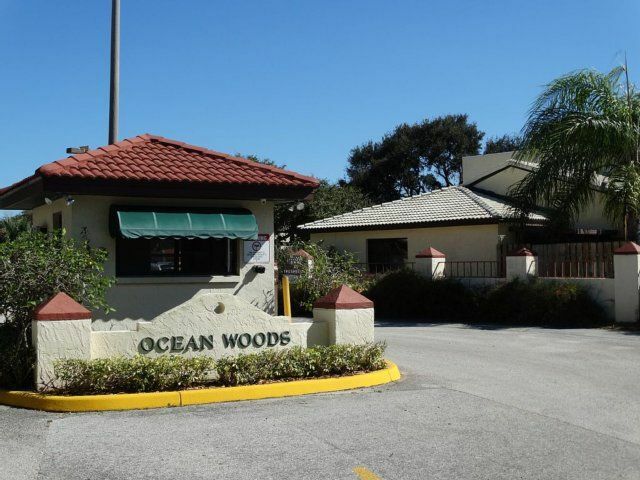 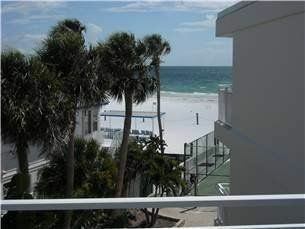 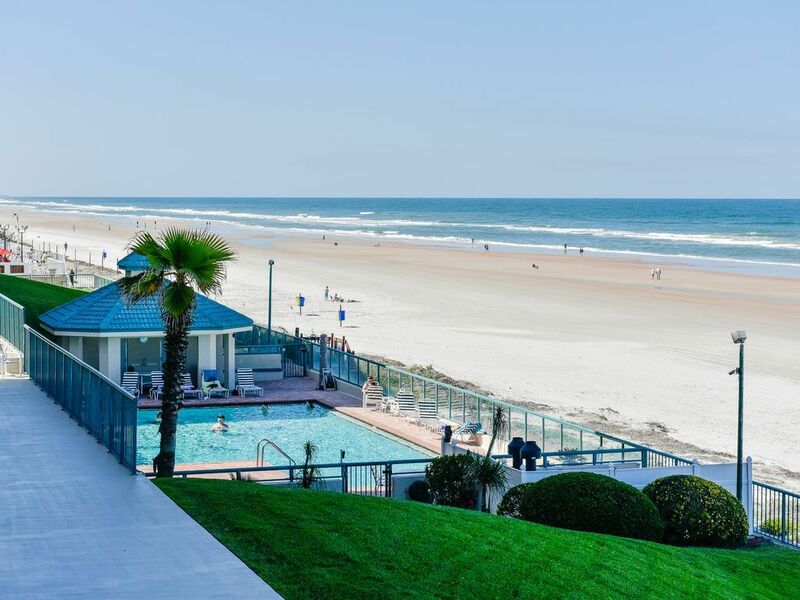 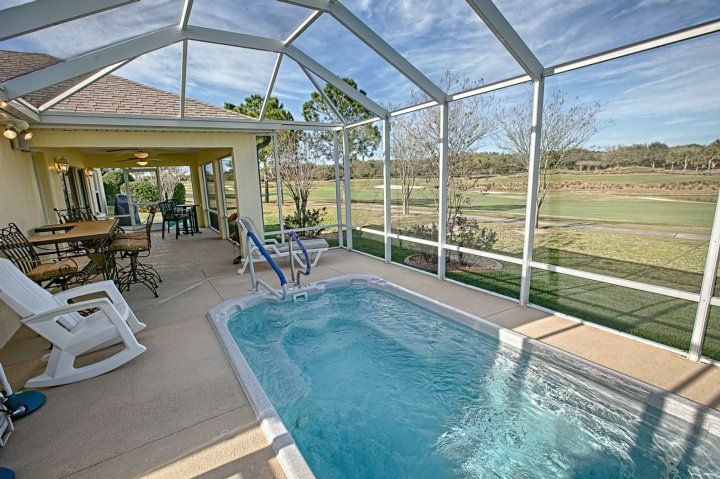 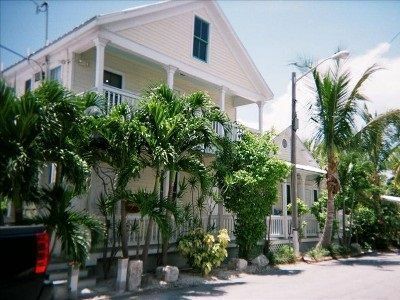 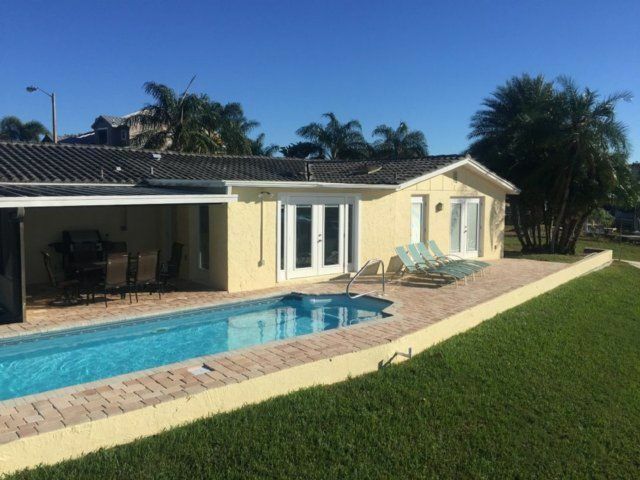 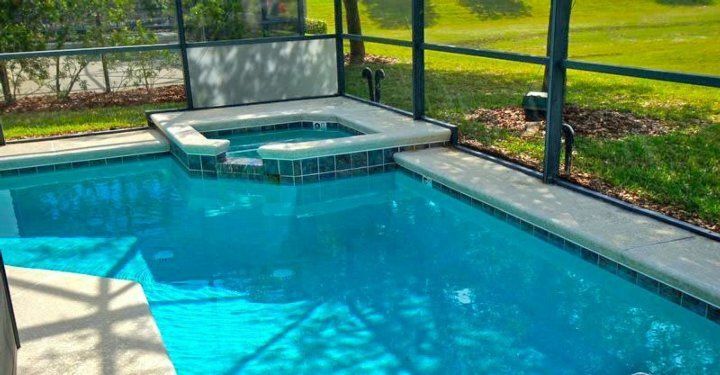 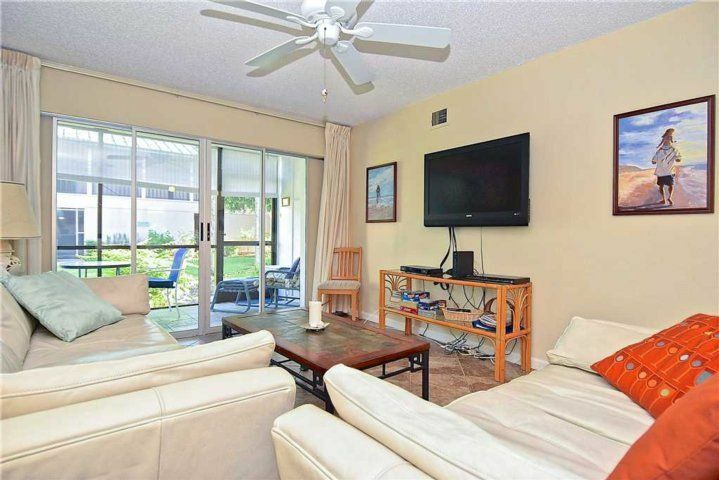 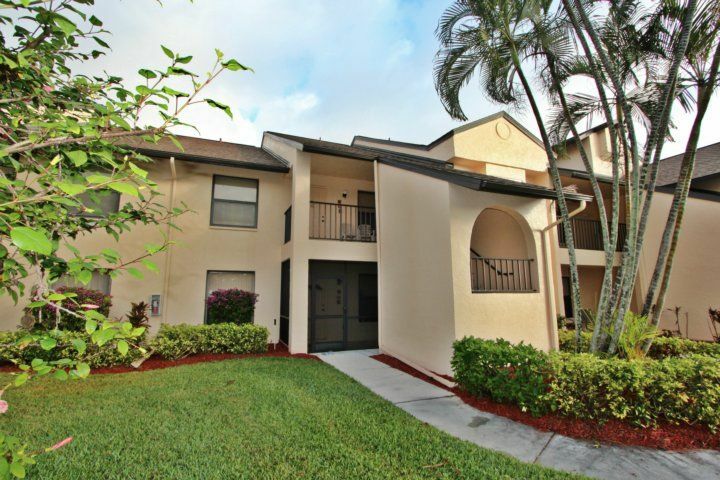 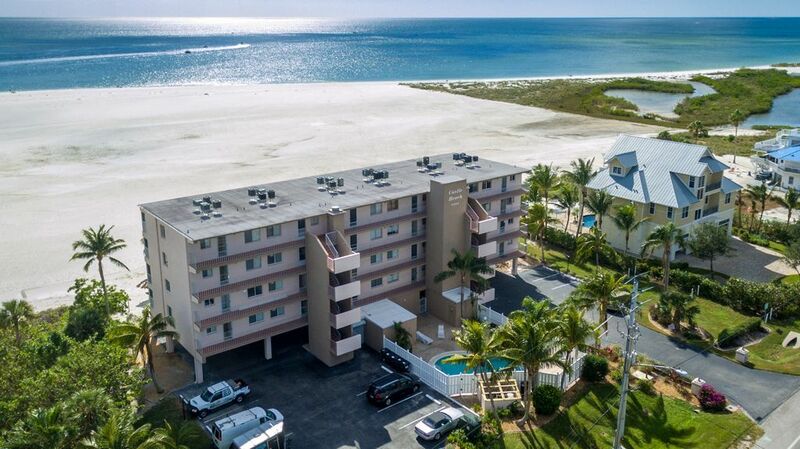 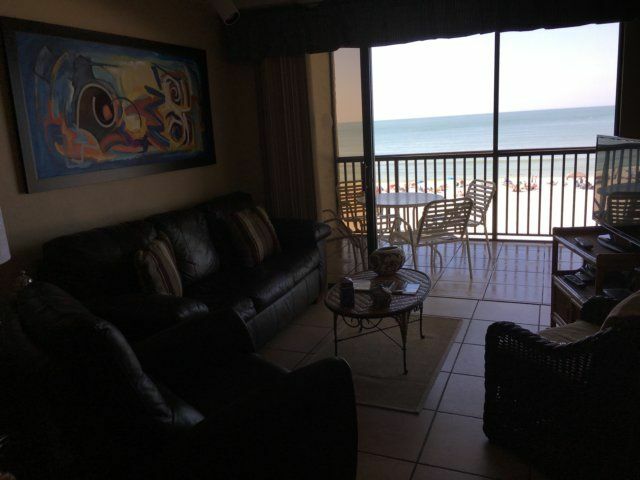 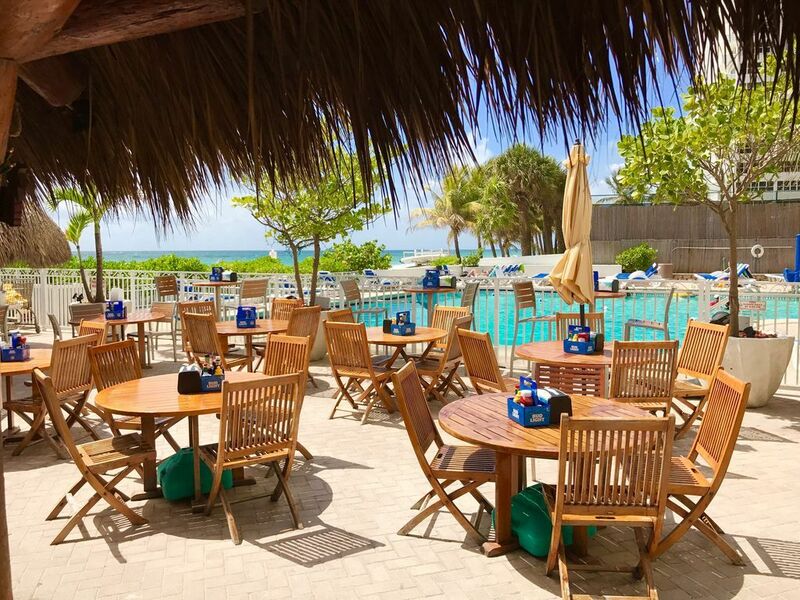 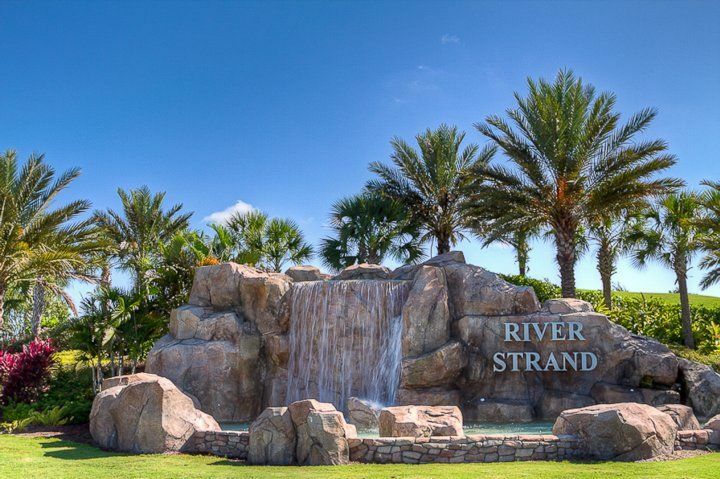 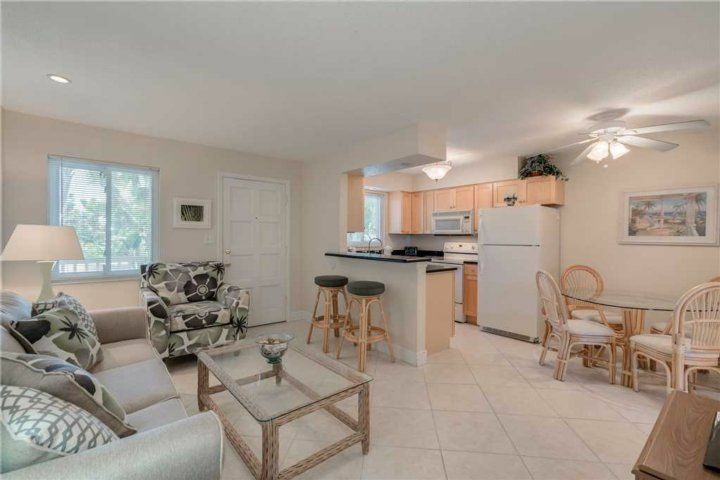 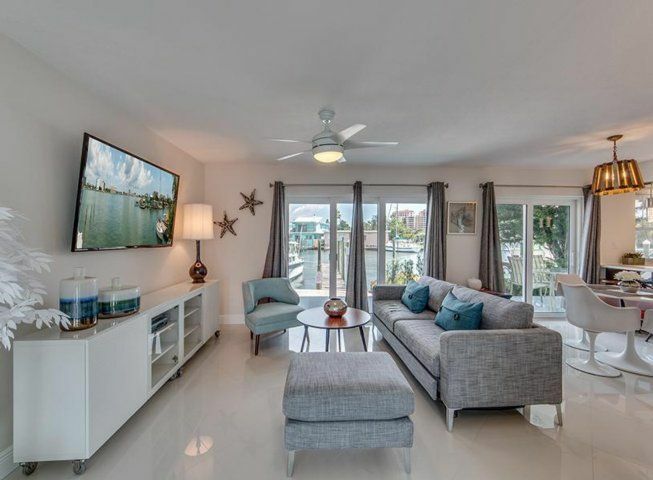 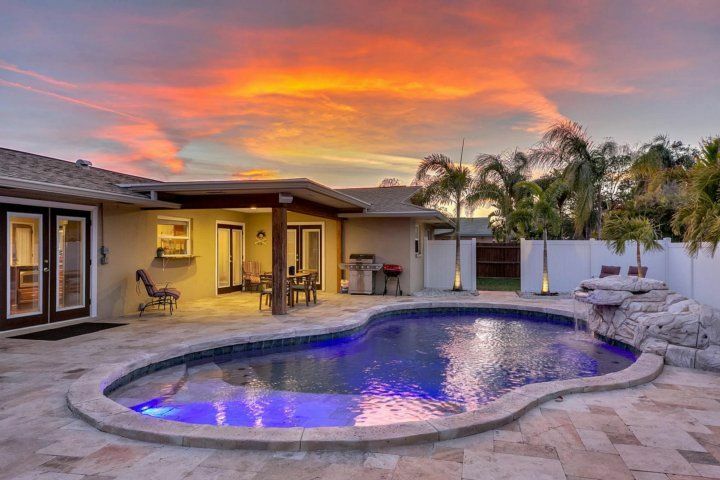 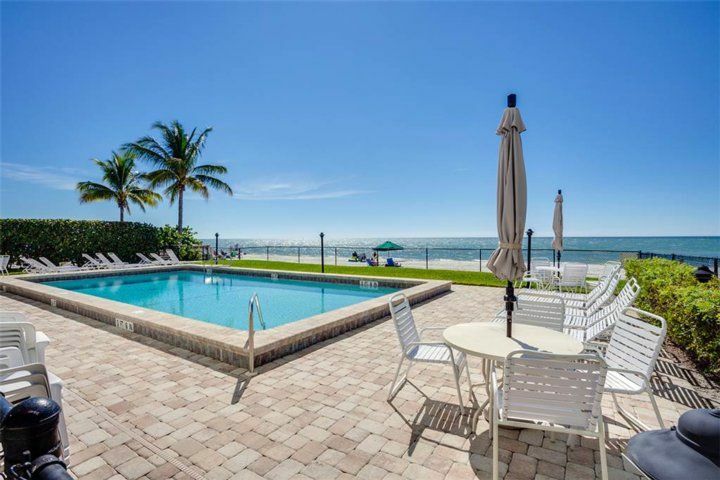 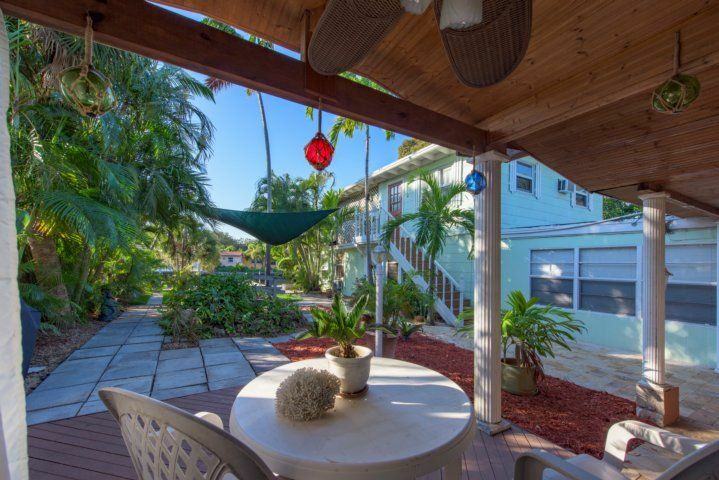 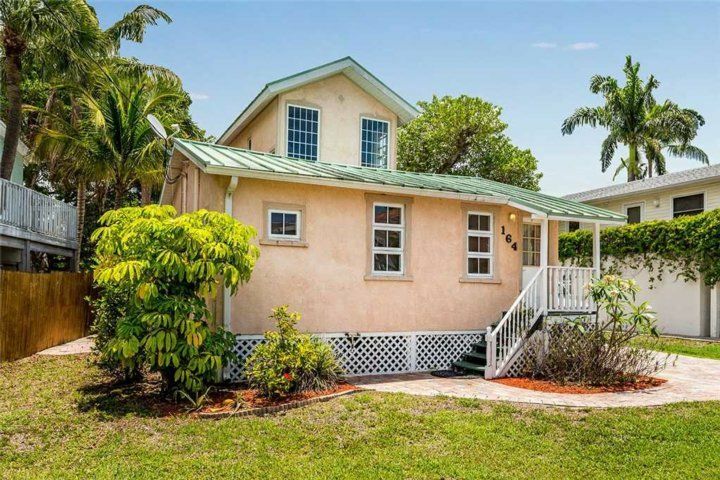 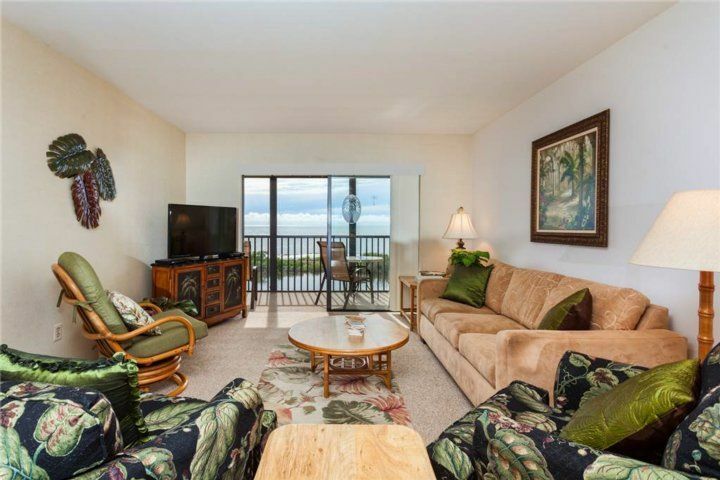 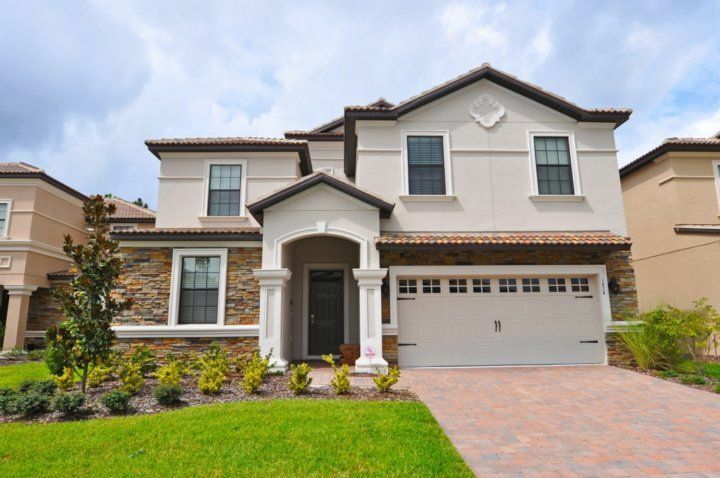 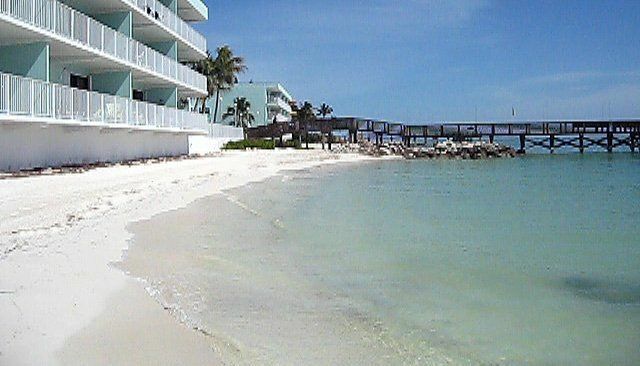 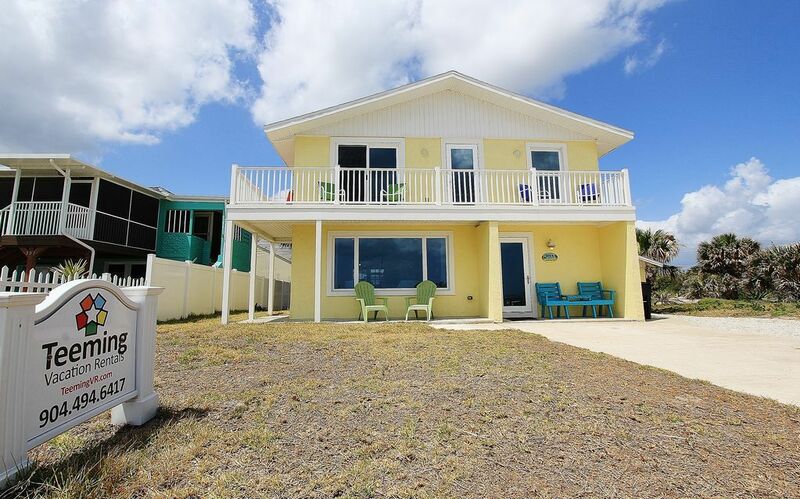 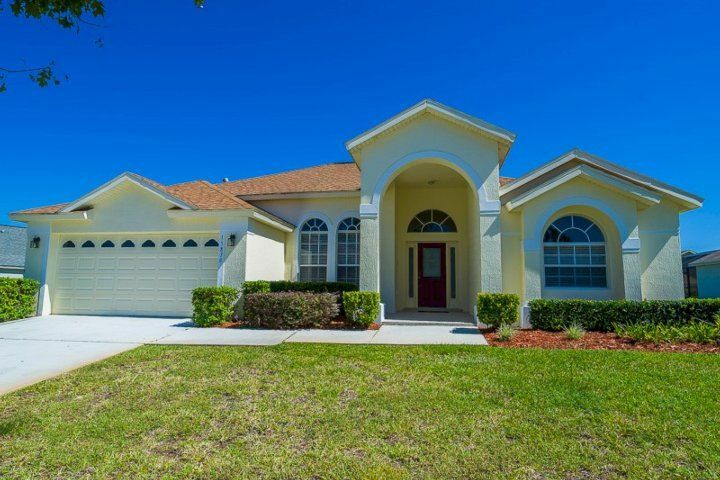 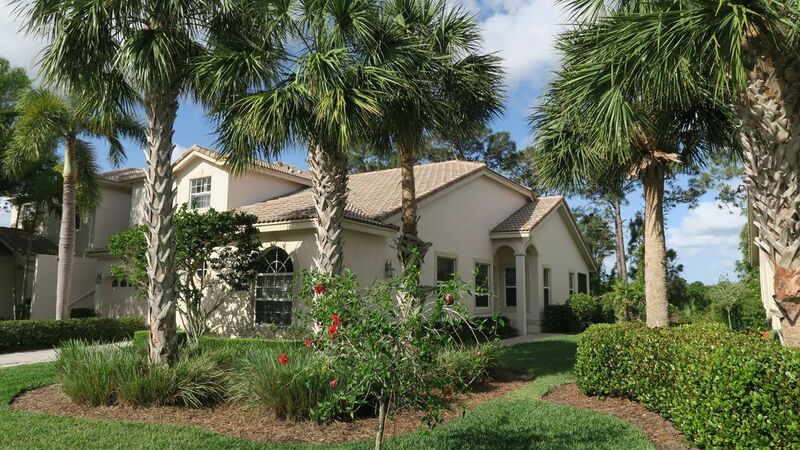 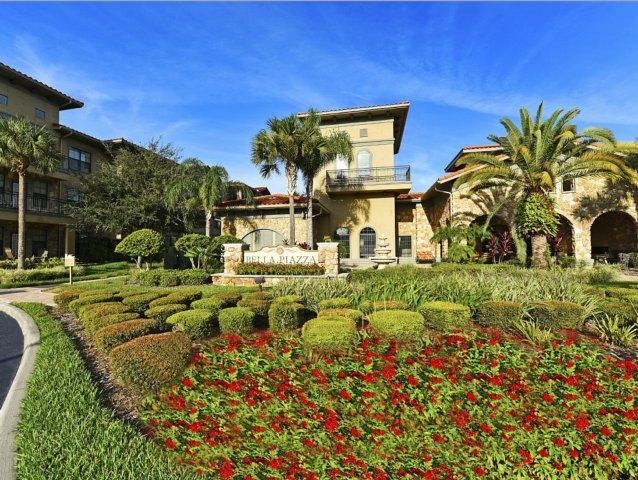 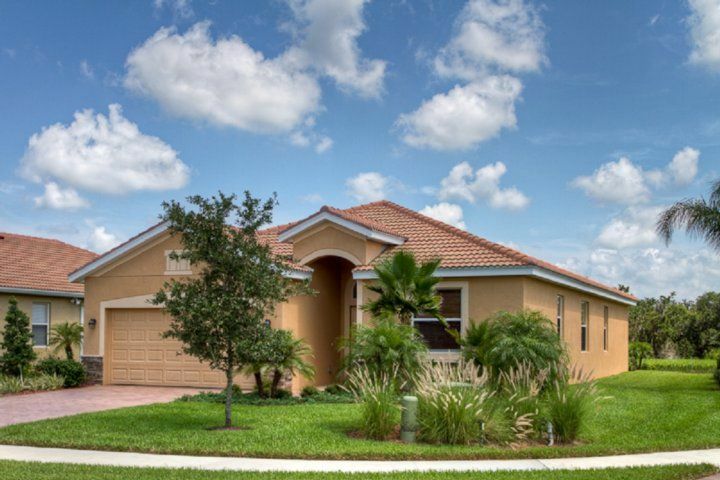 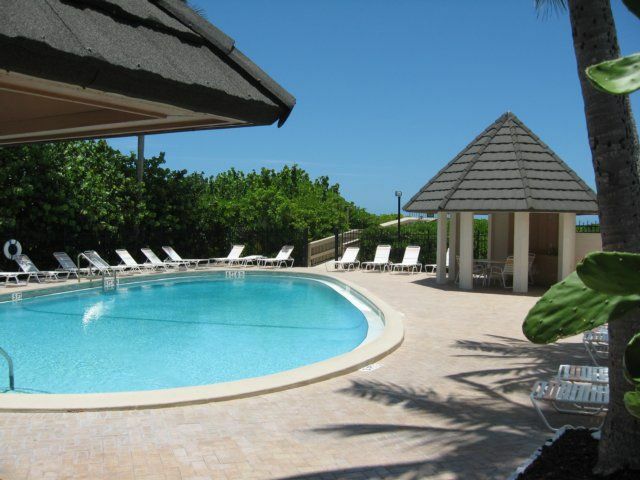 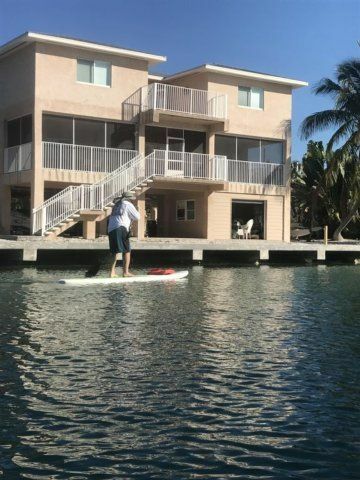 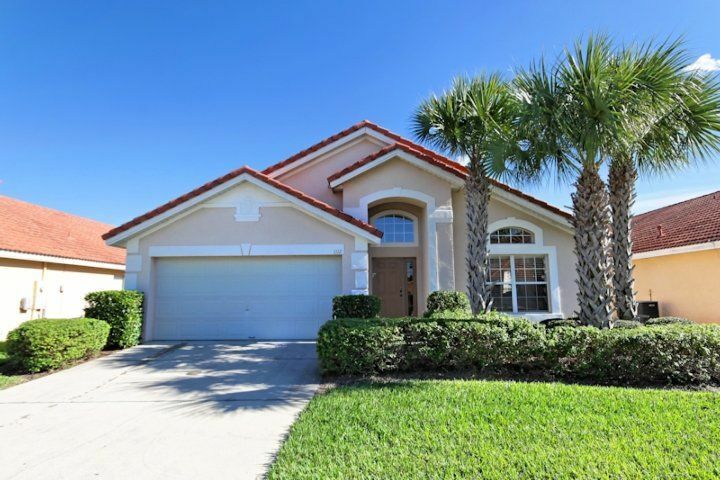 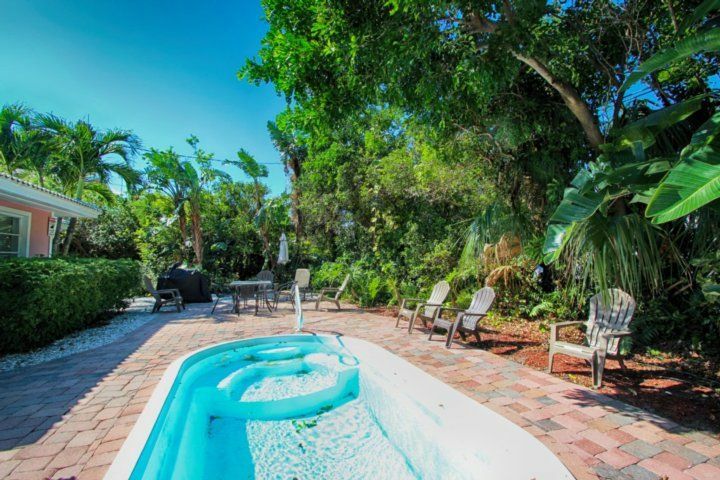 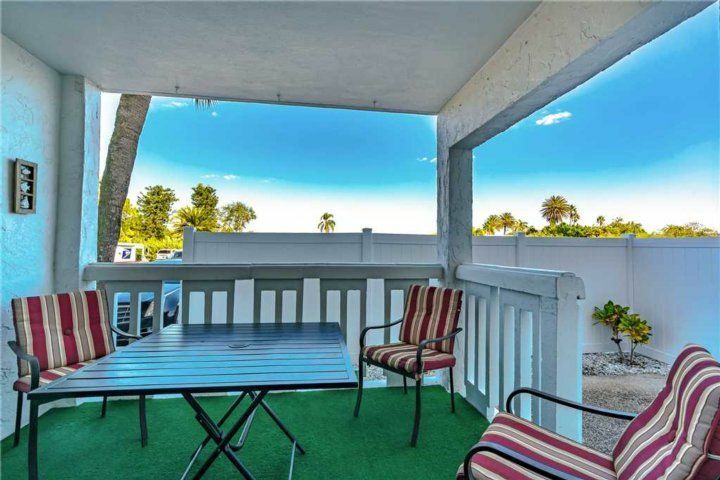 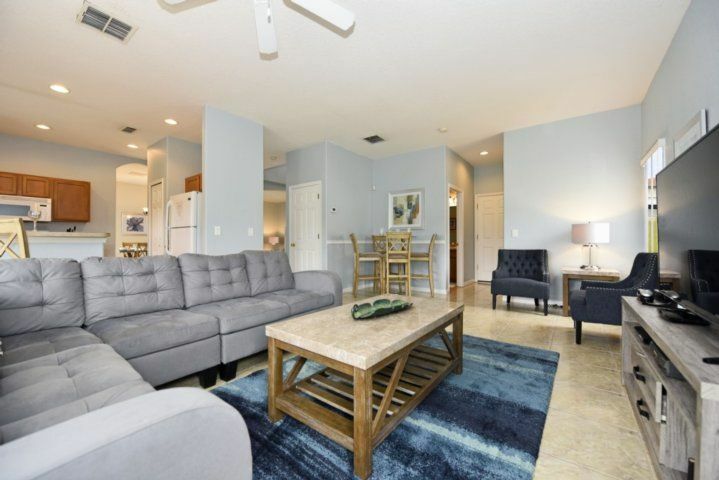 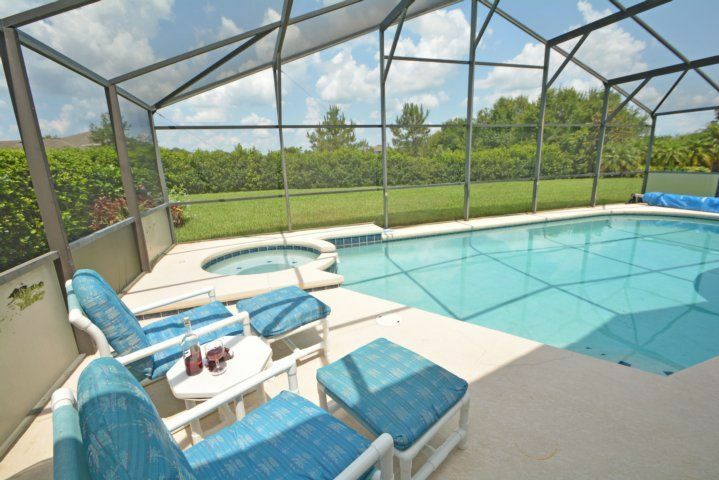 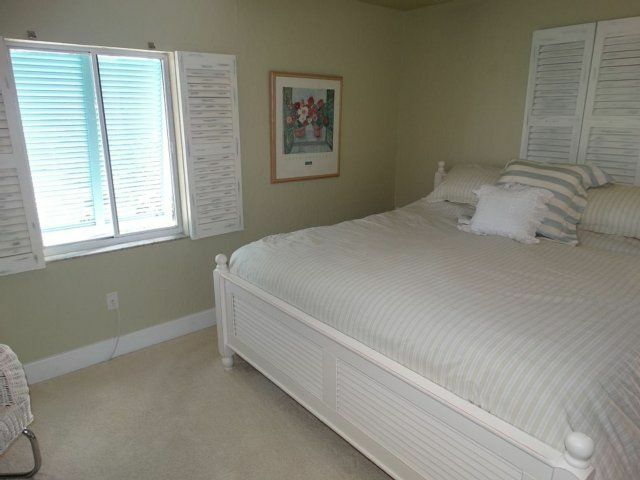 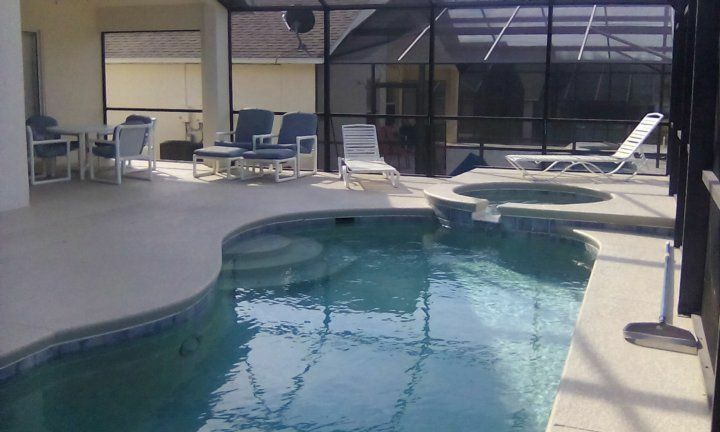 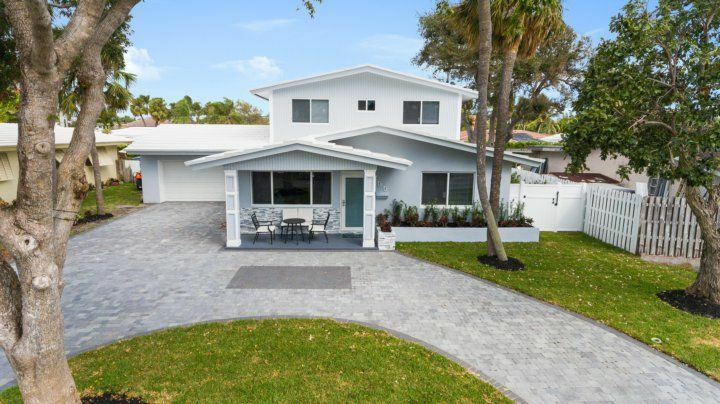 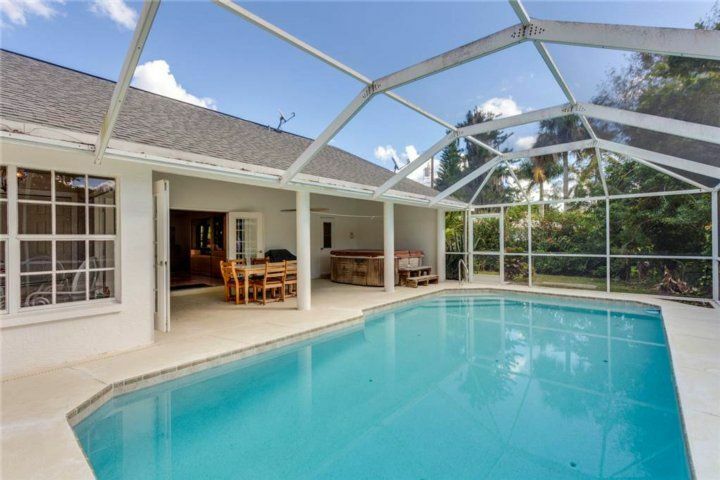 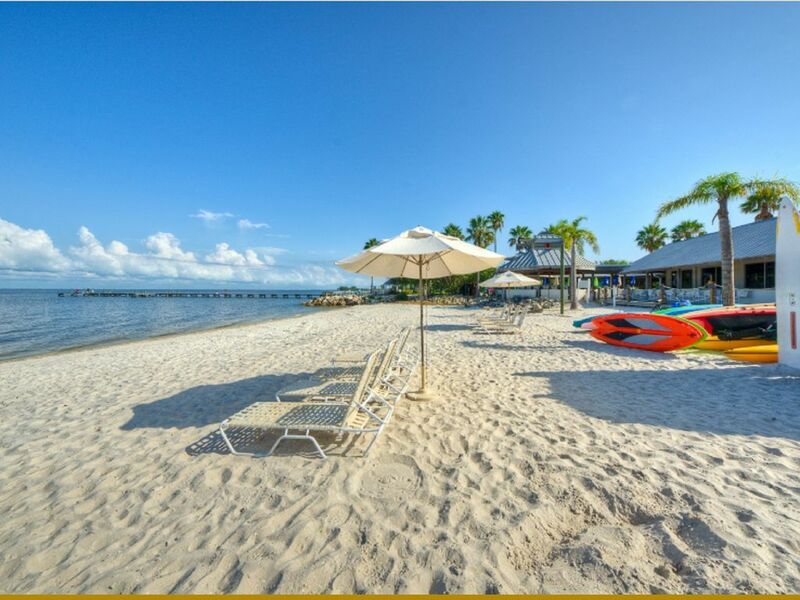 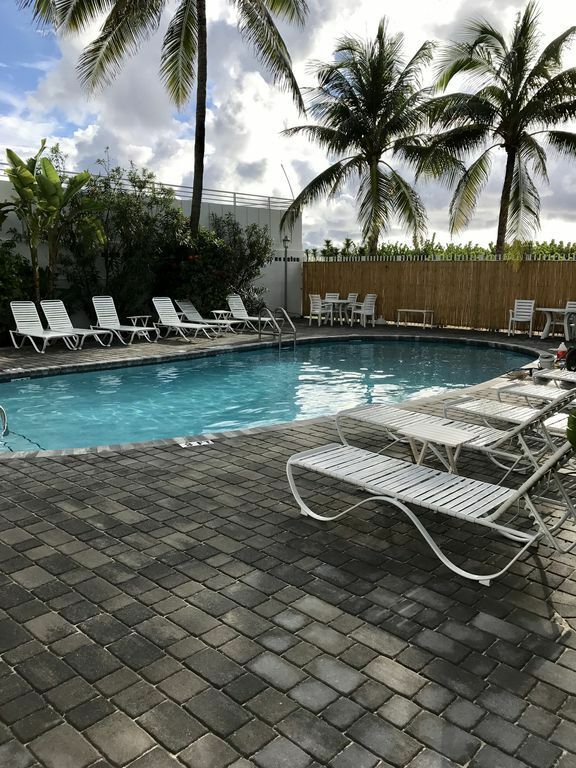 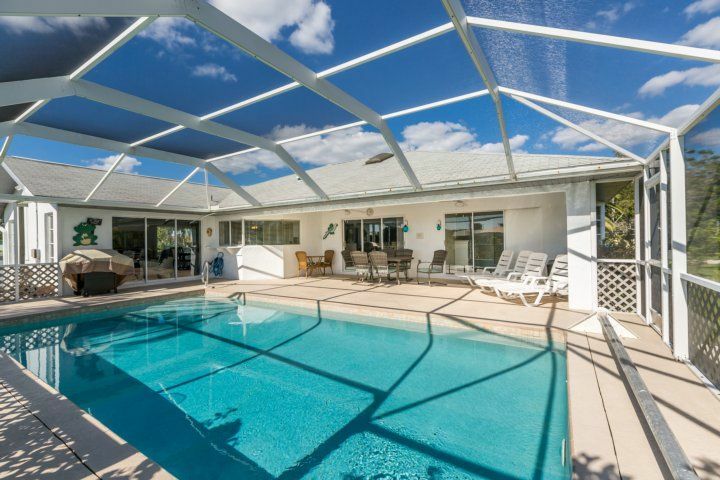 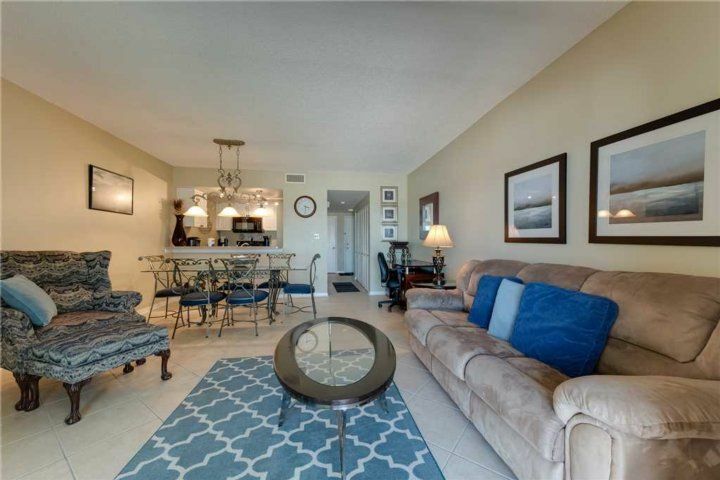 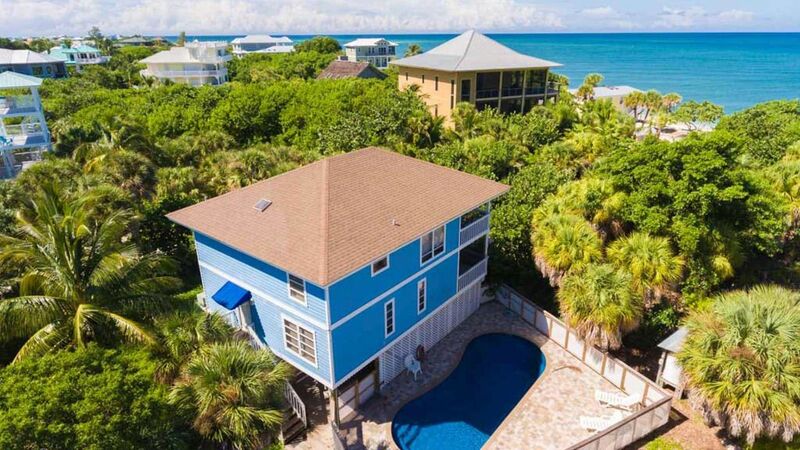 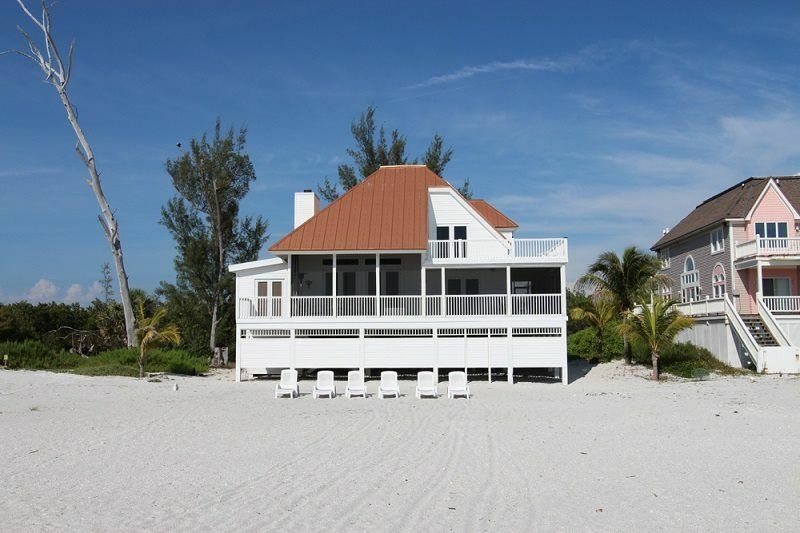 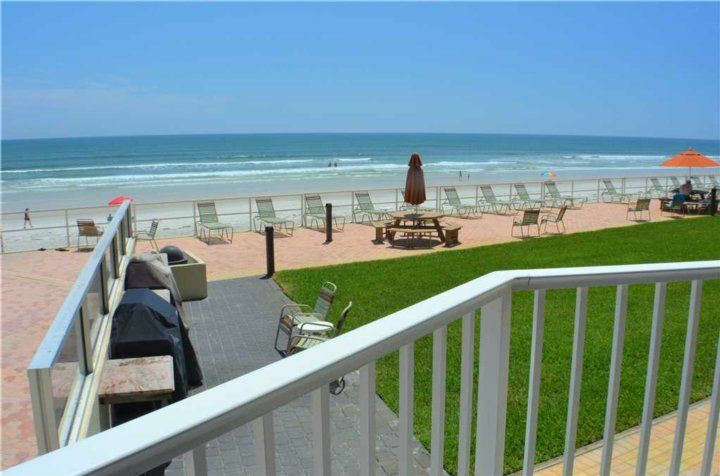 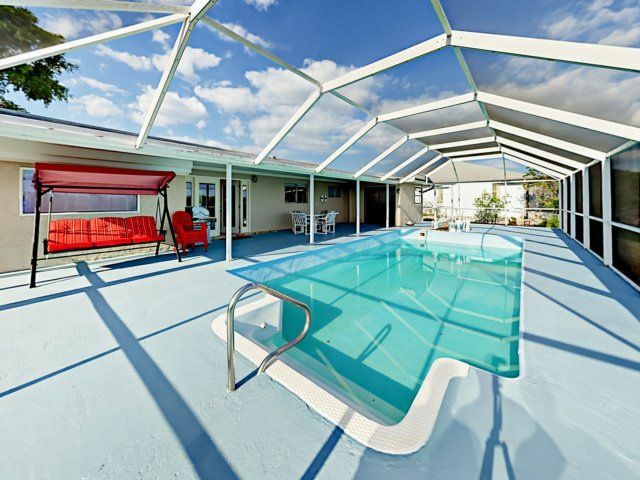 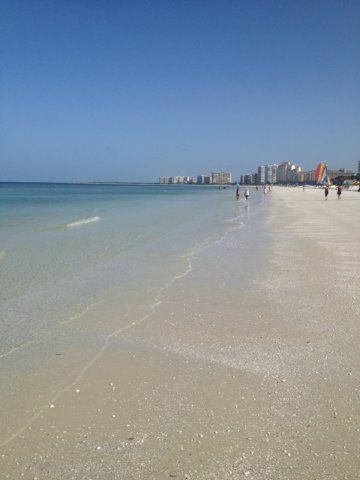 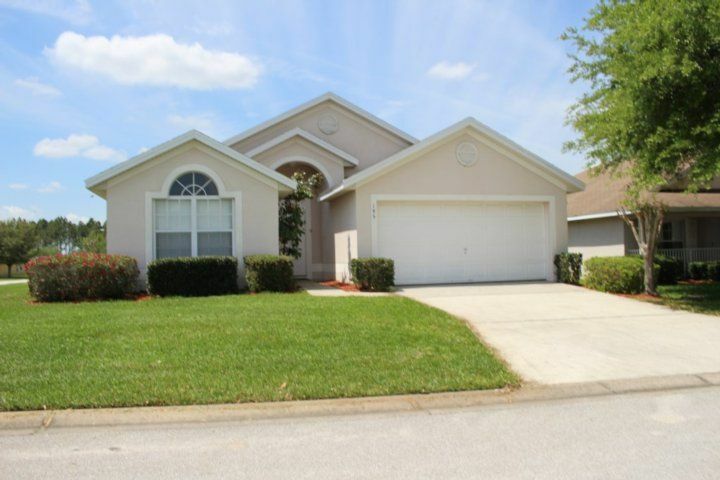 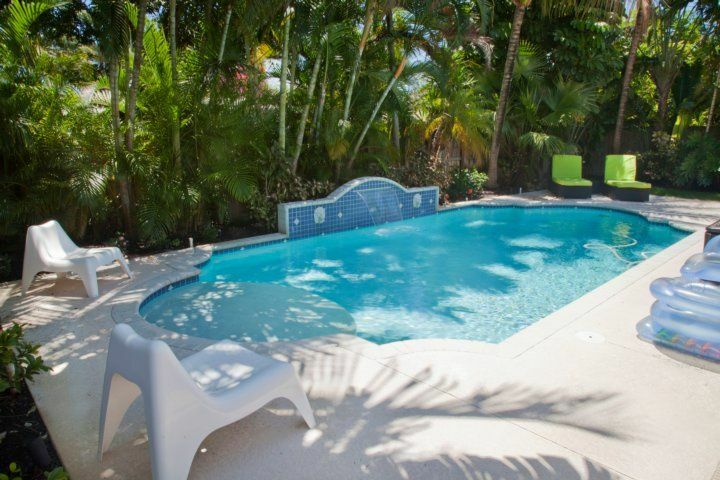 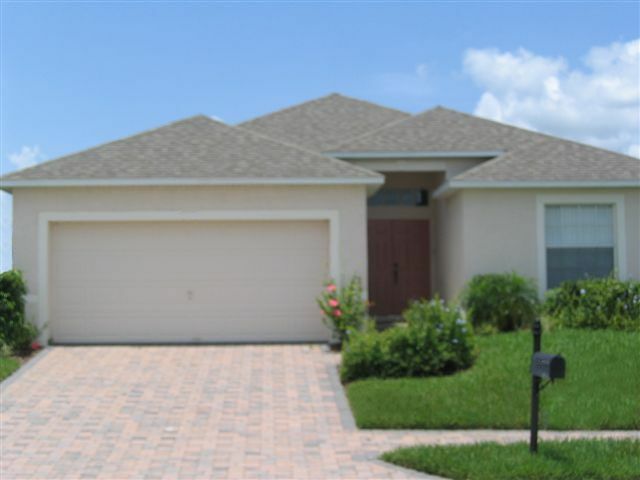 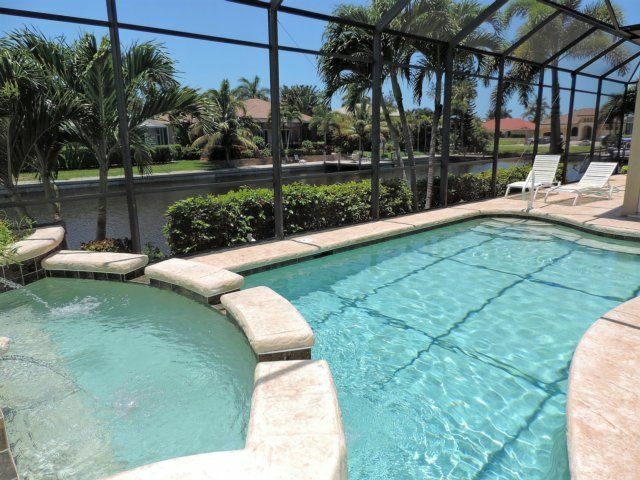 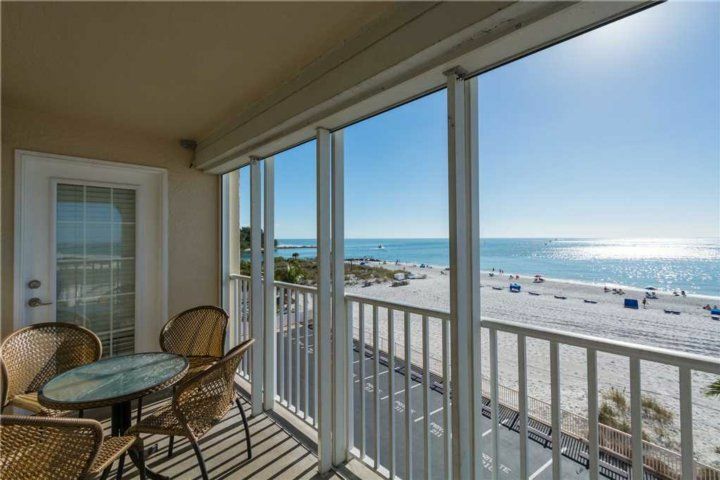 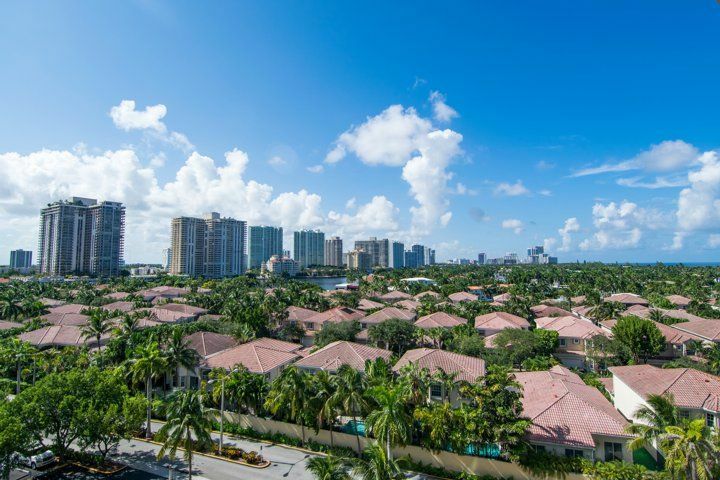 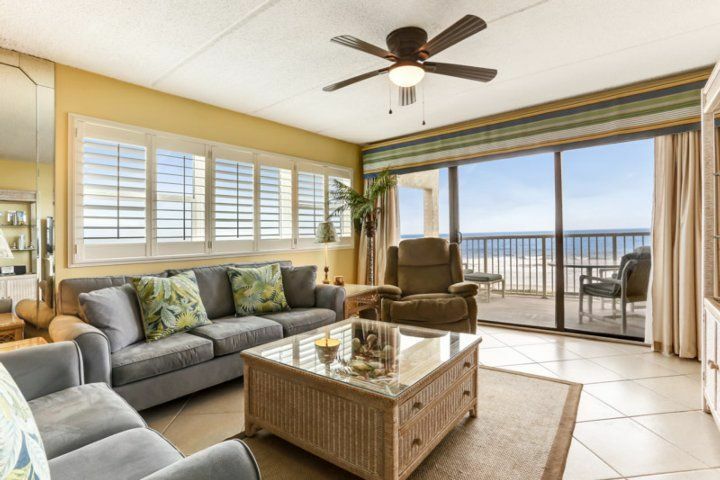 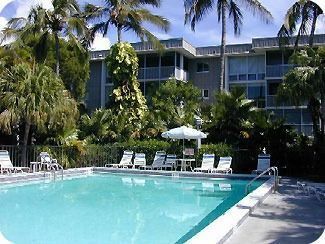 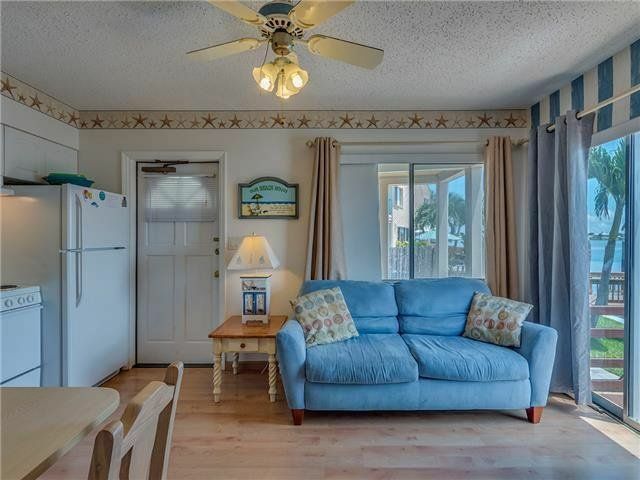 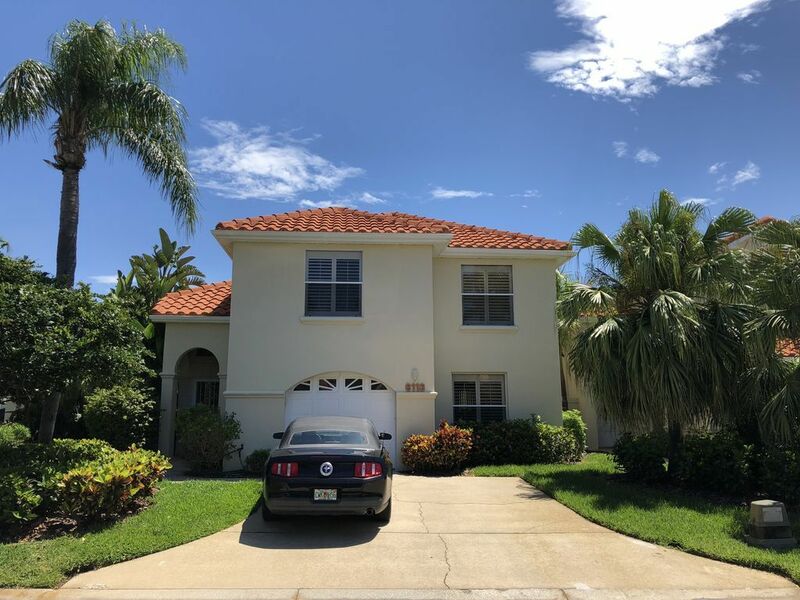 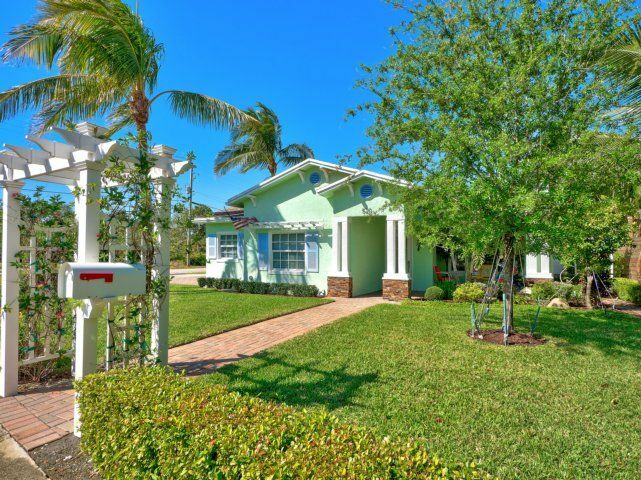 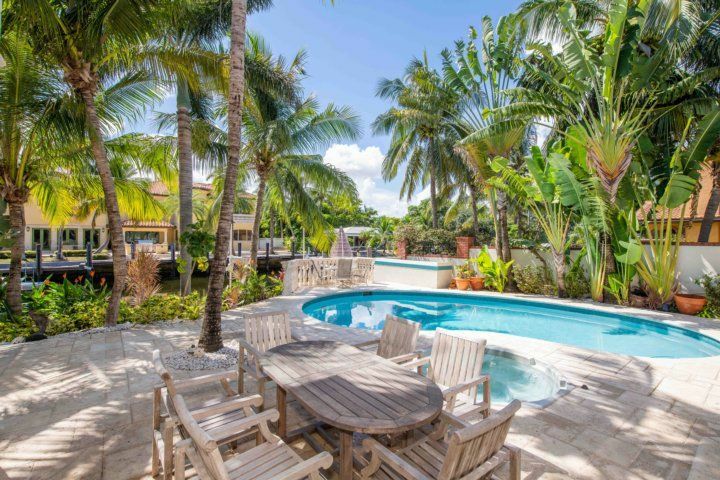 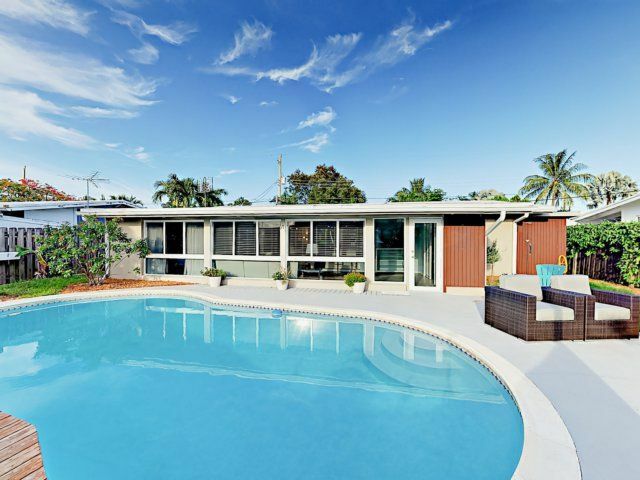 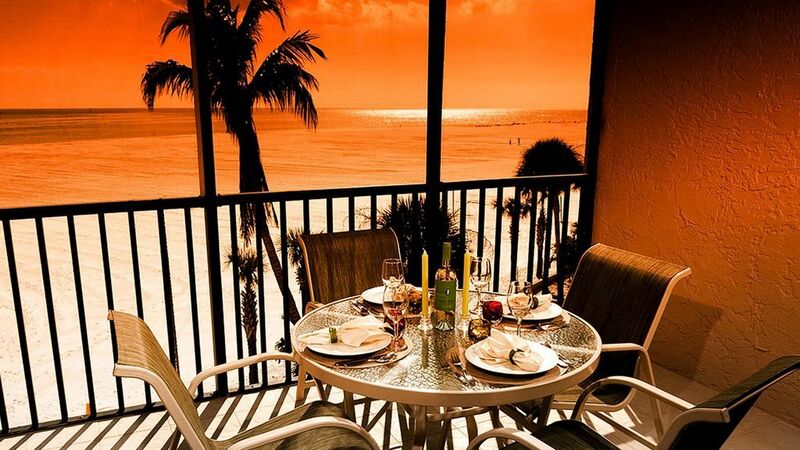 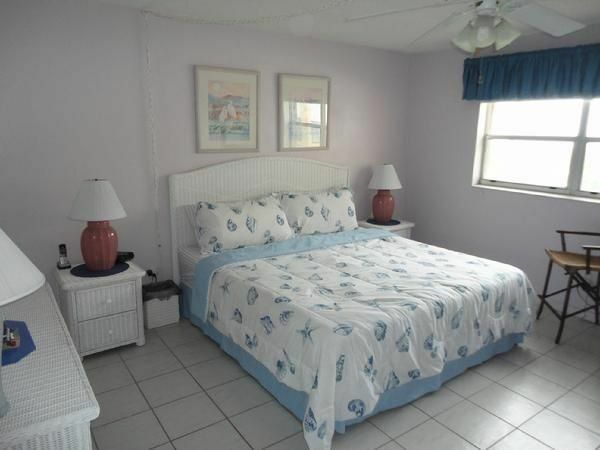 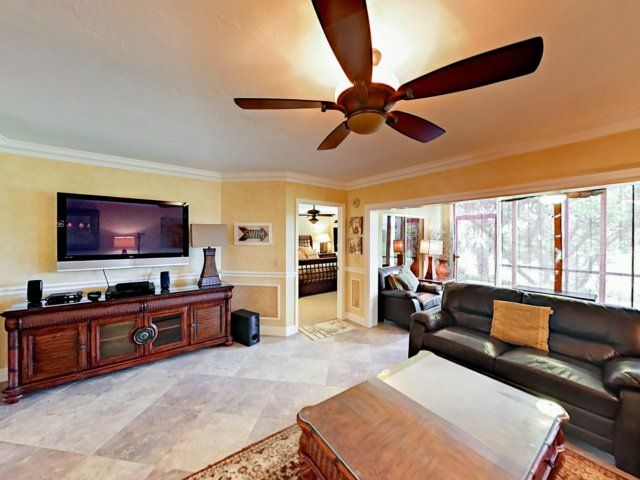 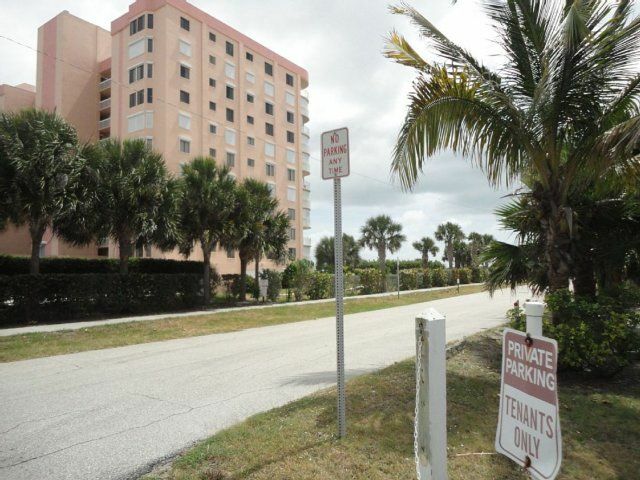 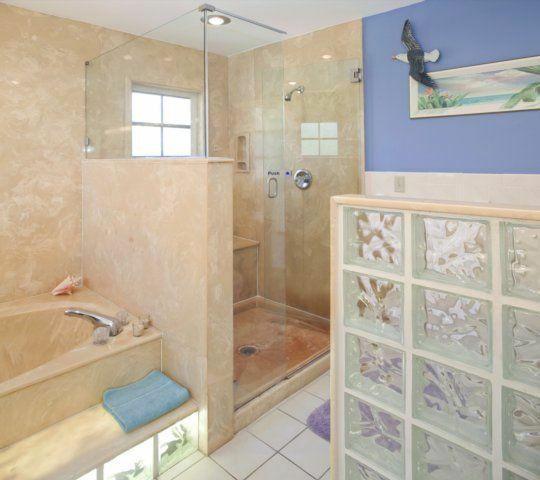 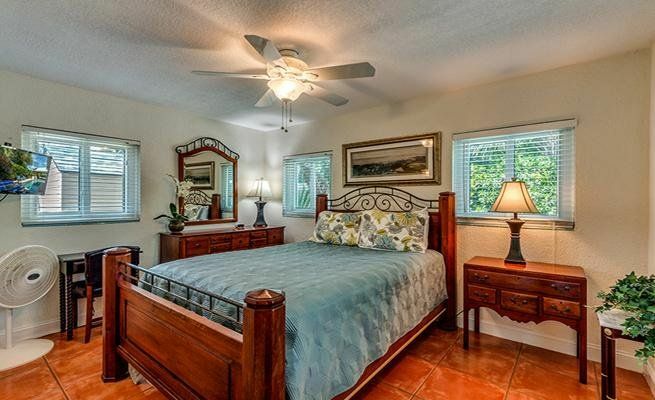 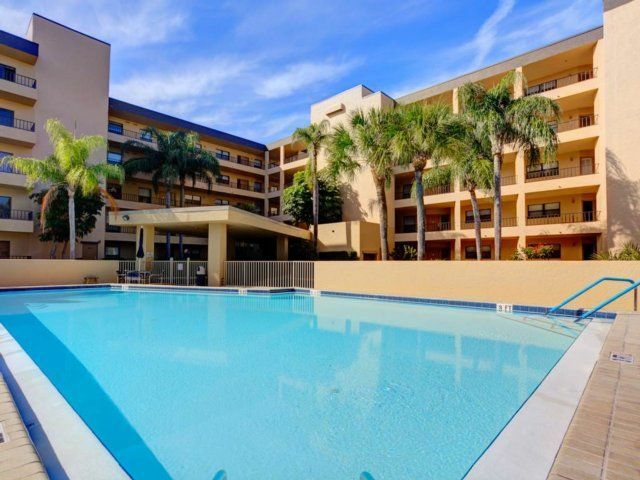 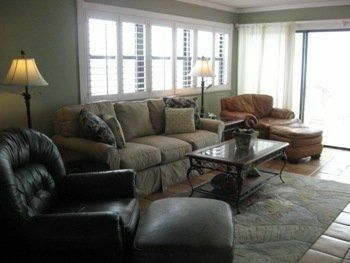 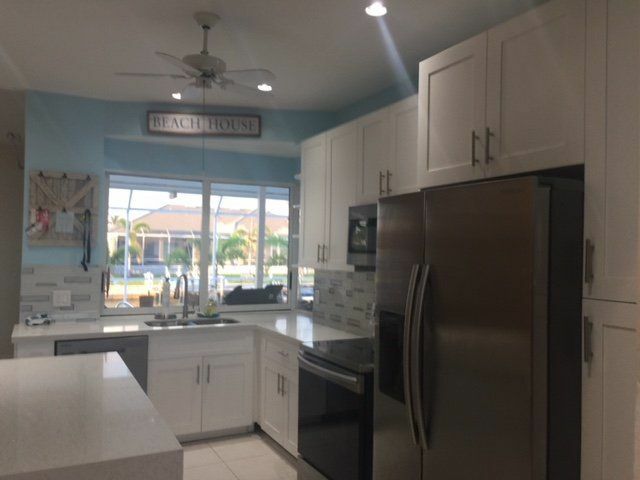 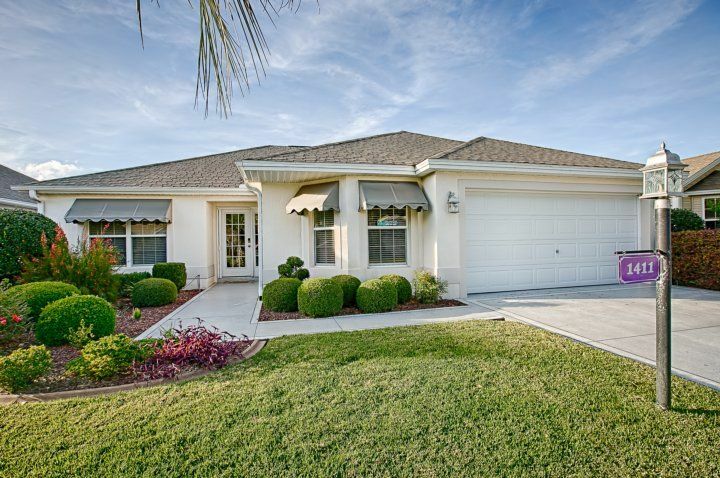 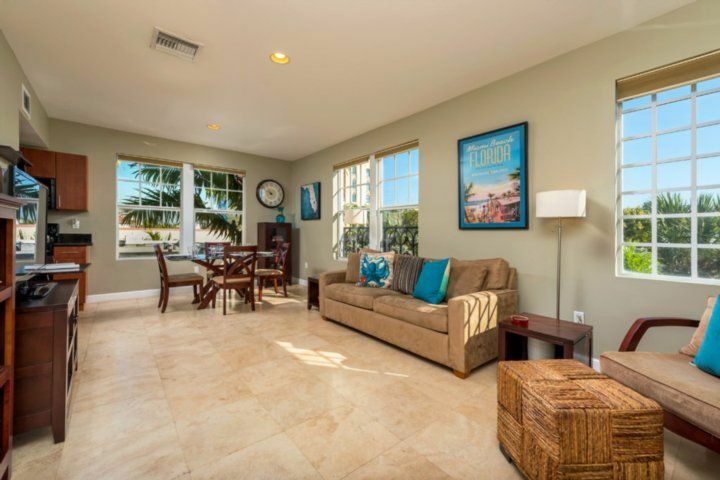 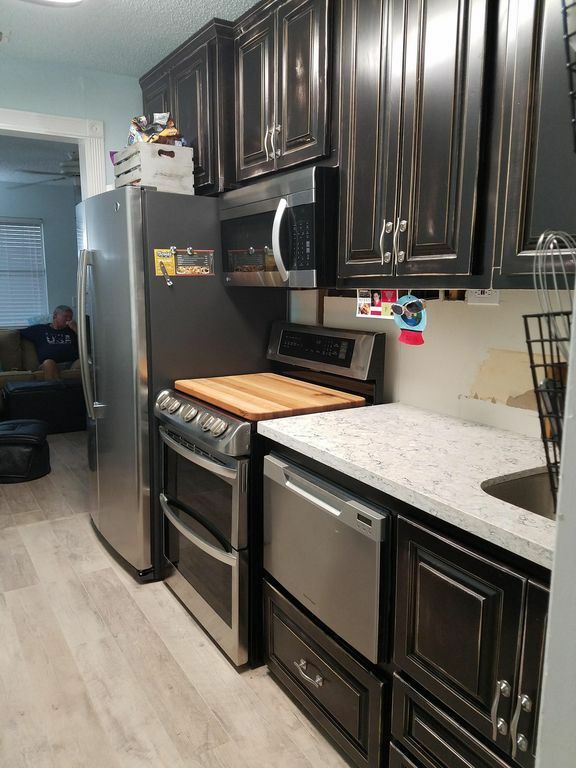 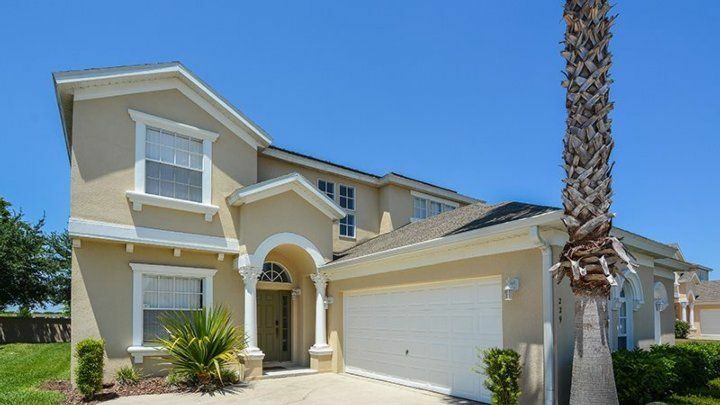 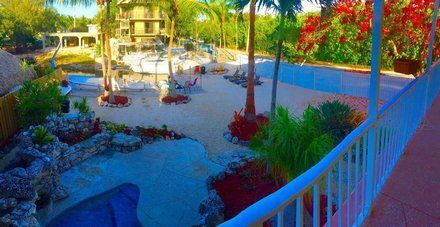 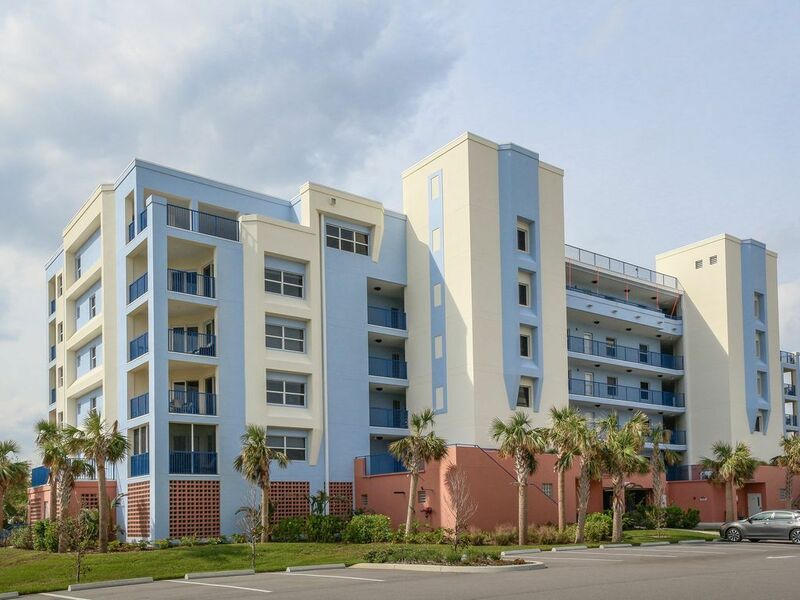 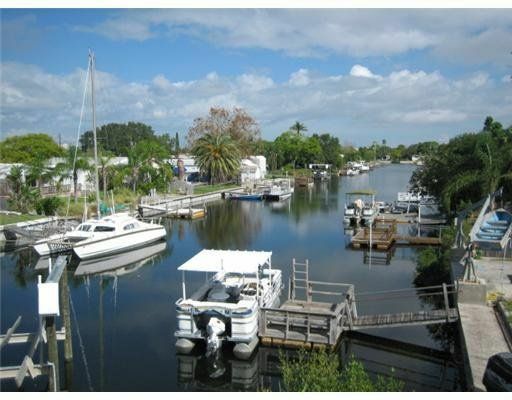 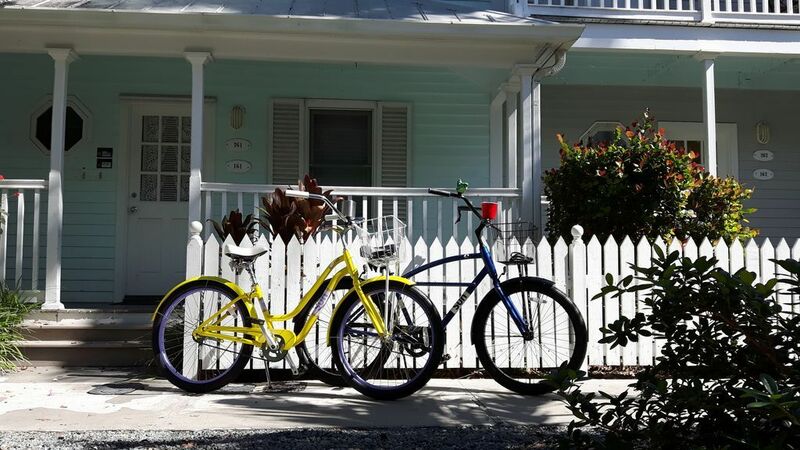 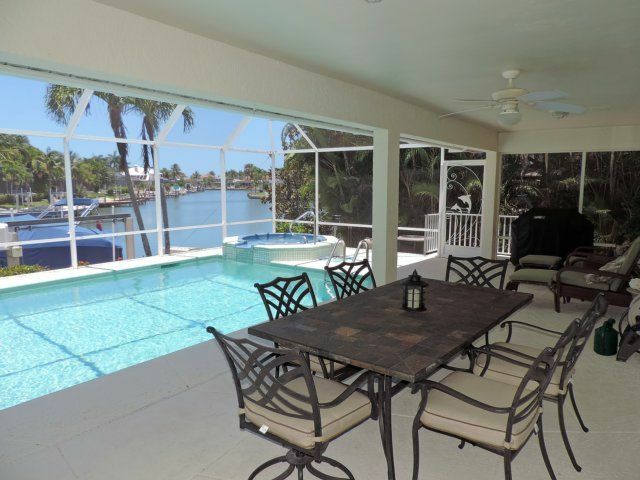 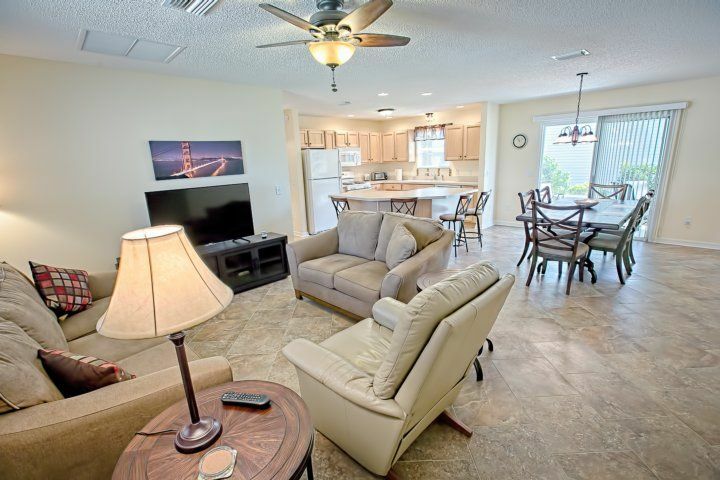 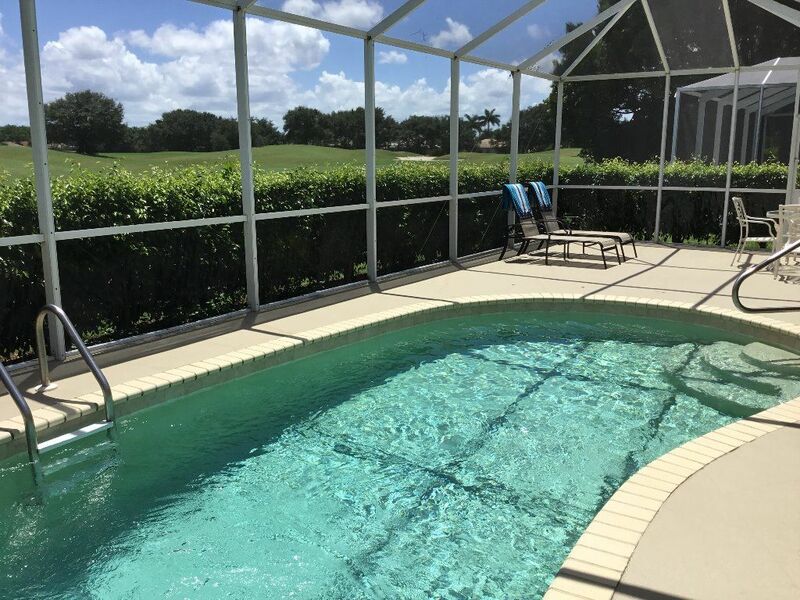 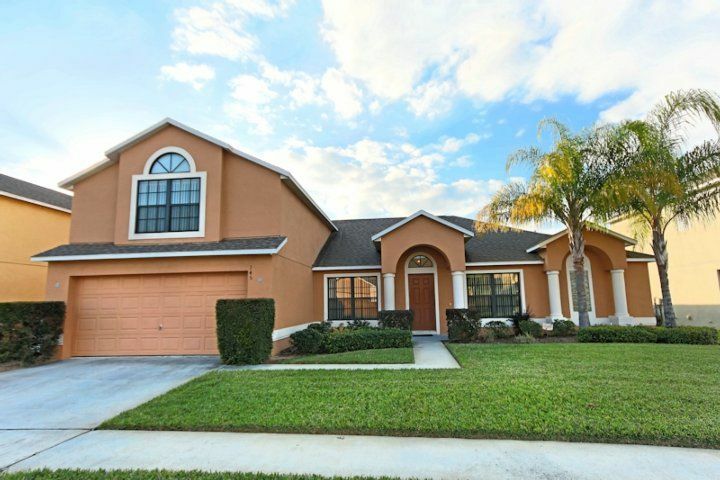 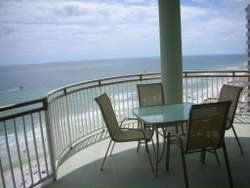 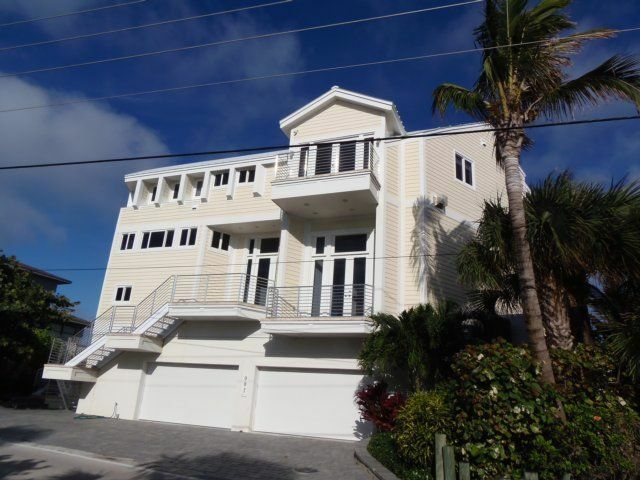 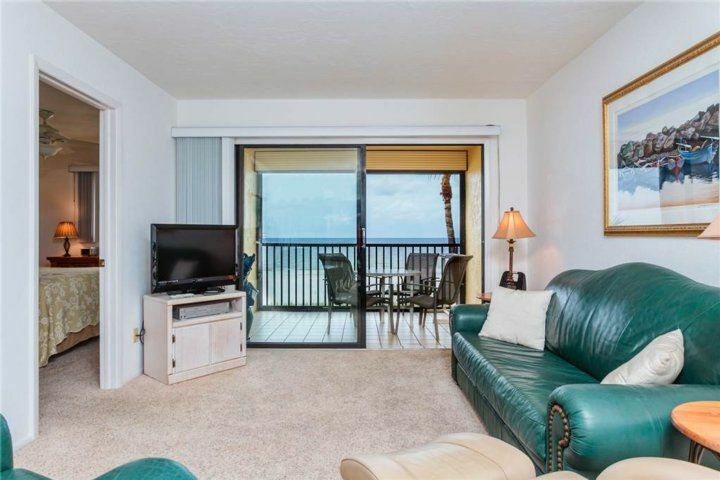 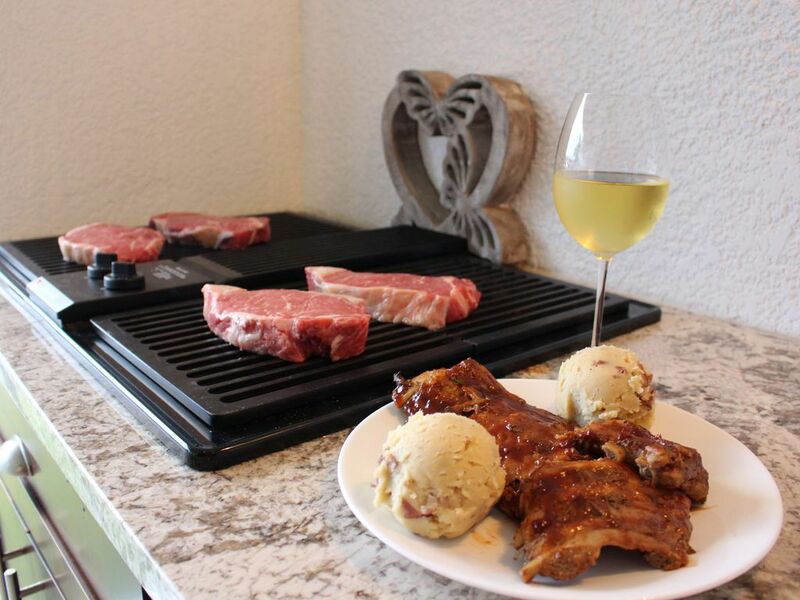 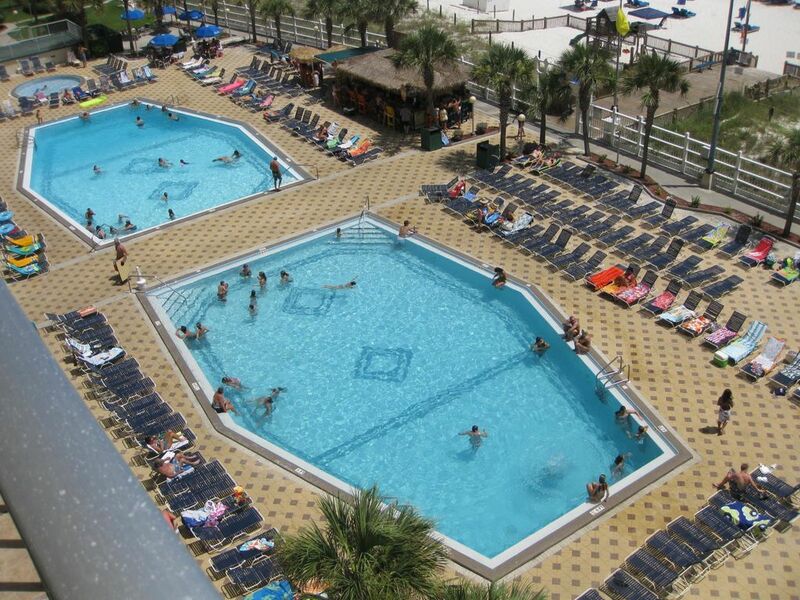 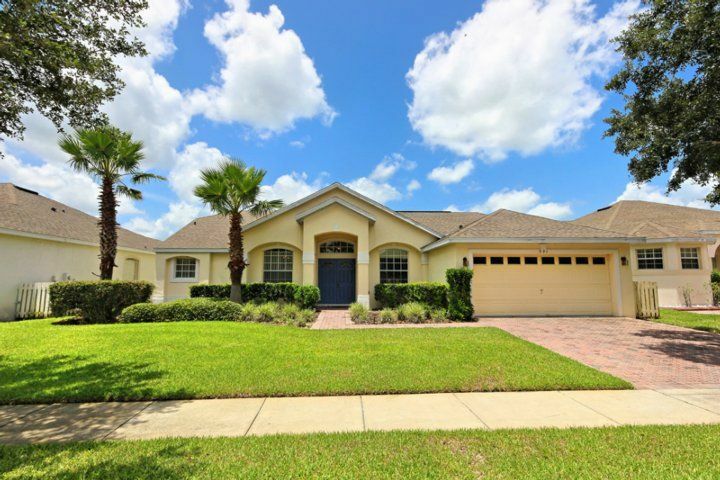 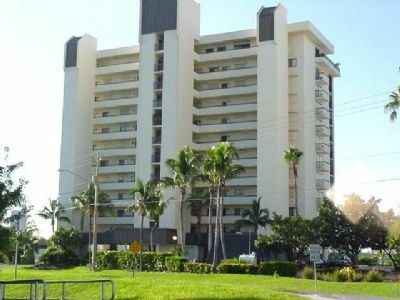 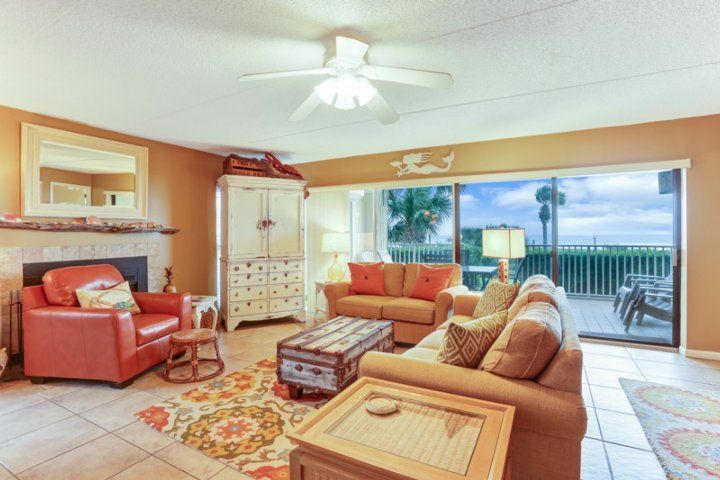 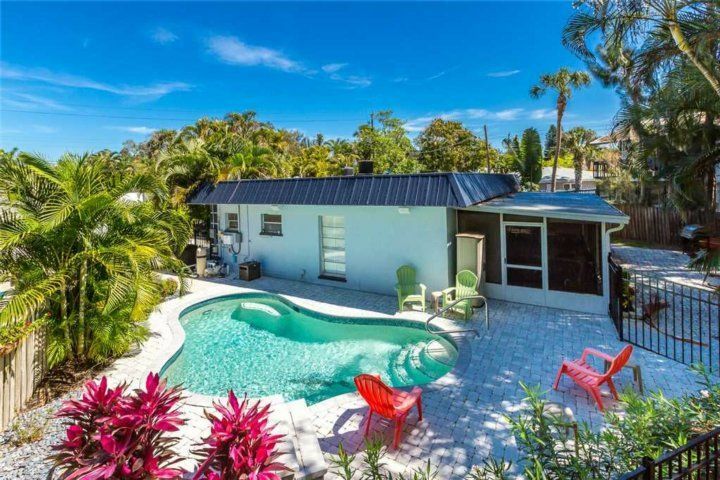 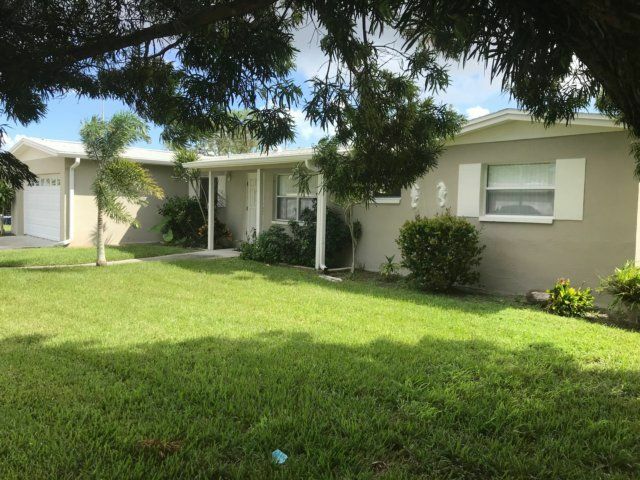 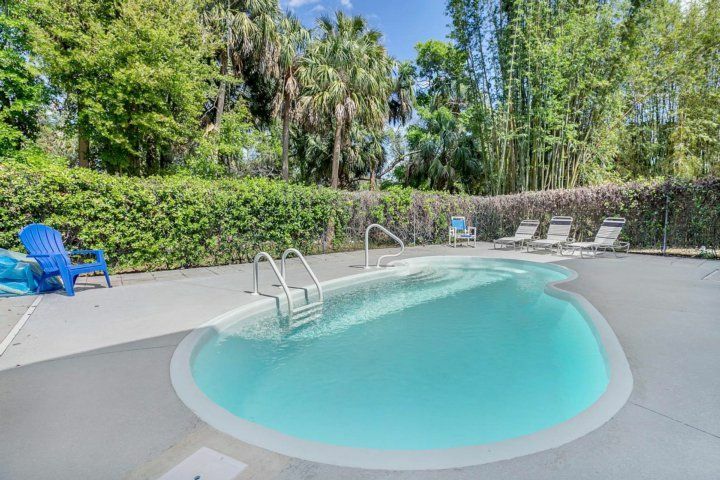 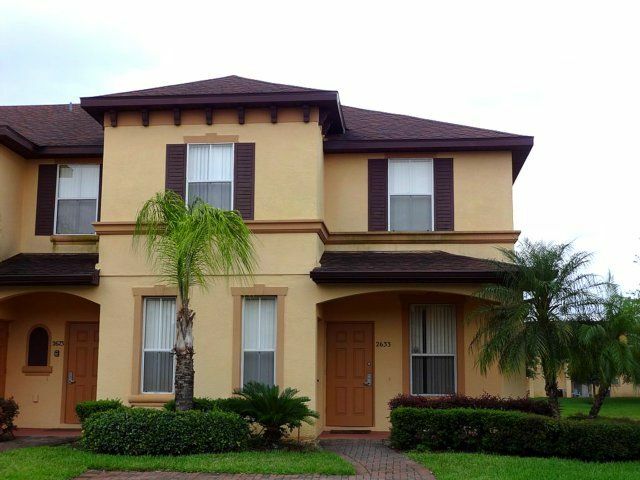 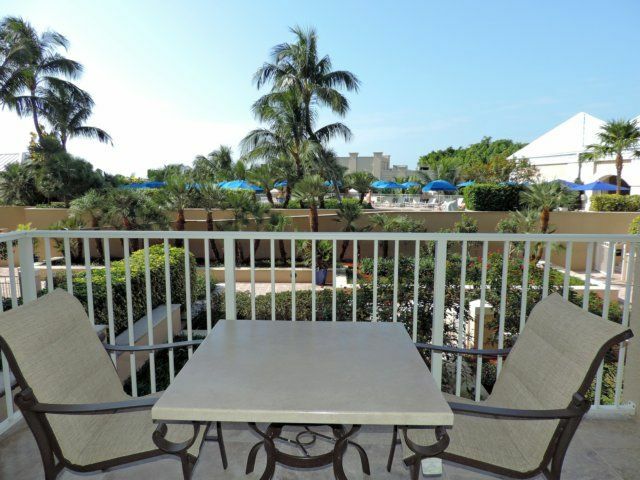 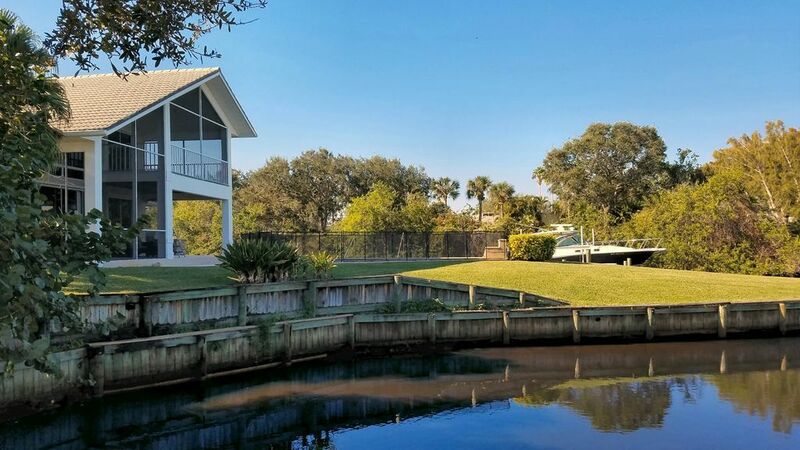 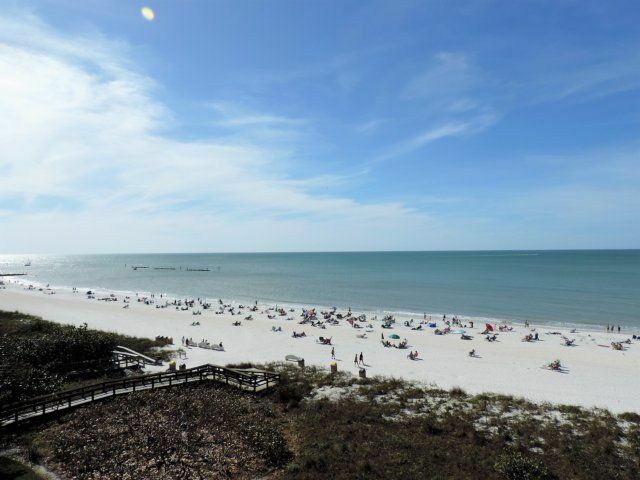 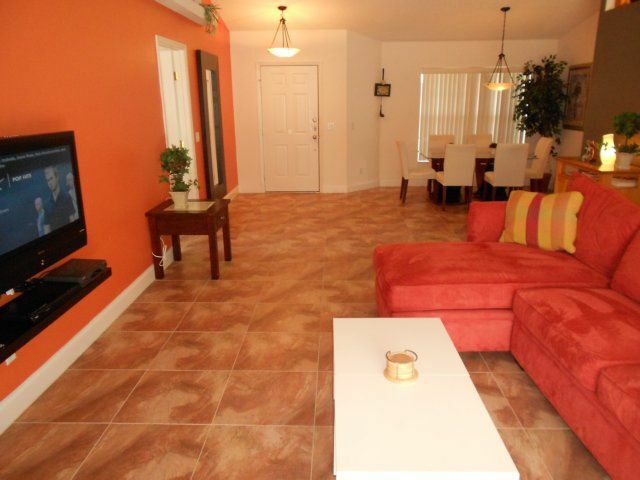 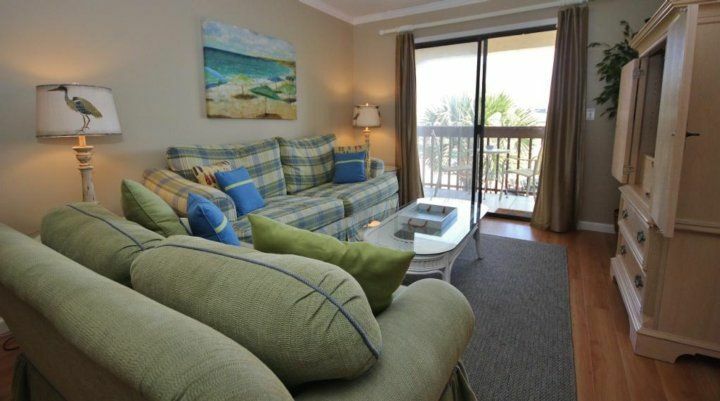 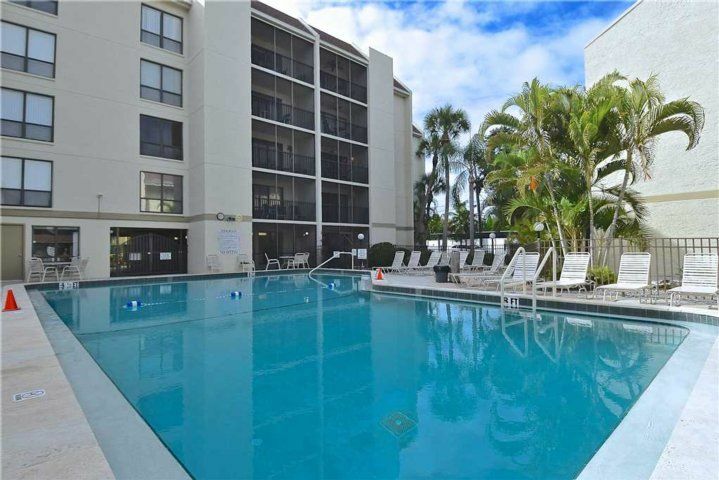 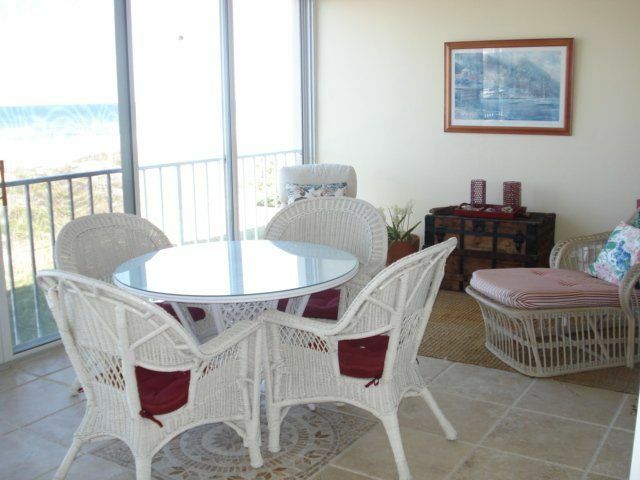 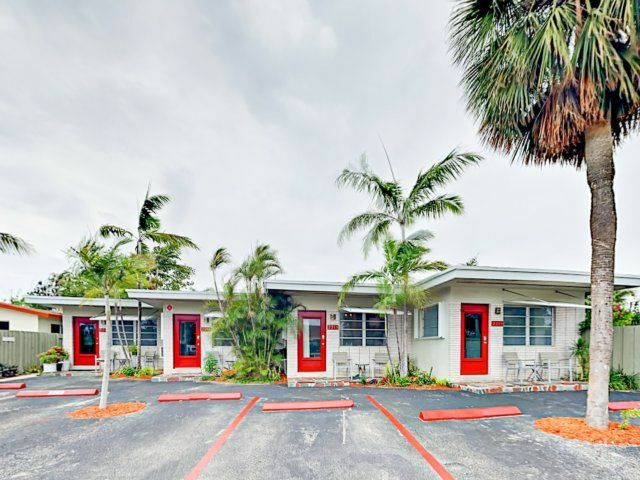 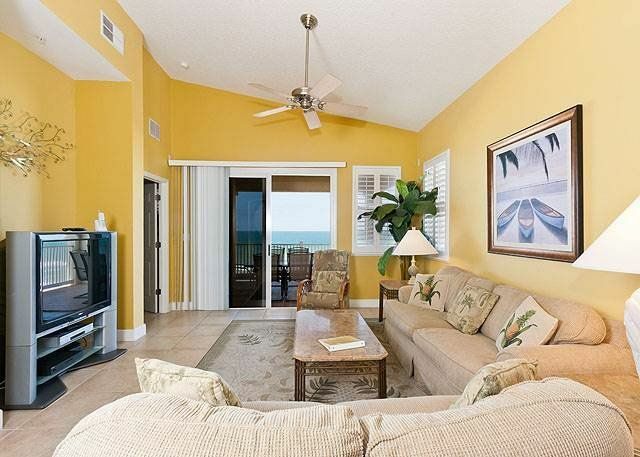 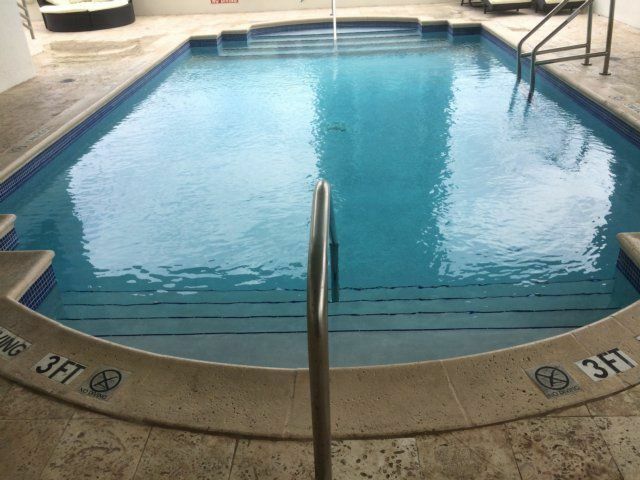 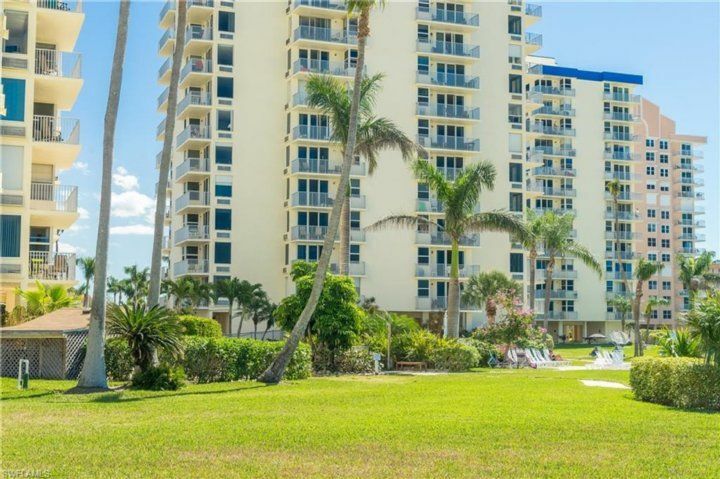 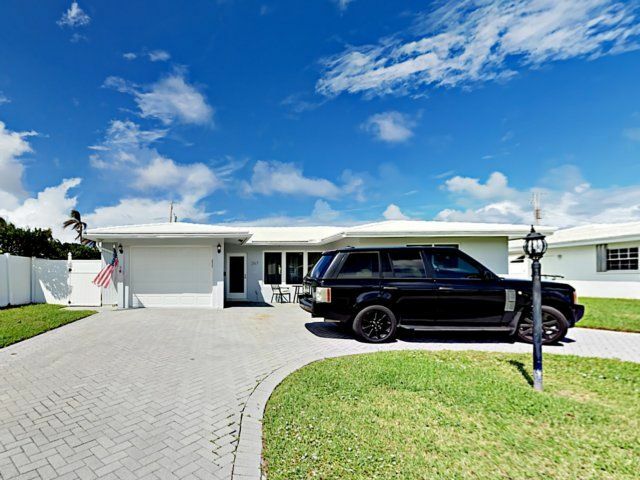 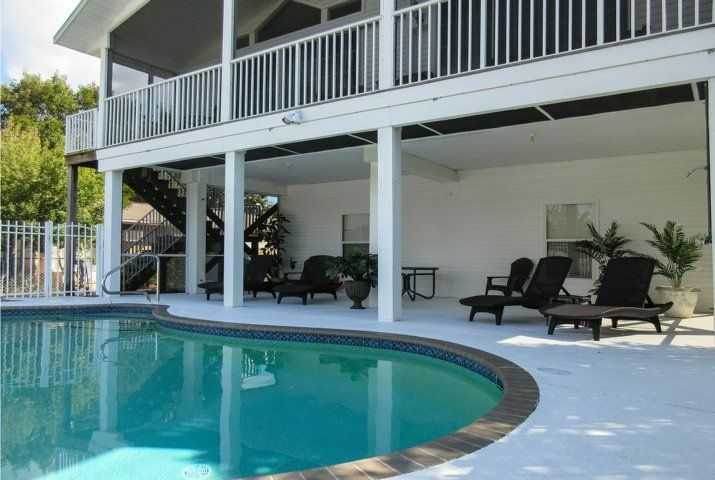 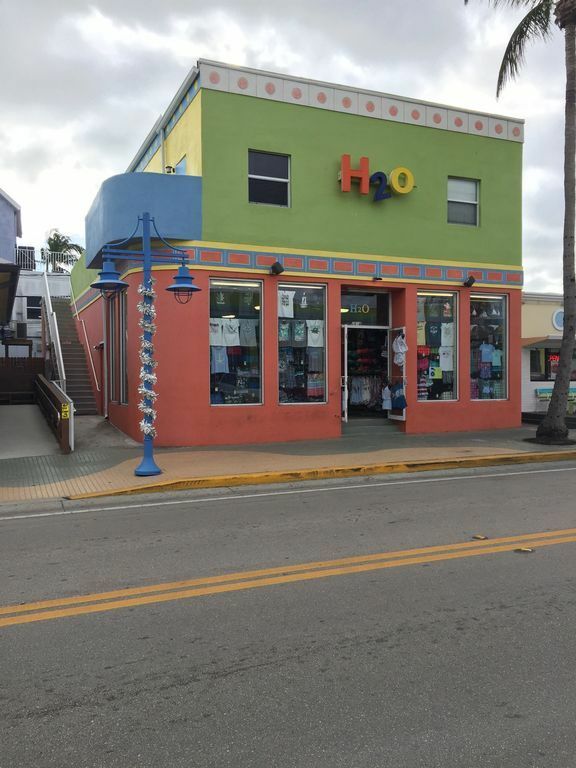 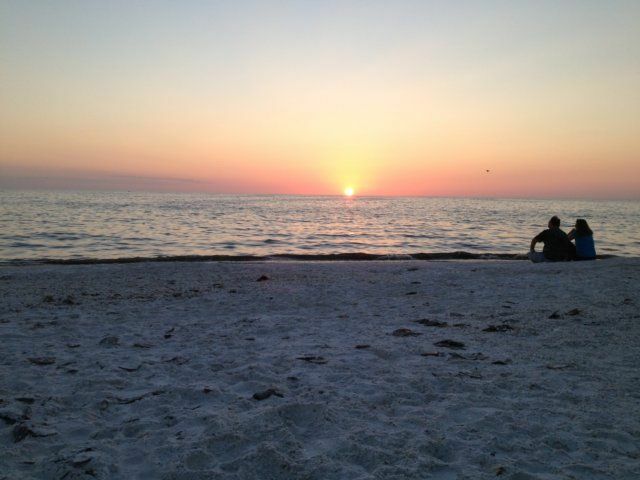 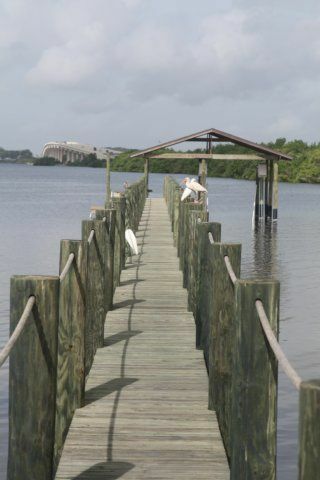 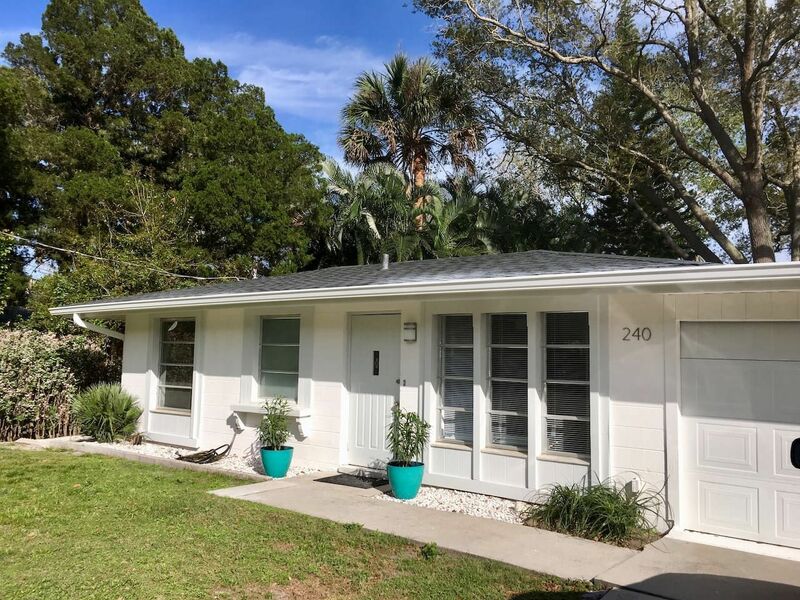 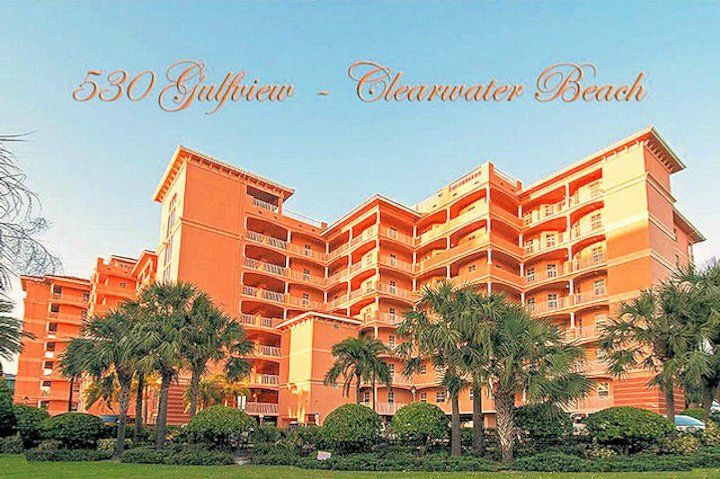 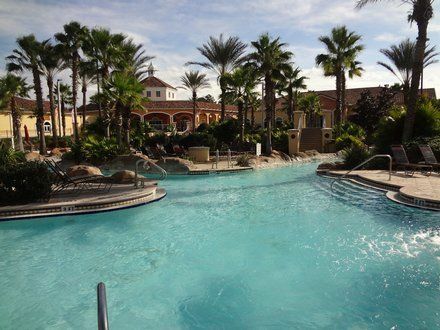 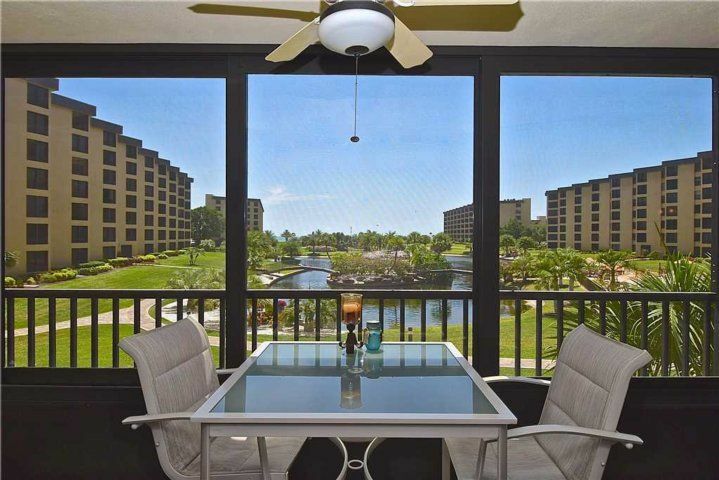 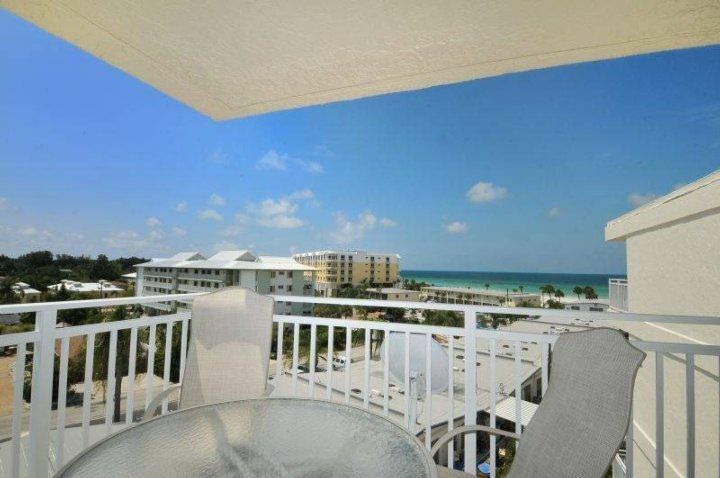 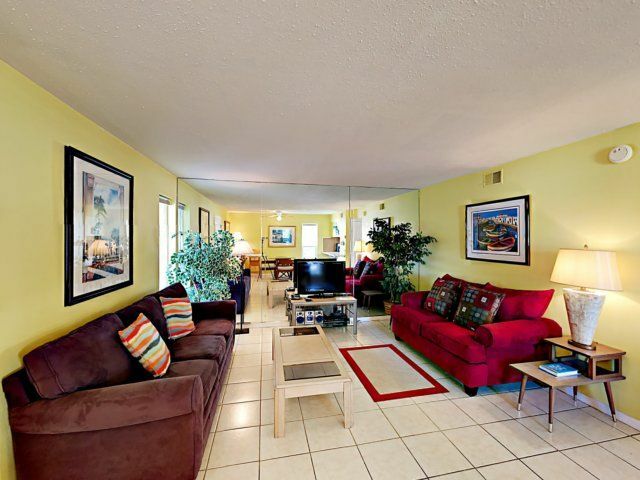 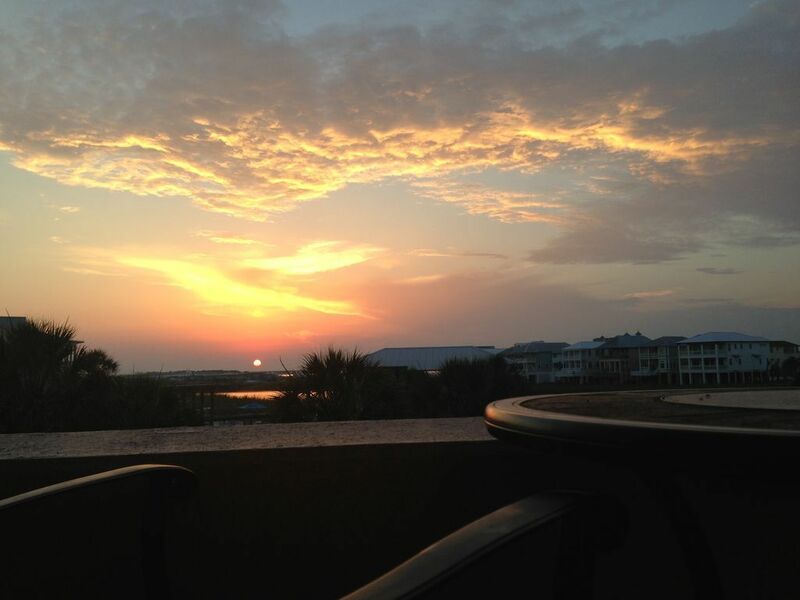 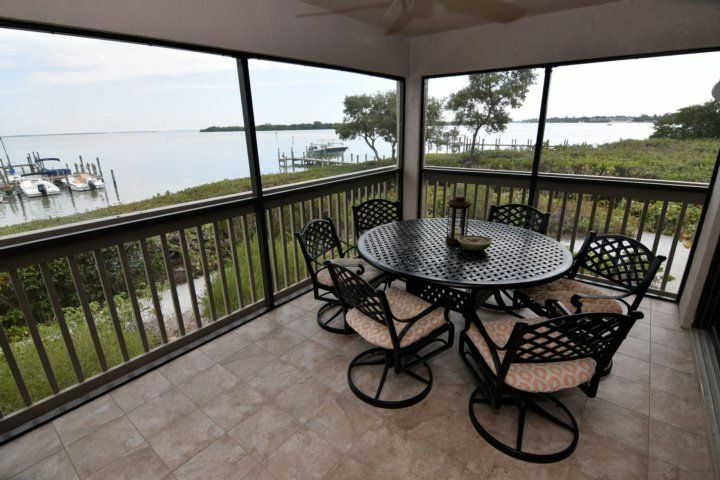 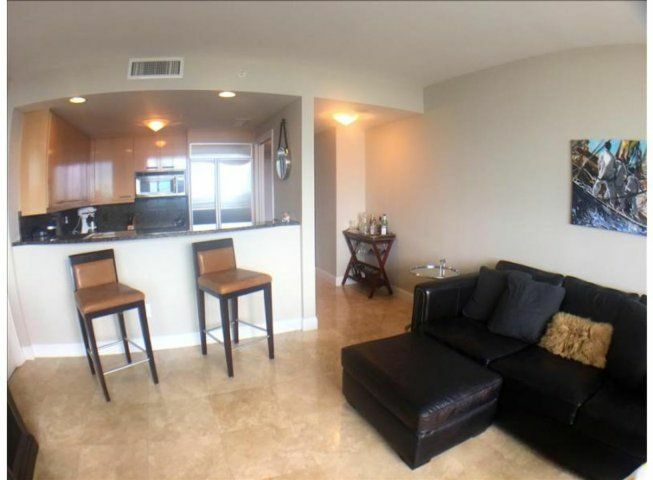 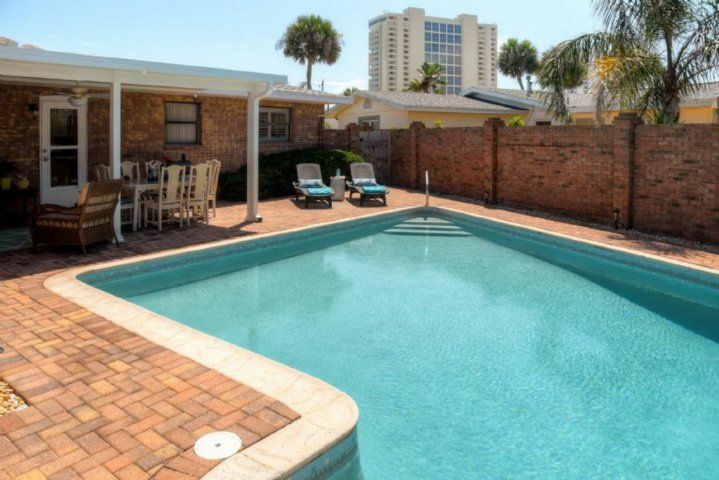 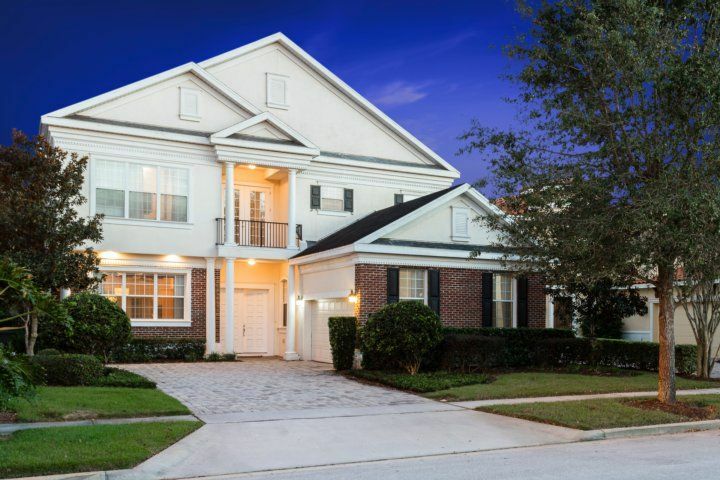 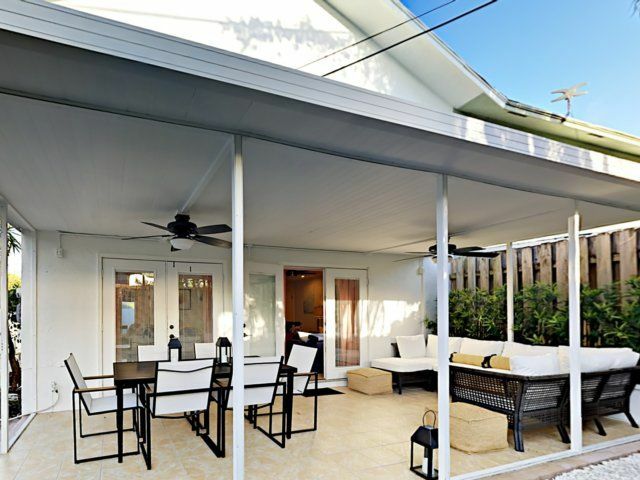 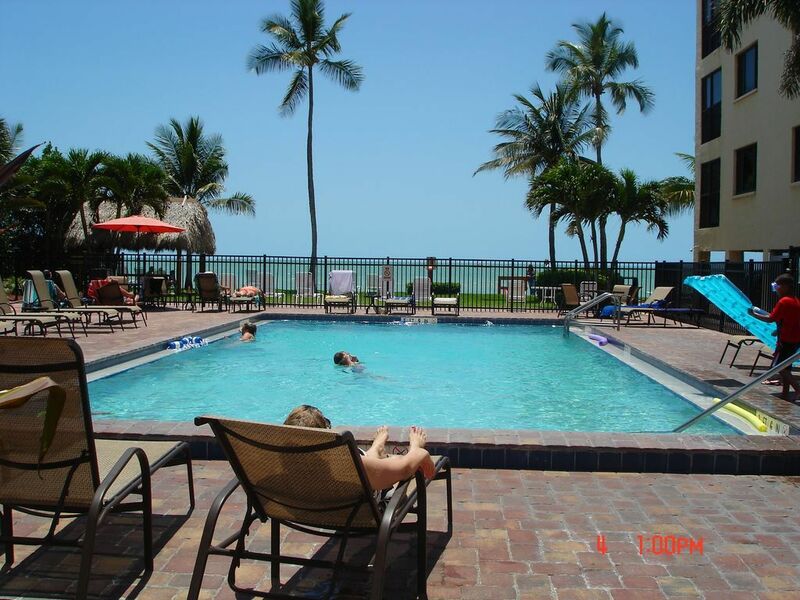 This Condo is located directly on the white sandy beaches of Marco Island. 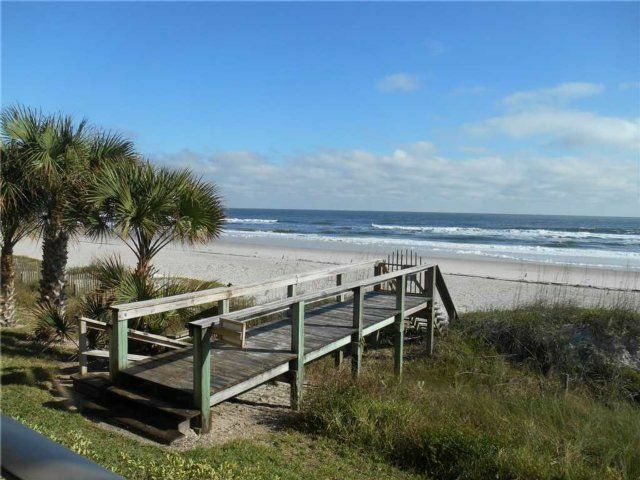 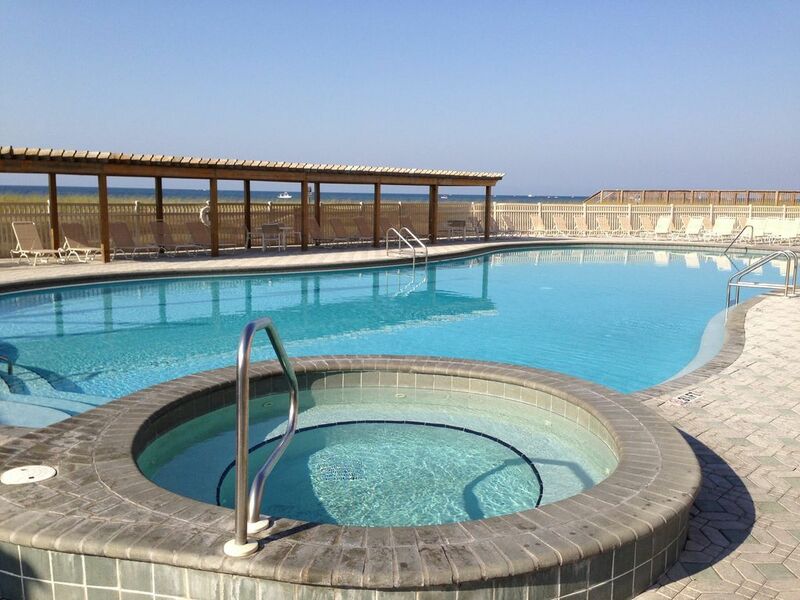 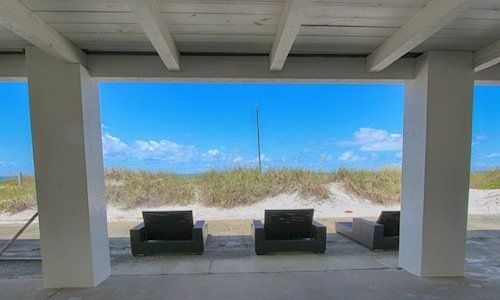 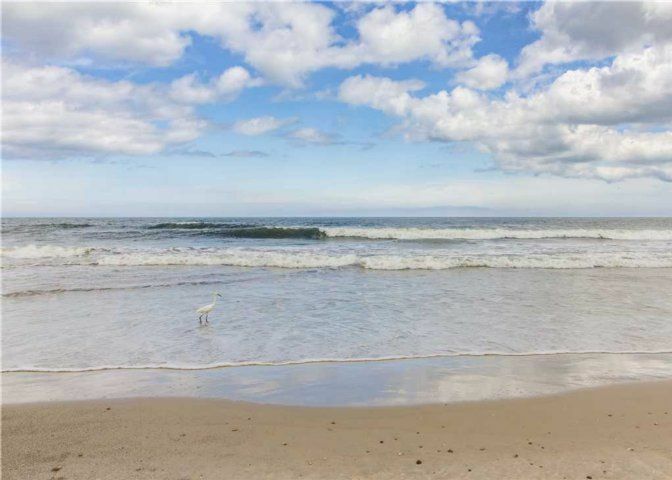 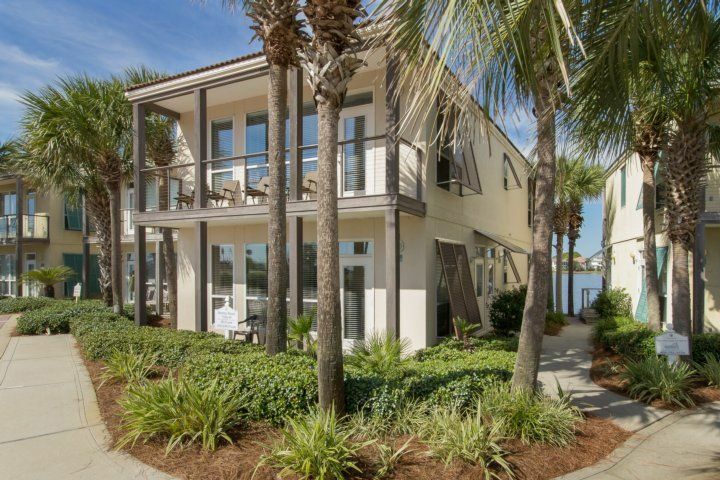 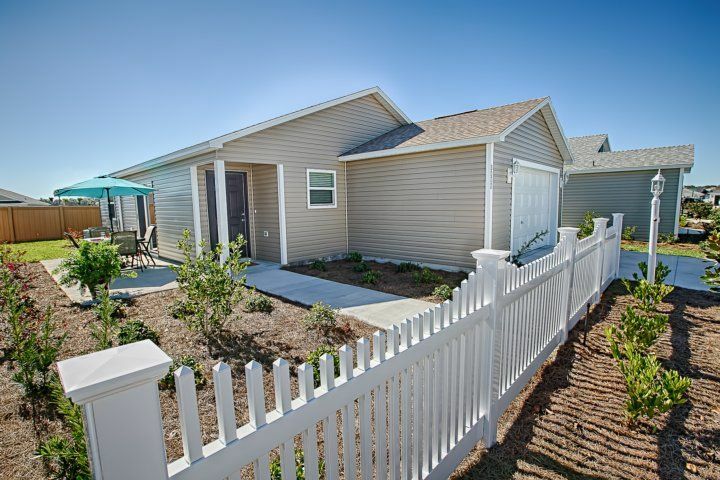 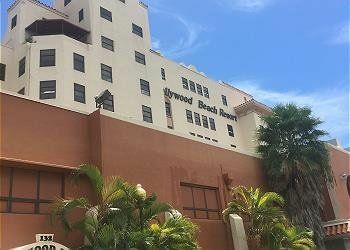 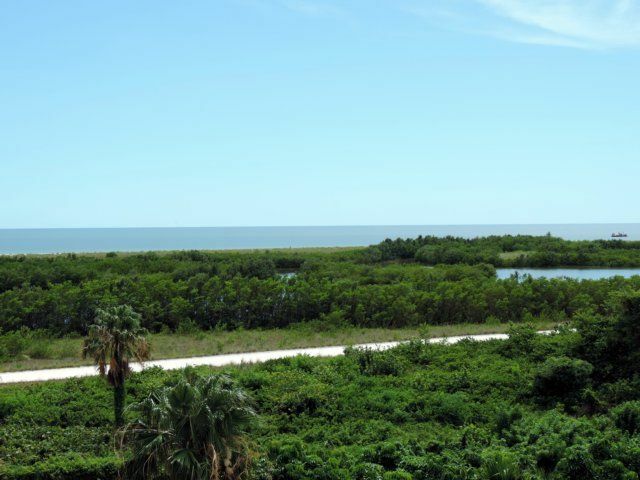 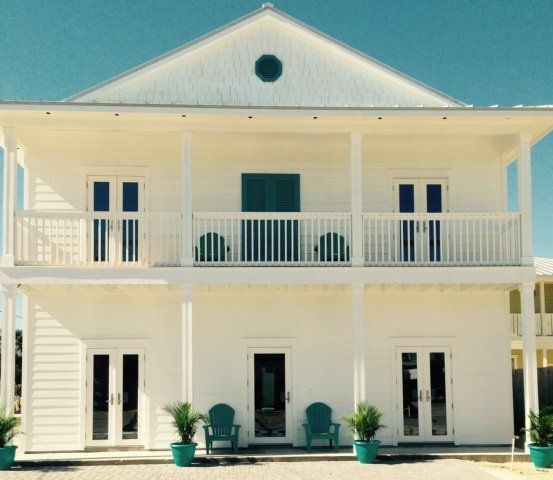 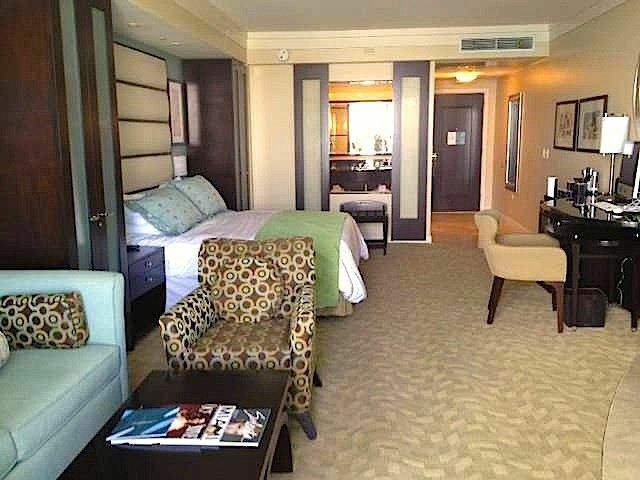 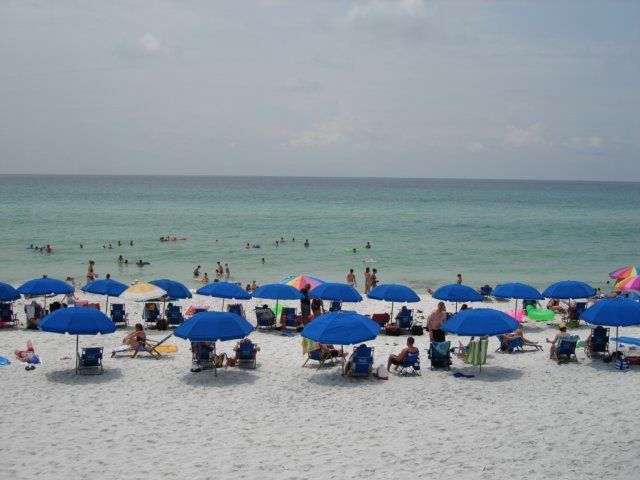 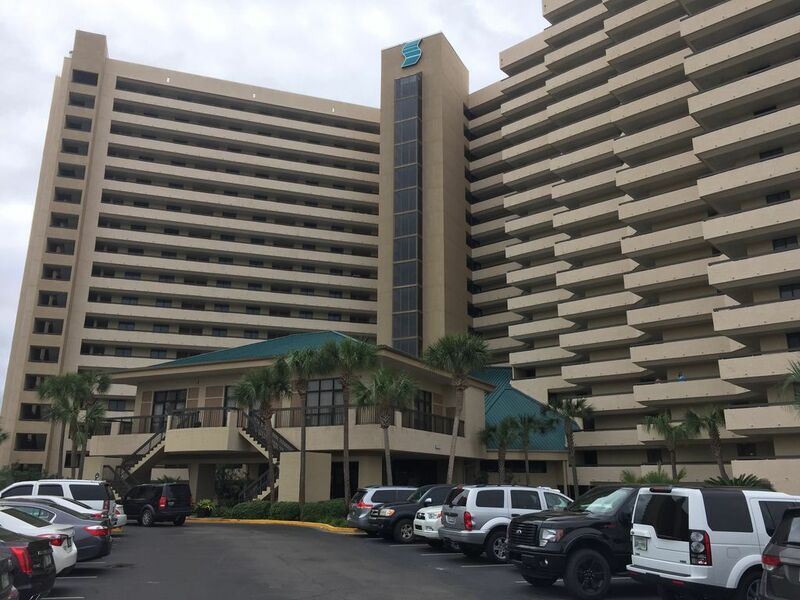 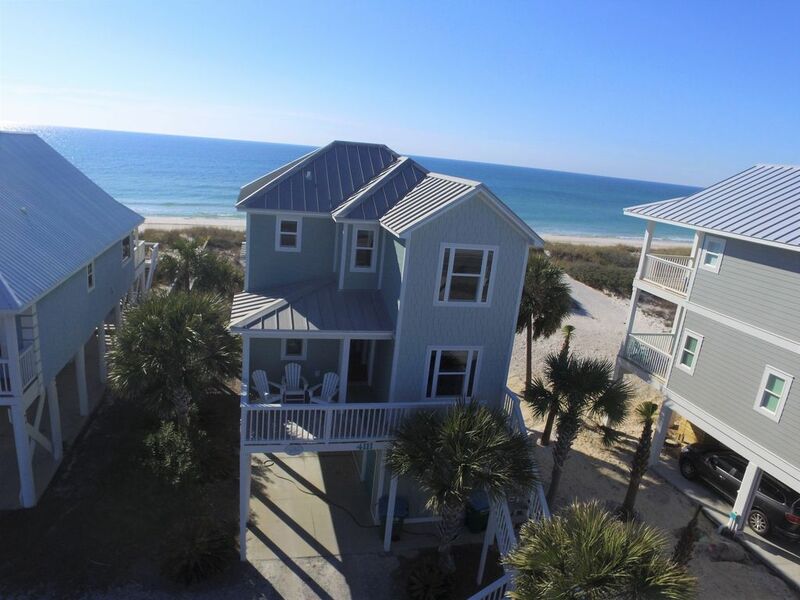 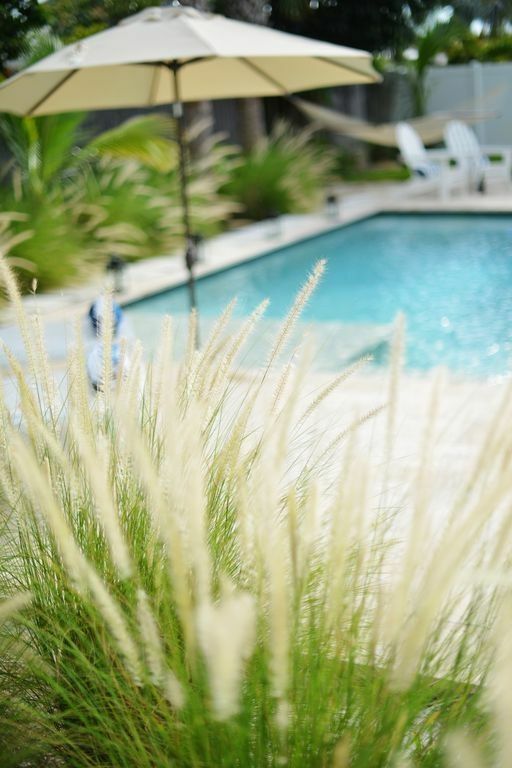 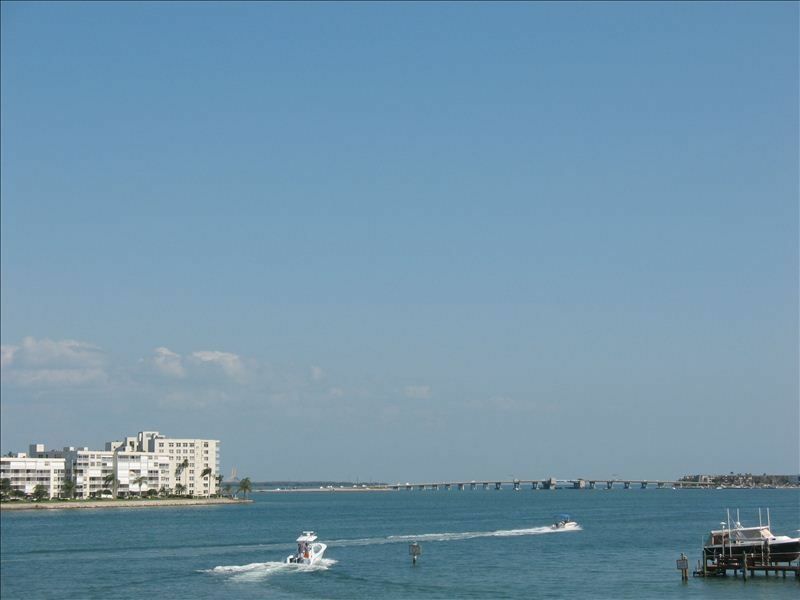 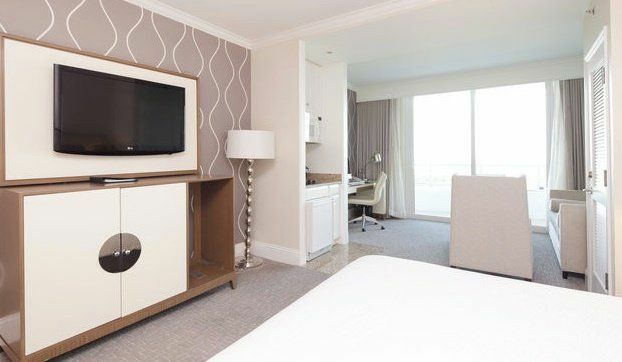 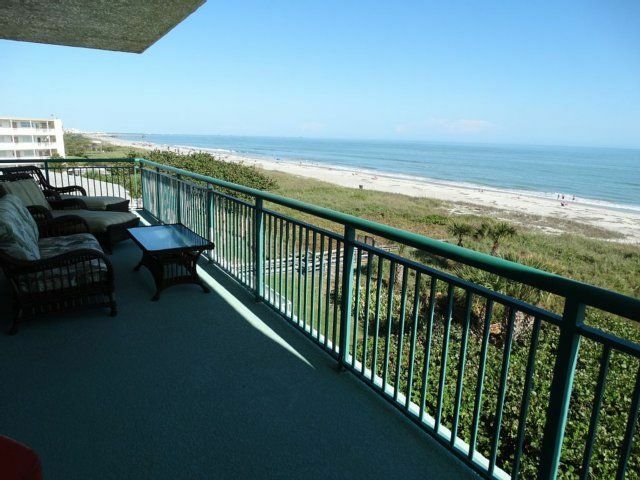 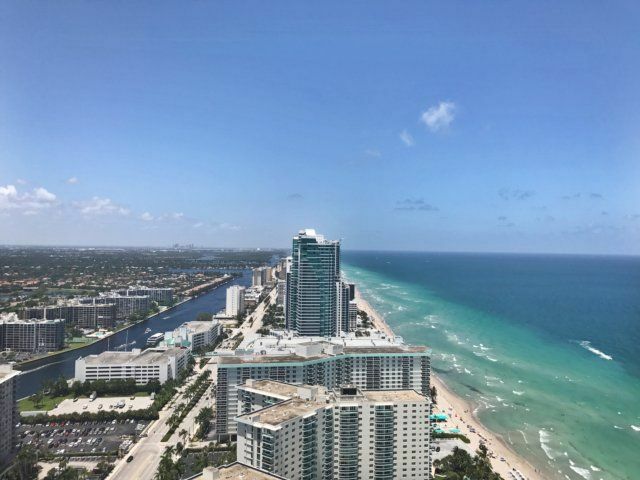 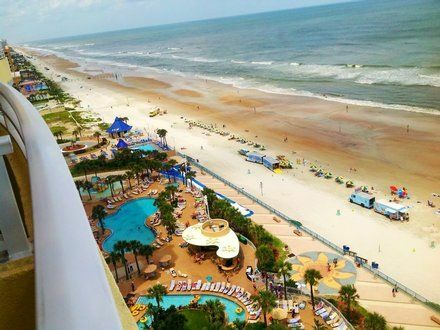 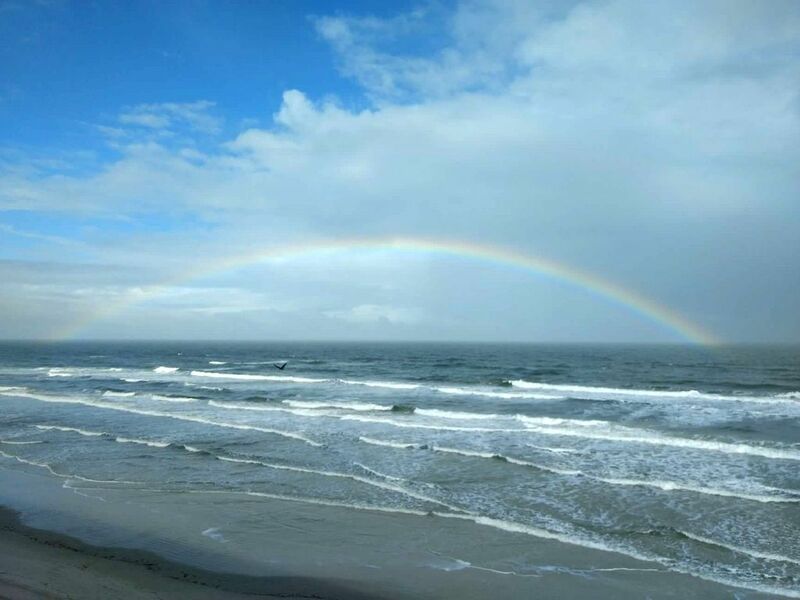 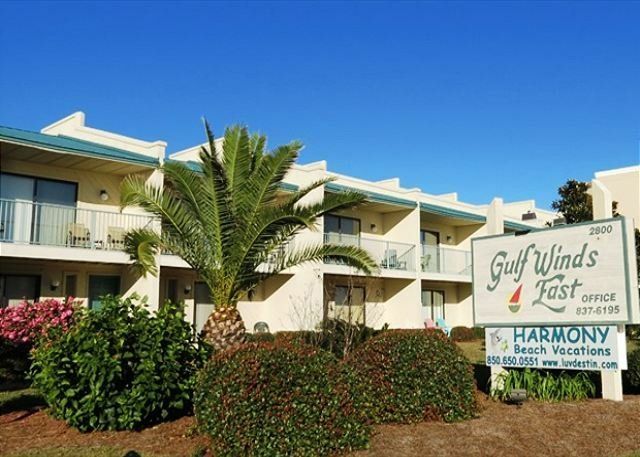 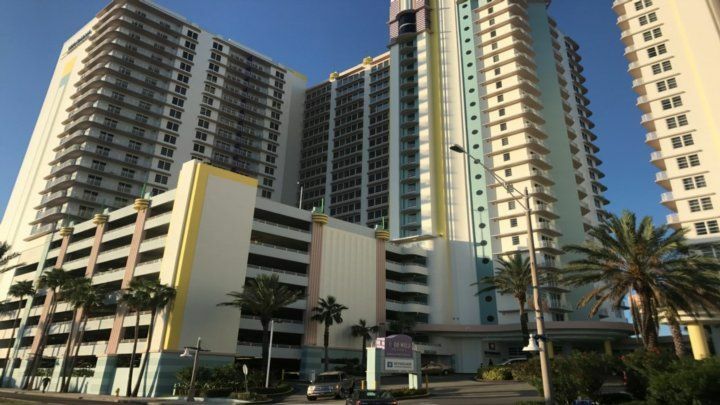 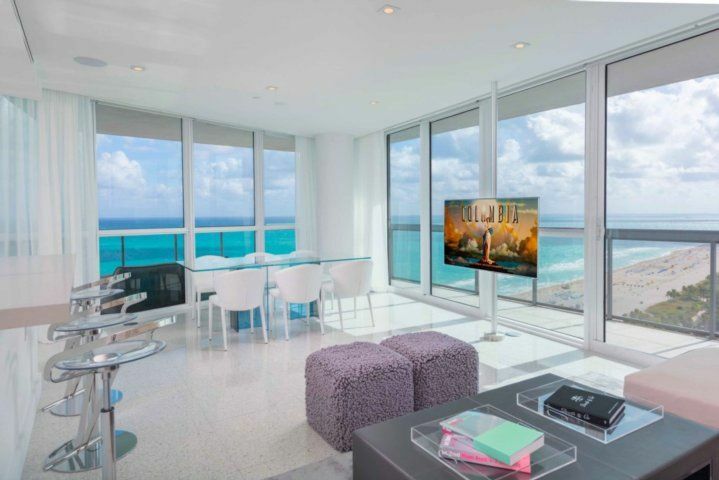 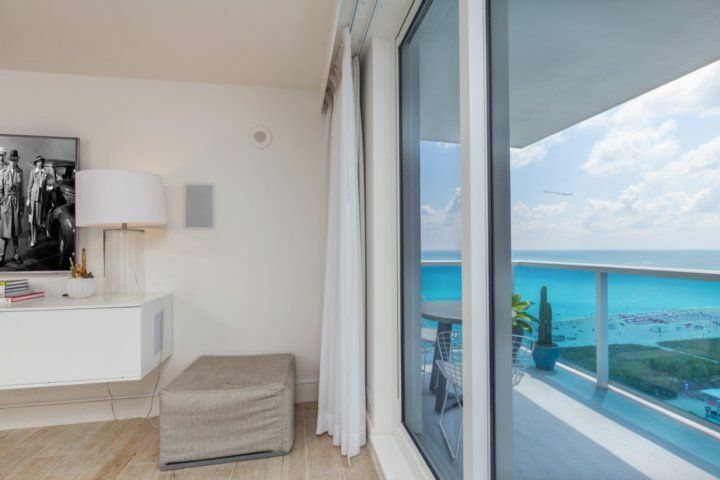 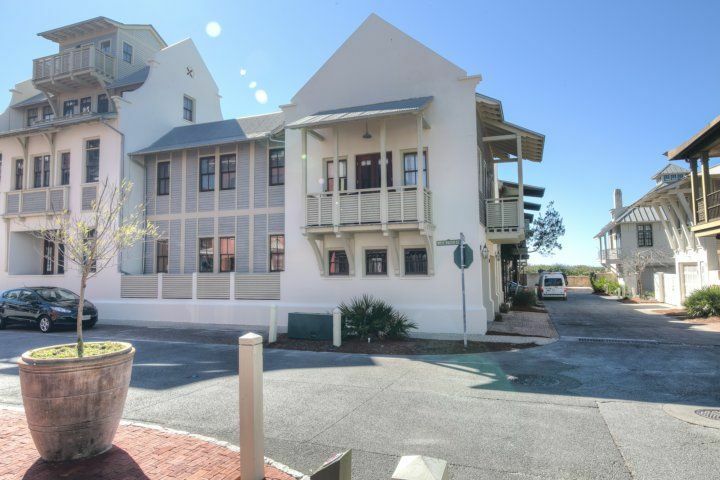 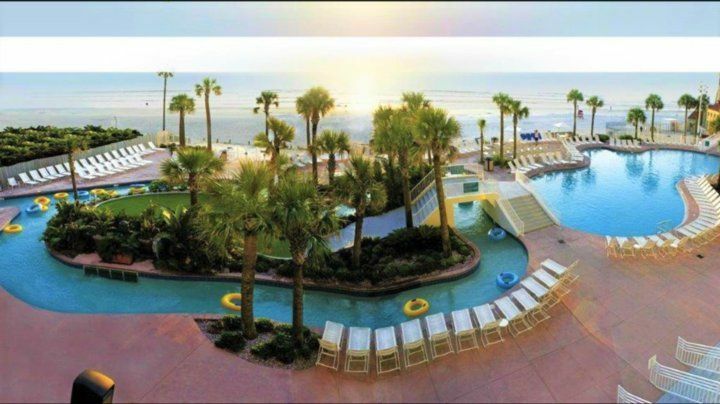 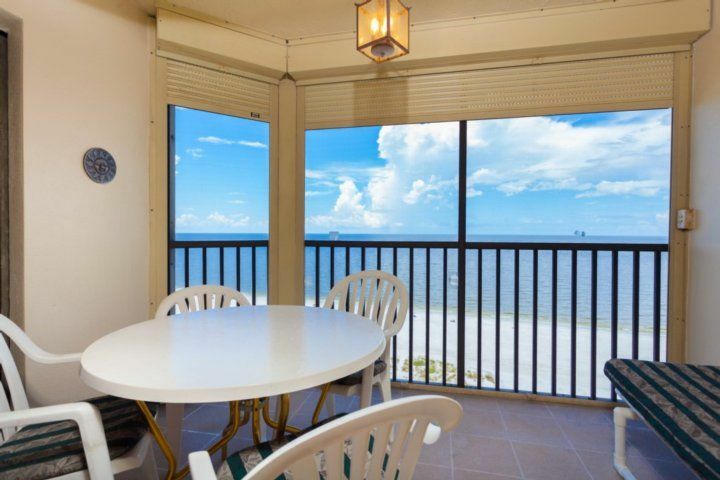 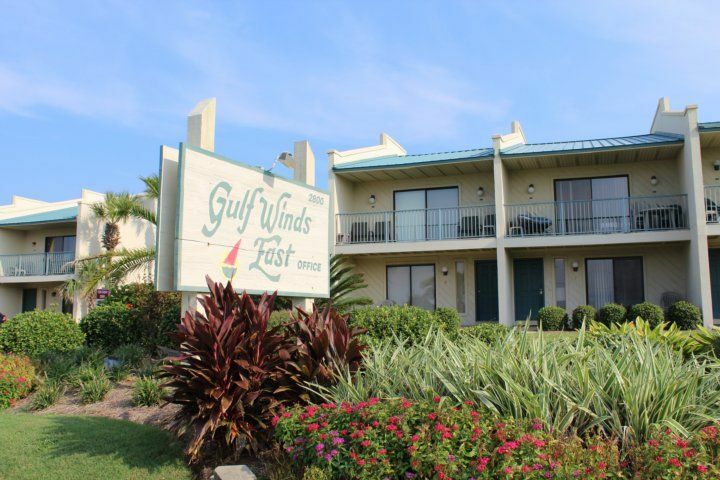 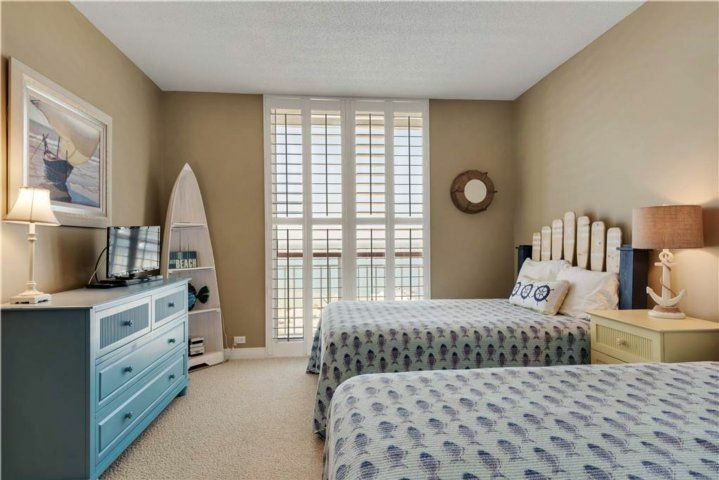 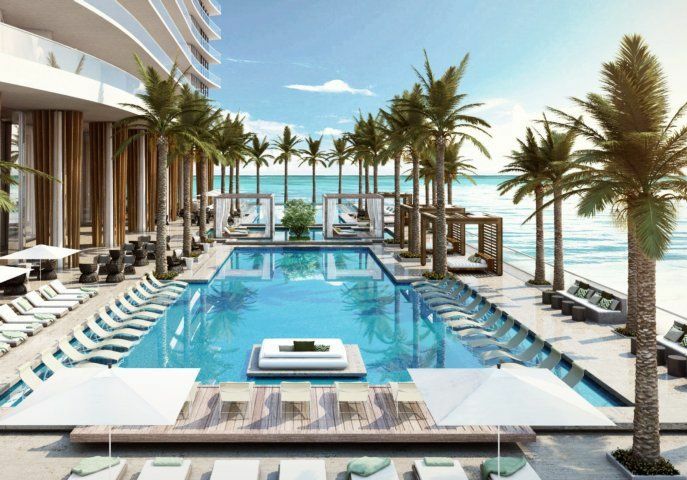 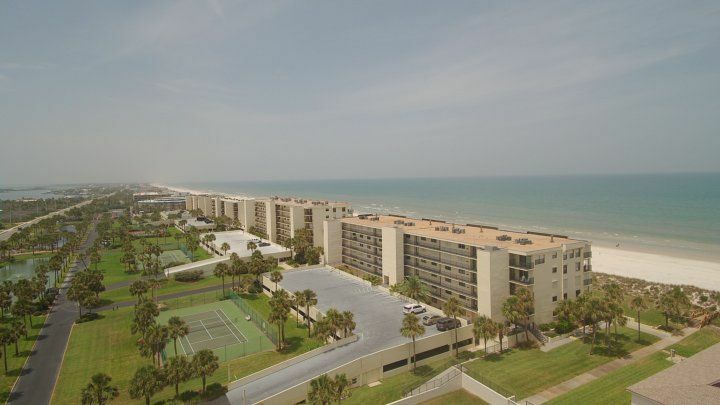 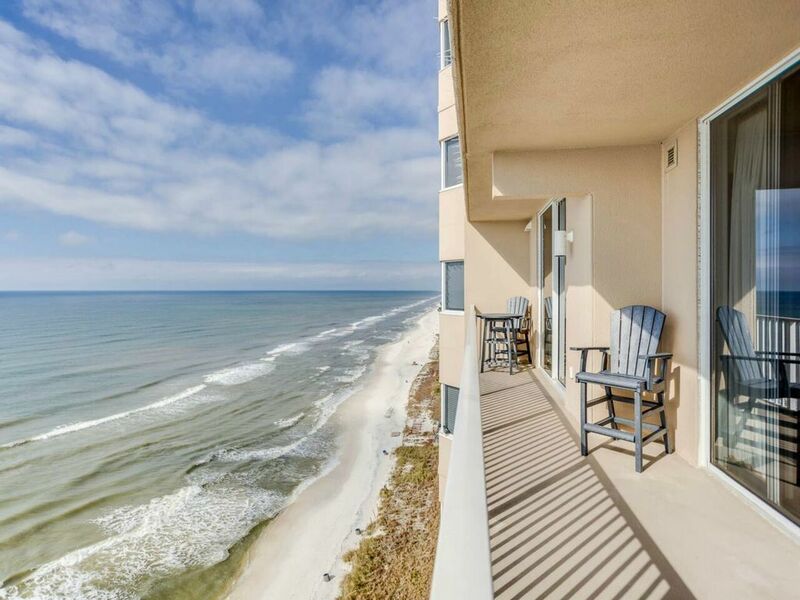 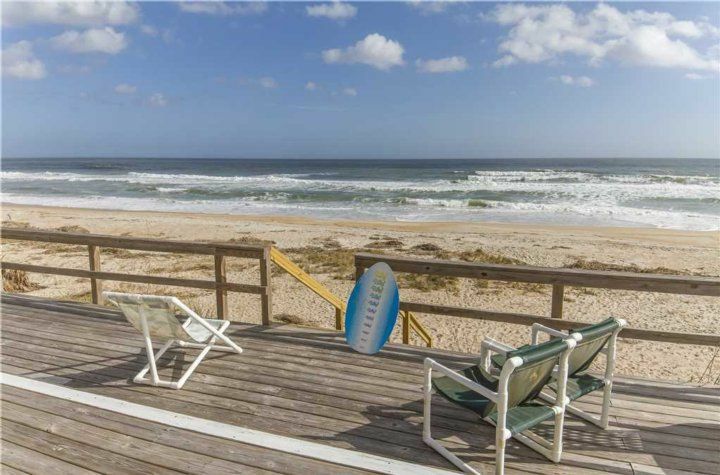 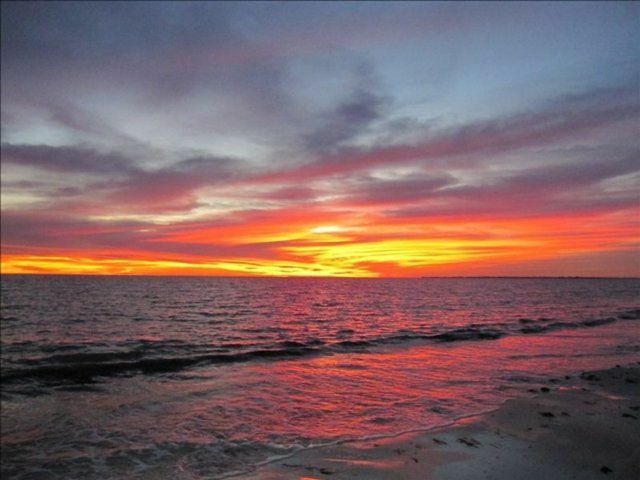 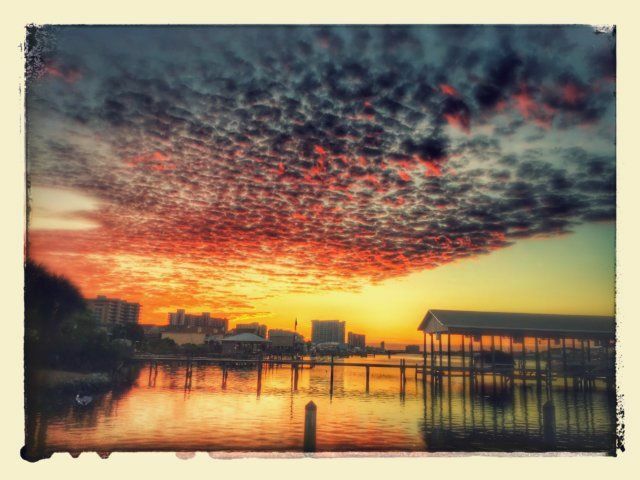 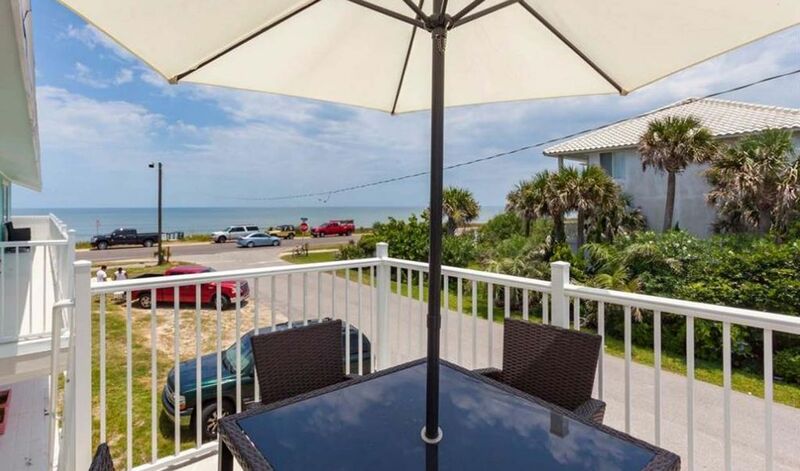 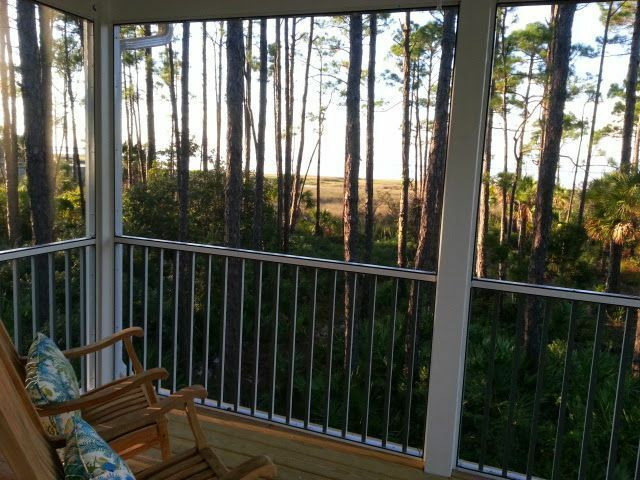 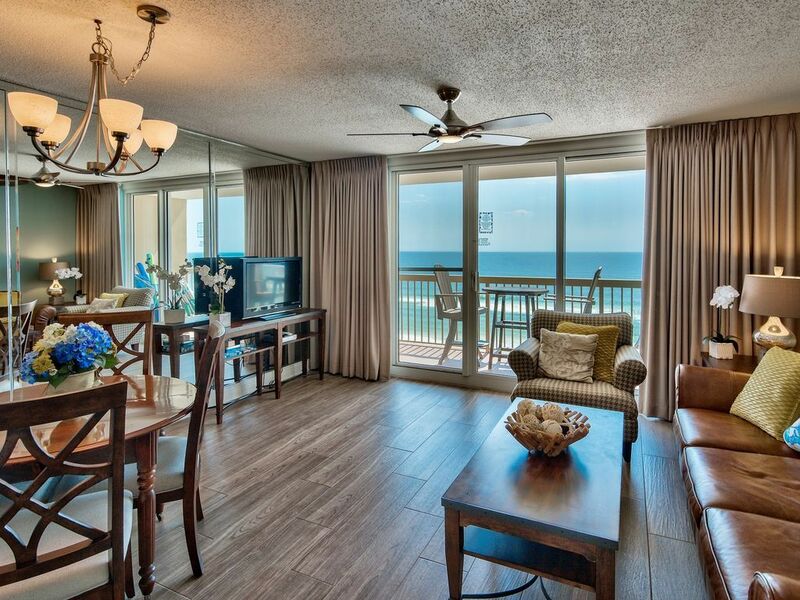 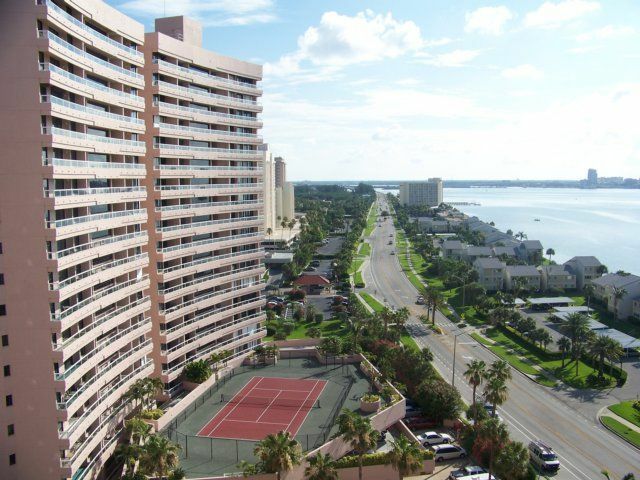 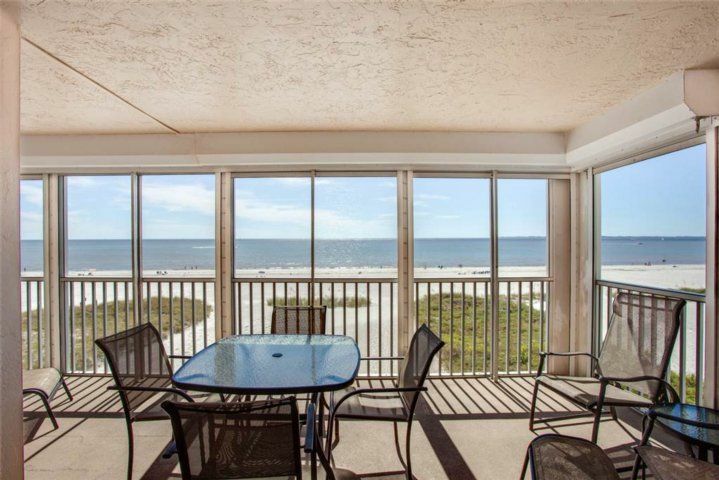 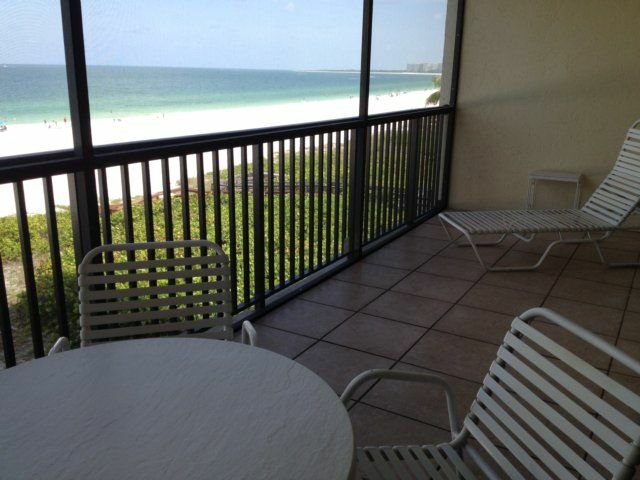 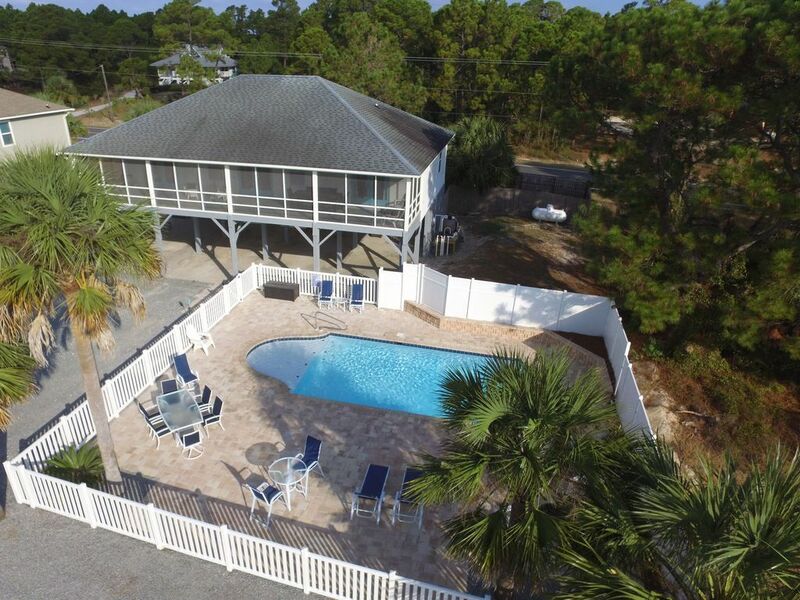 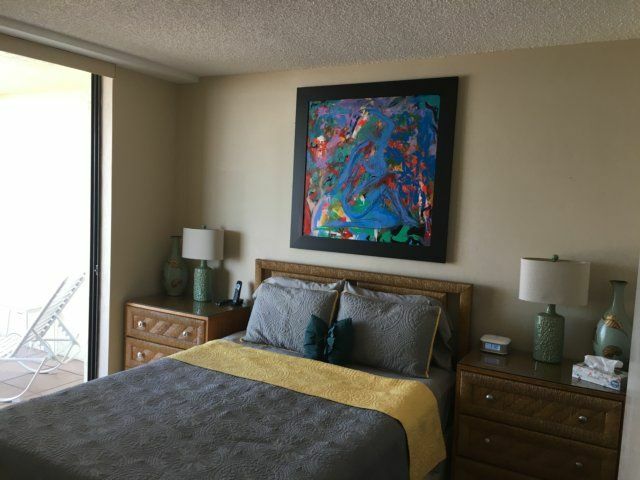 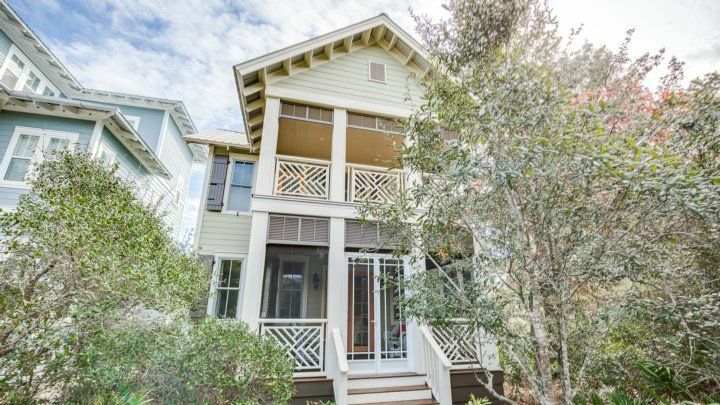 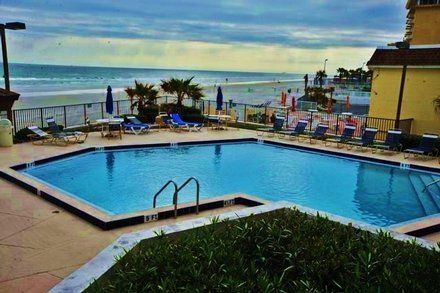 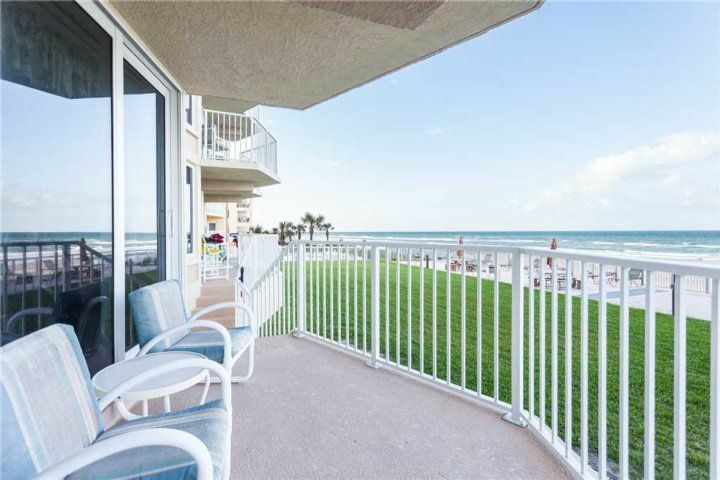 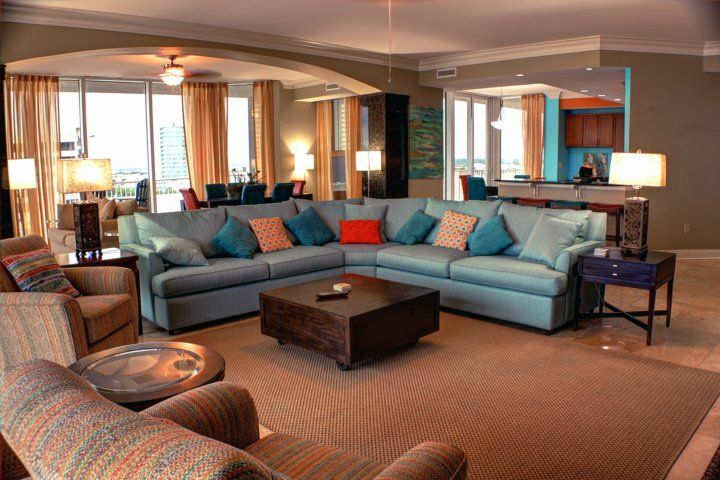 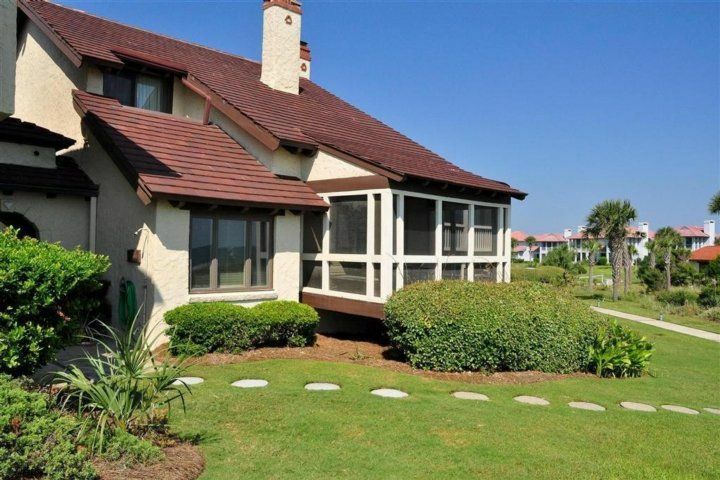 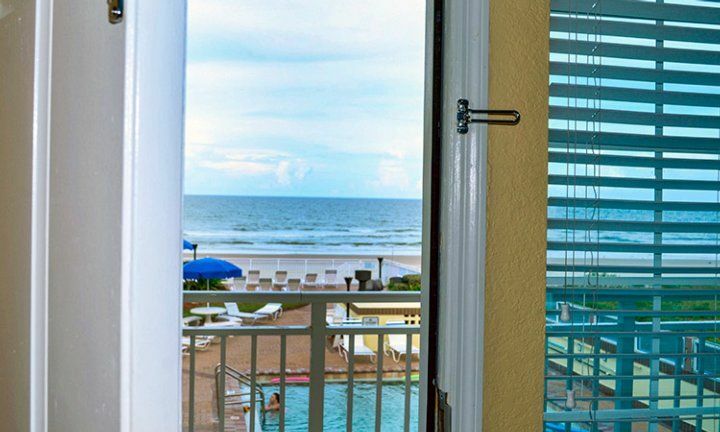 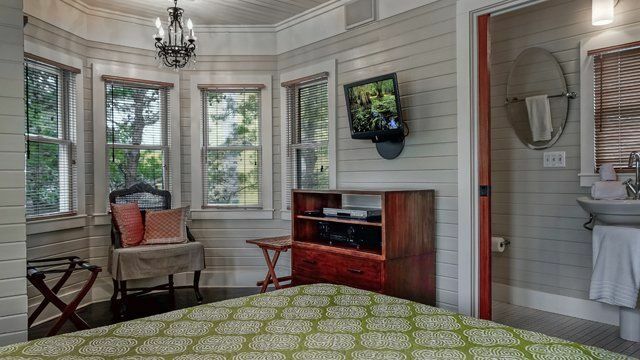 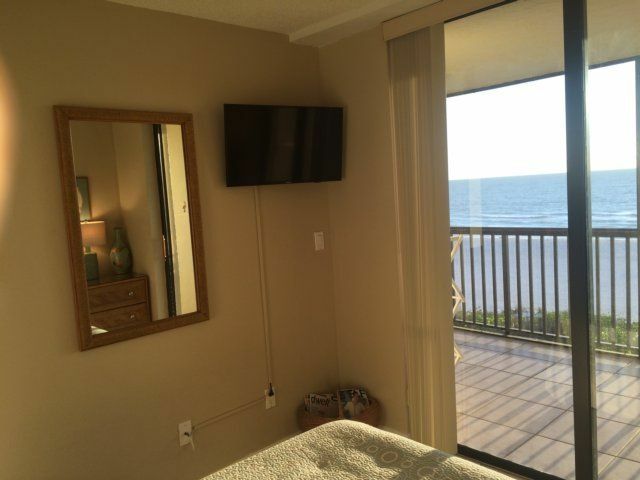 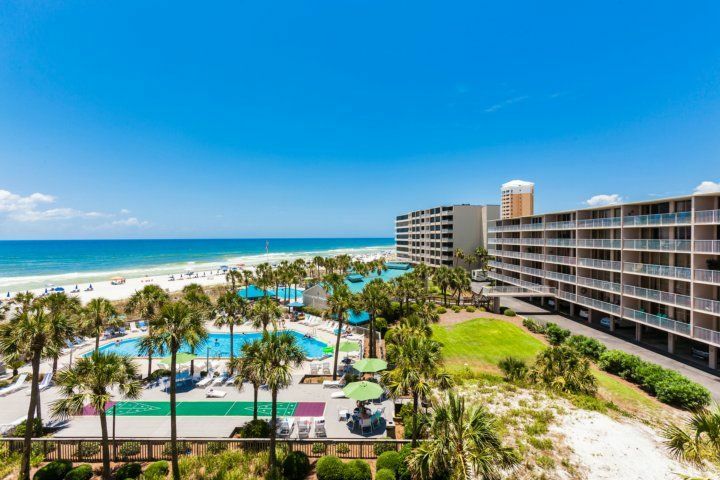 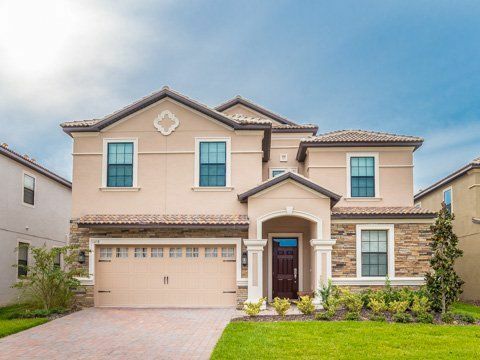 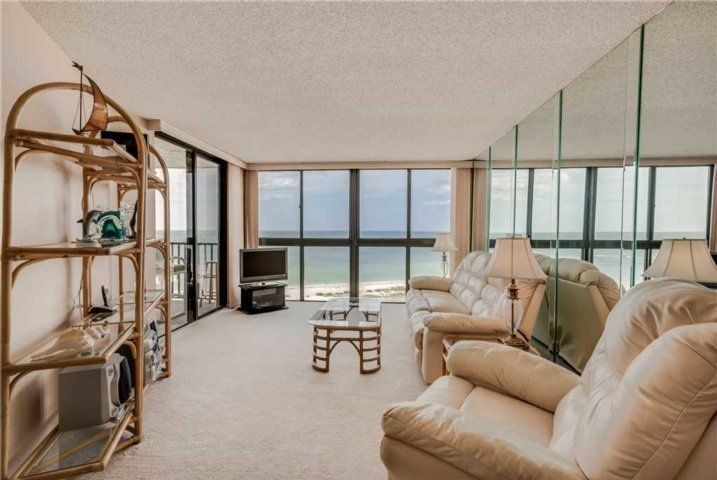 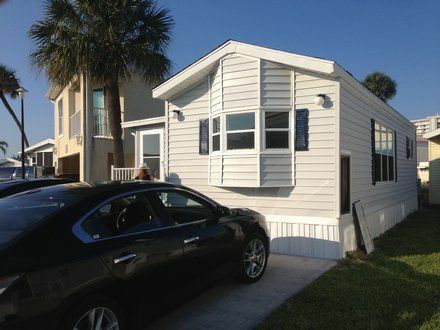 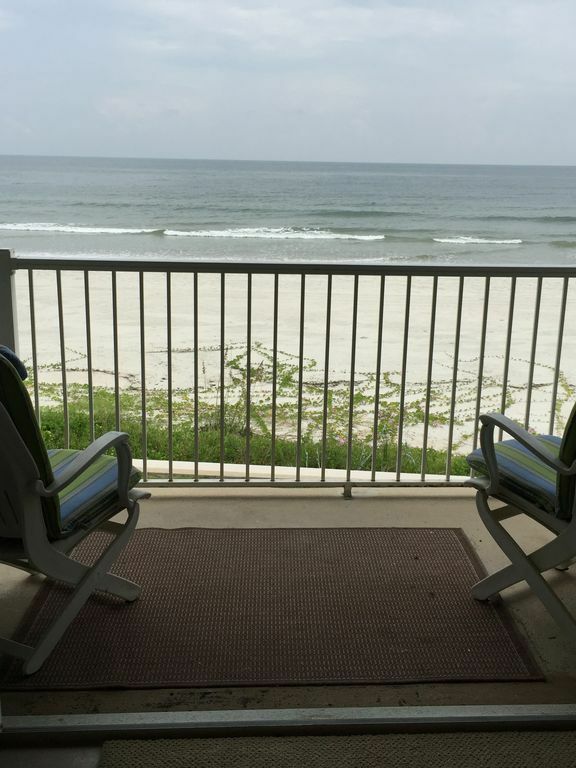 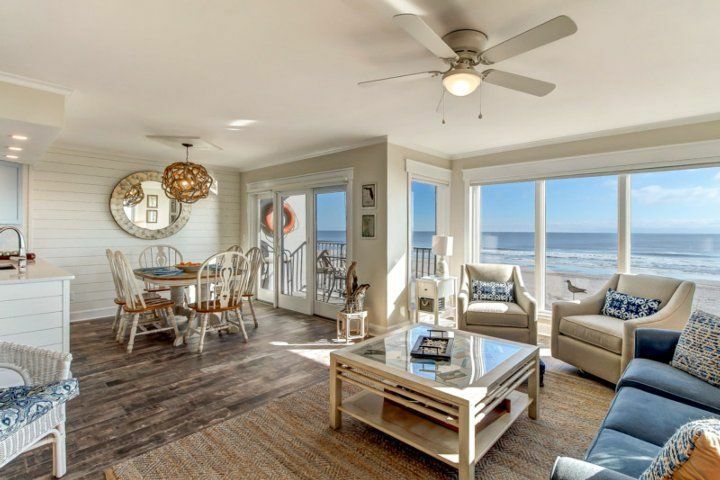 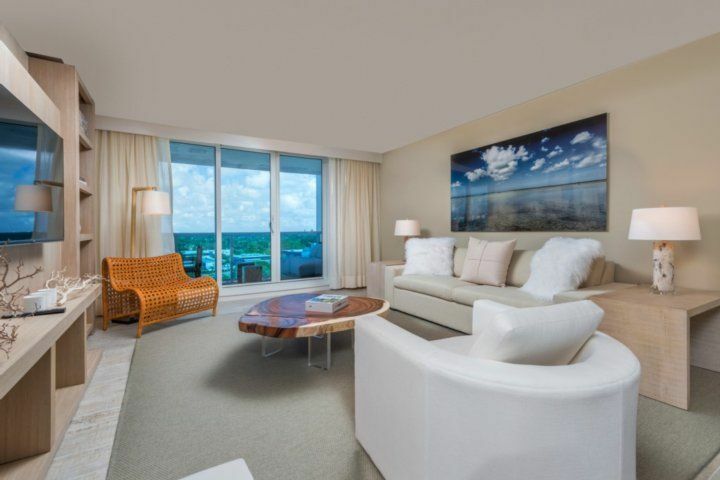 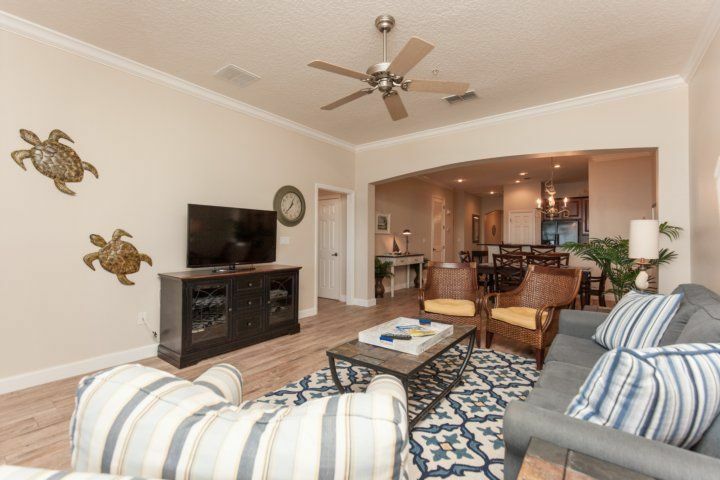 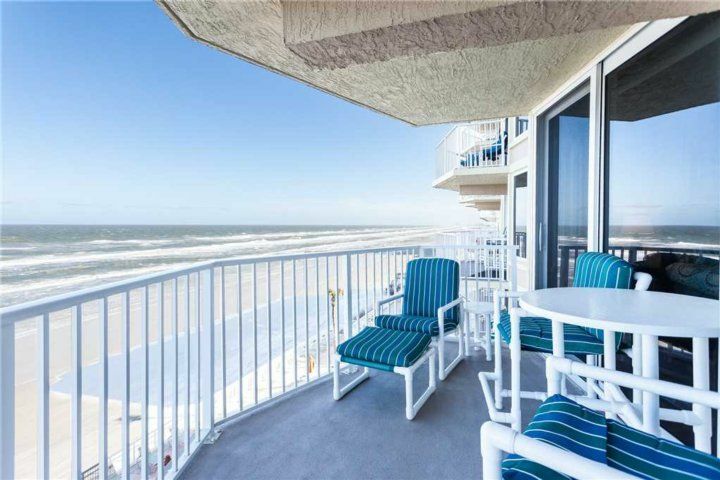 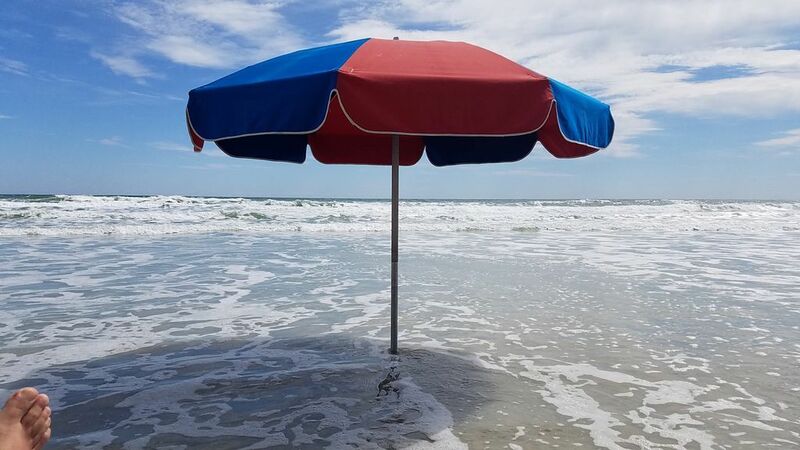 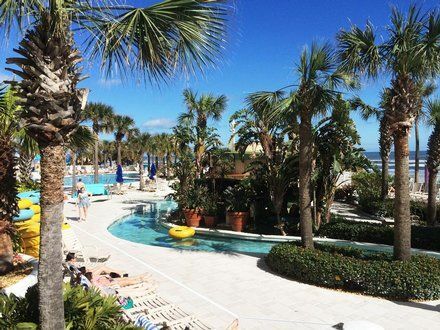 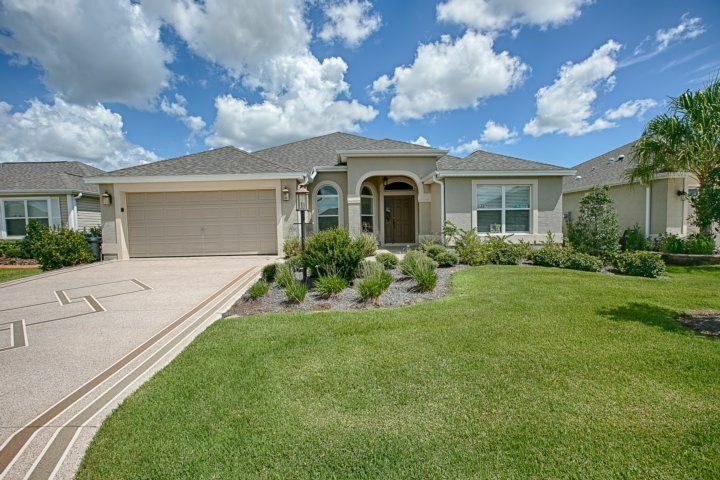 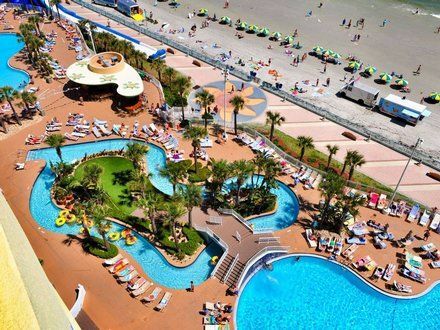 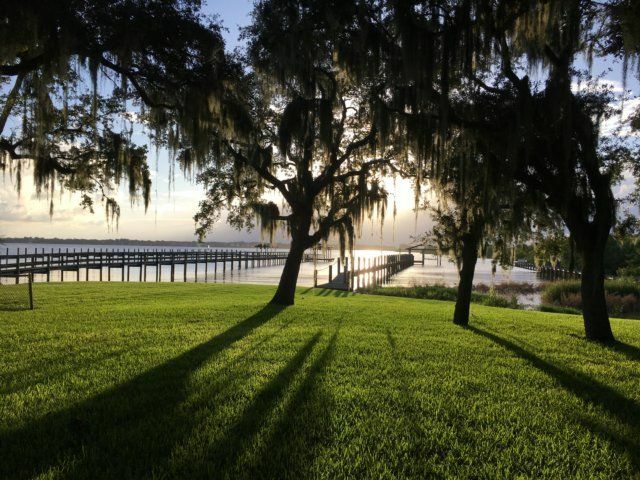 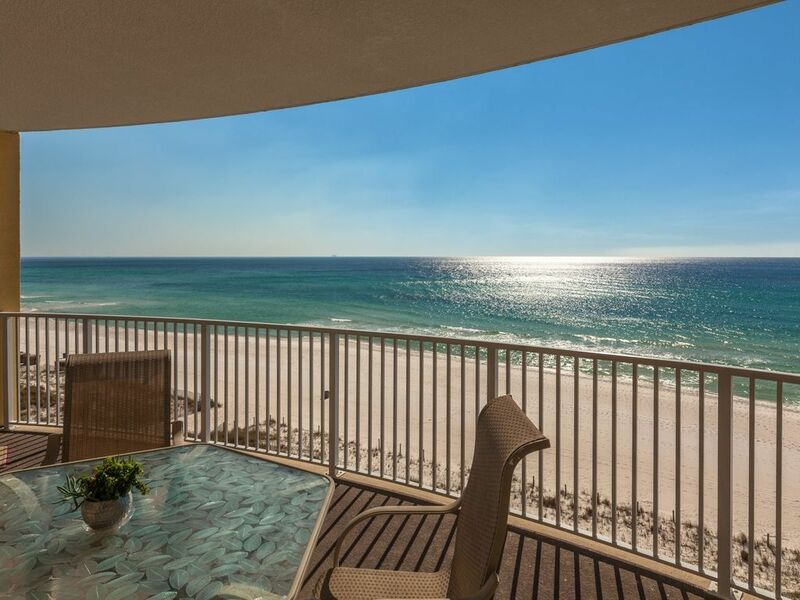 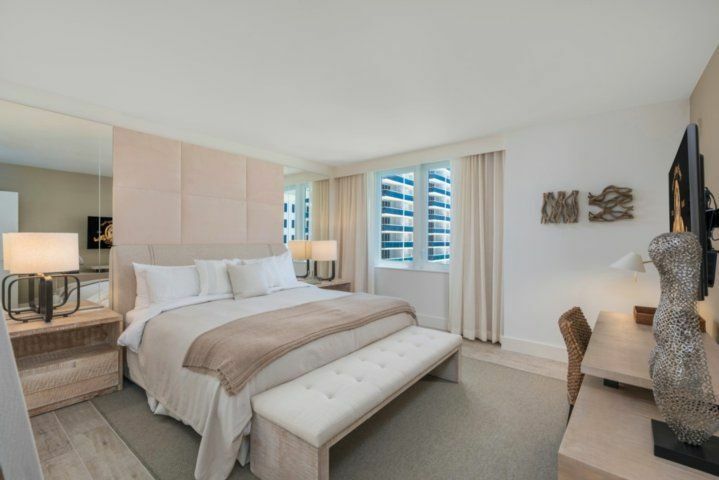 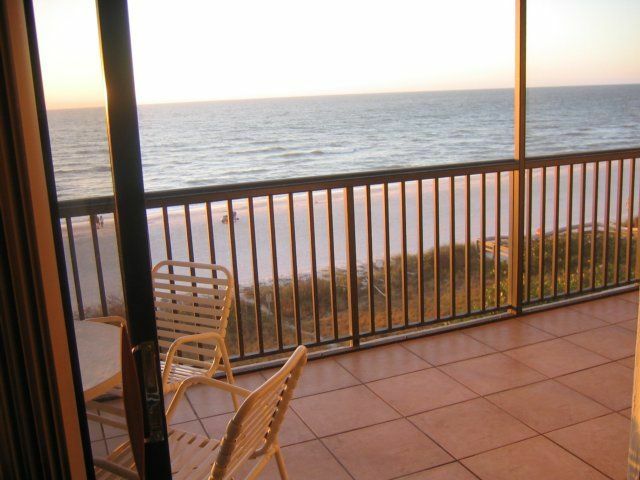 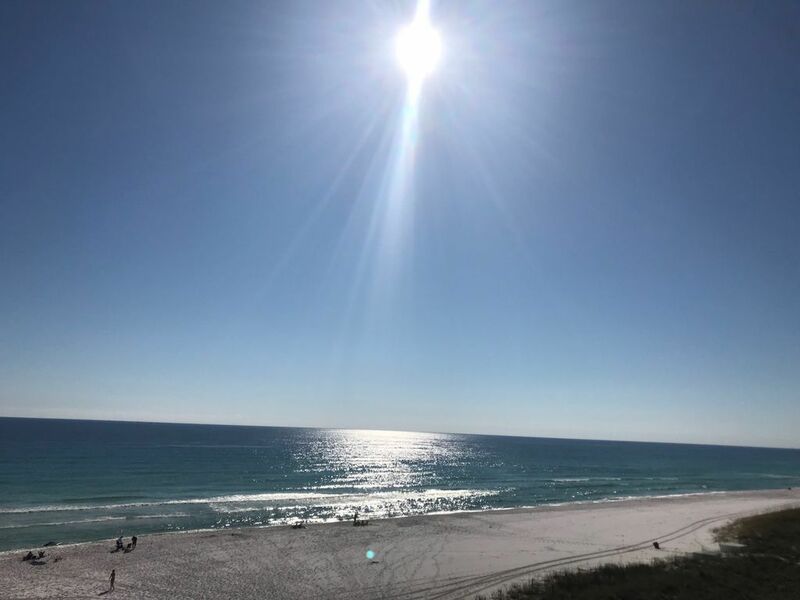 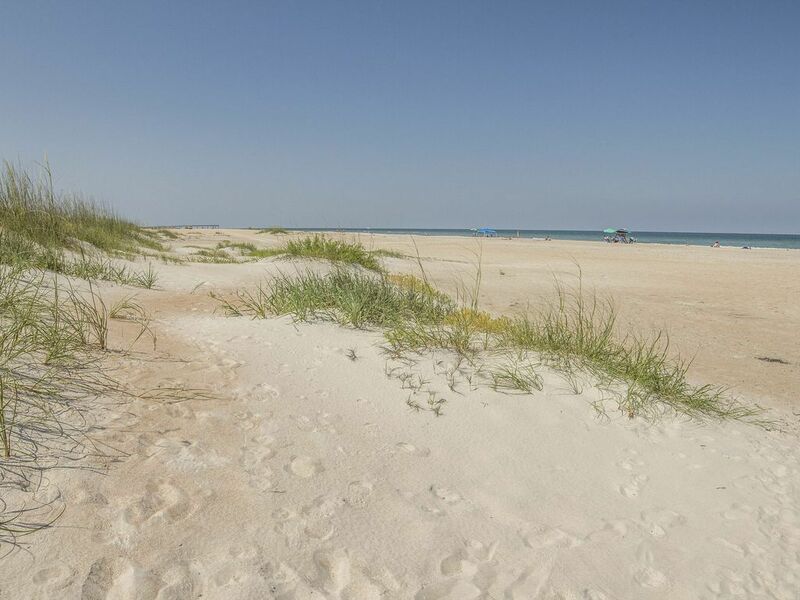 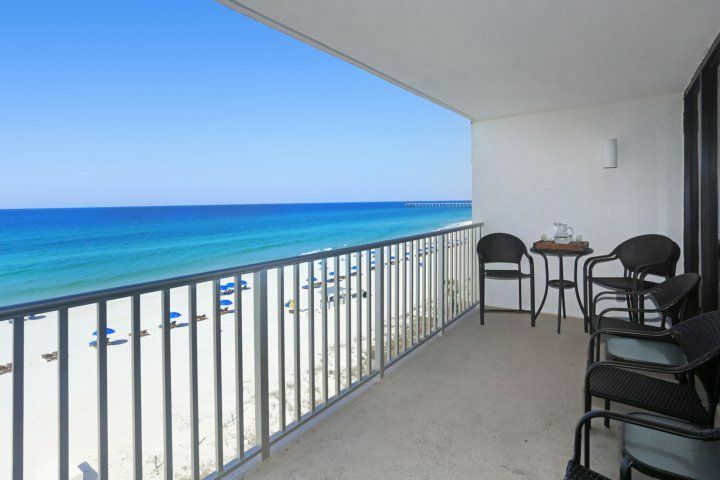 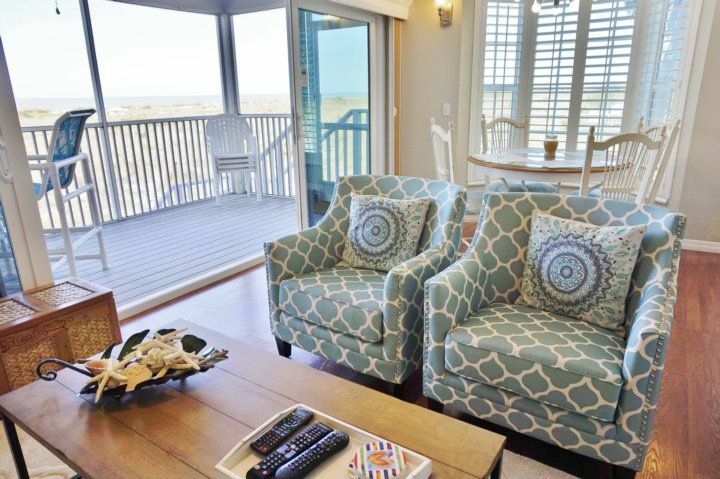 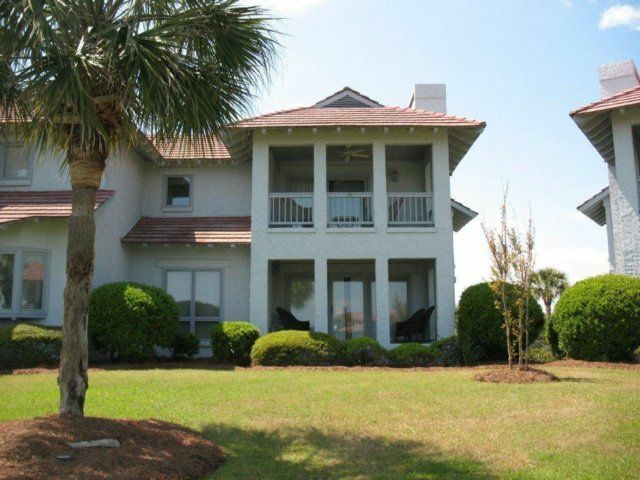 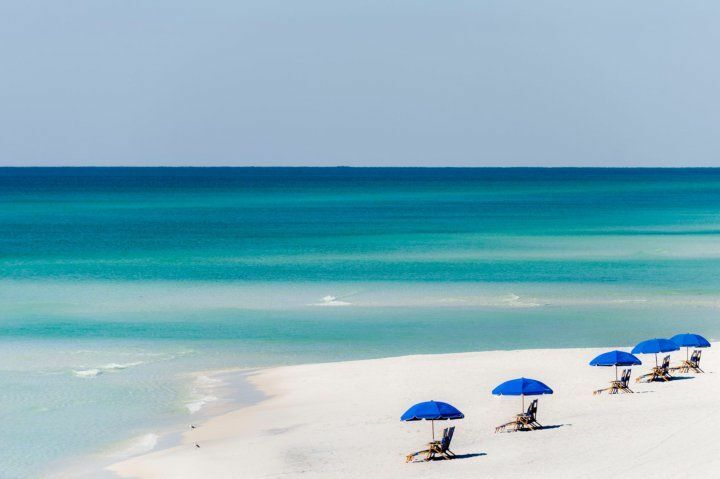 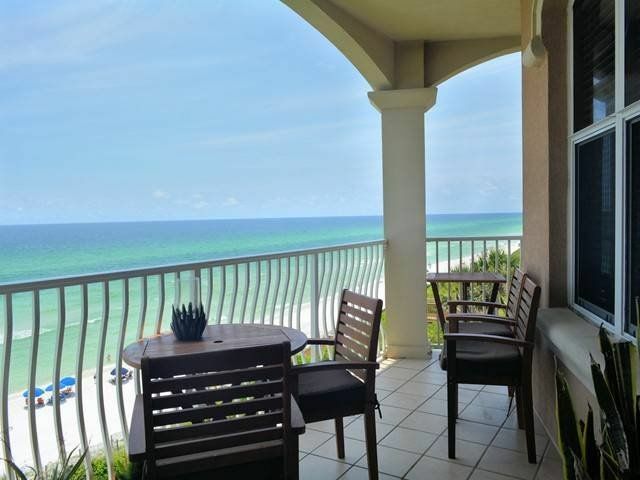 The unit is on the fourth floor of Sea Winds and offers breath-taking views of the Gulf of Mexico and unbelievable sunsets. 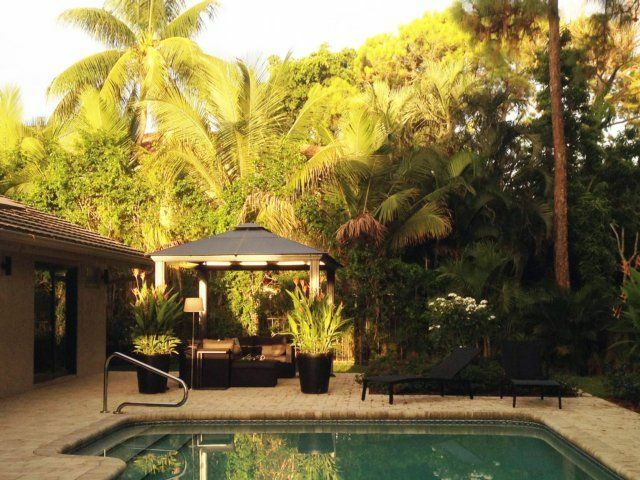 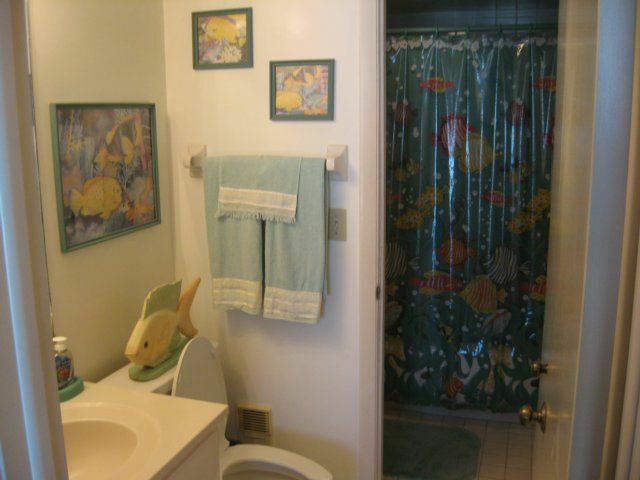 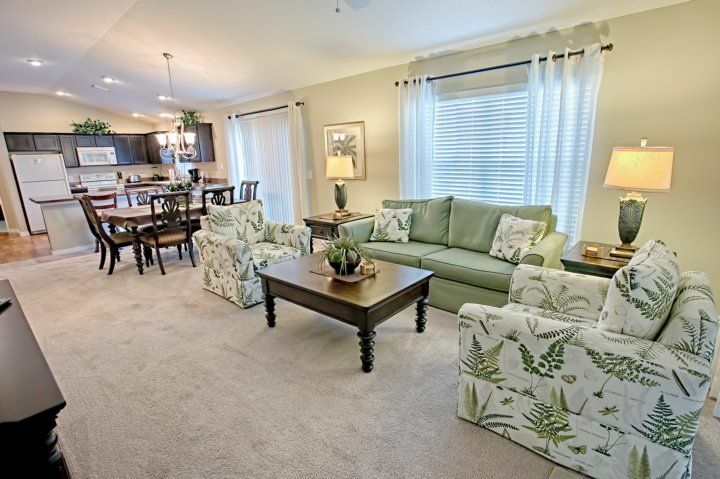 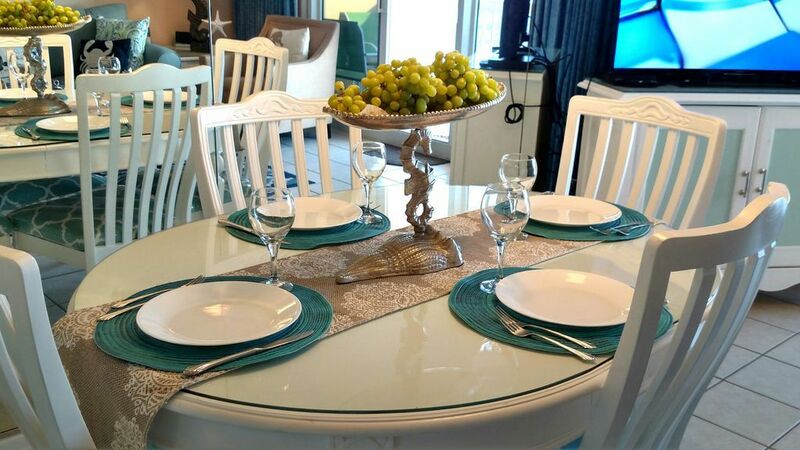 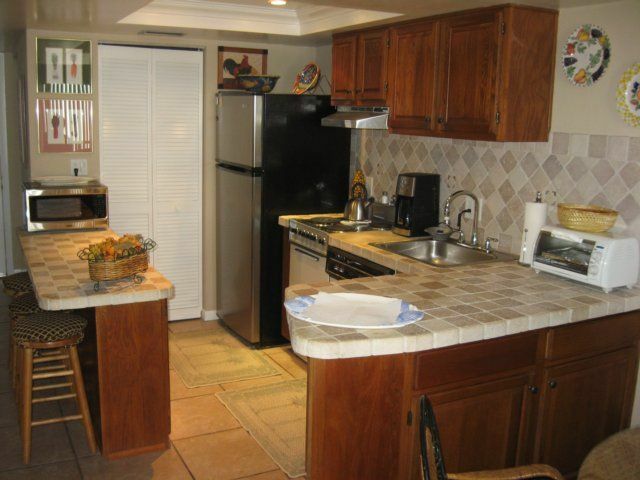 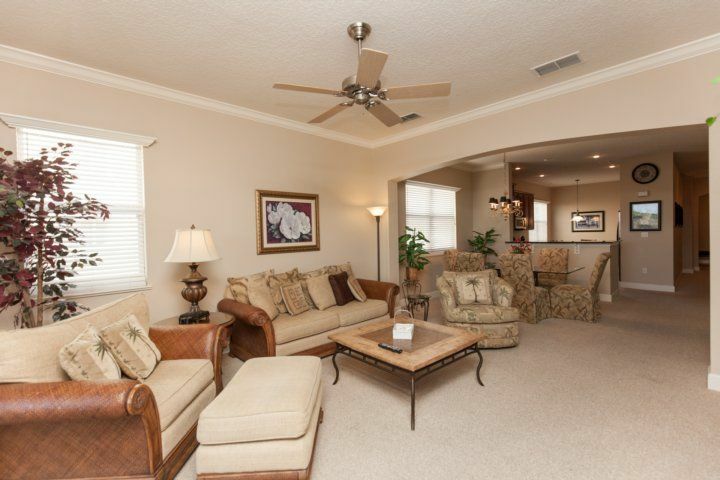 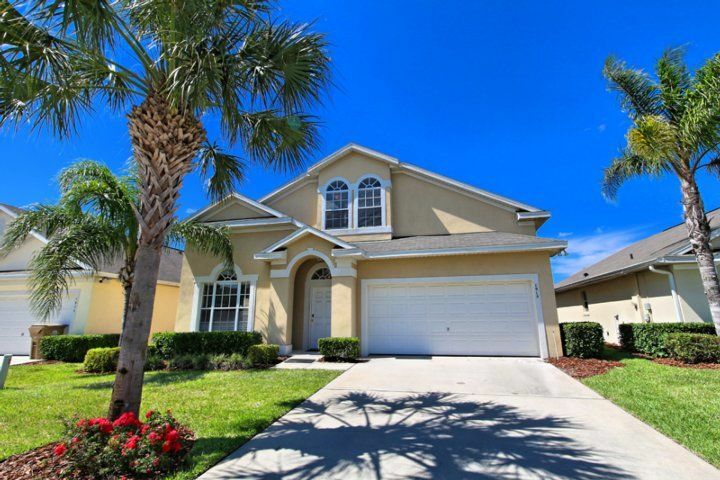 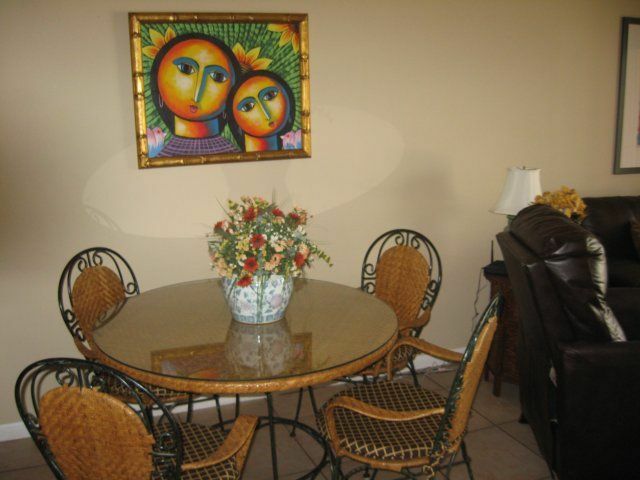 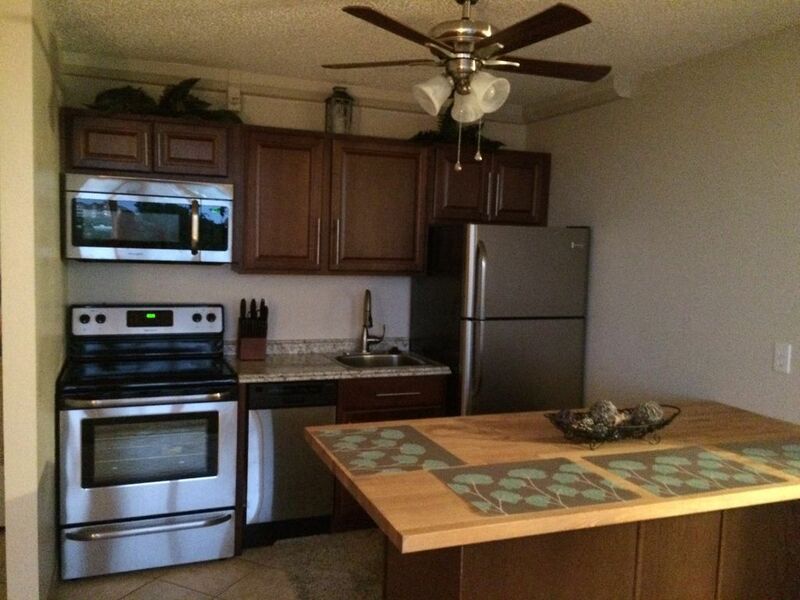 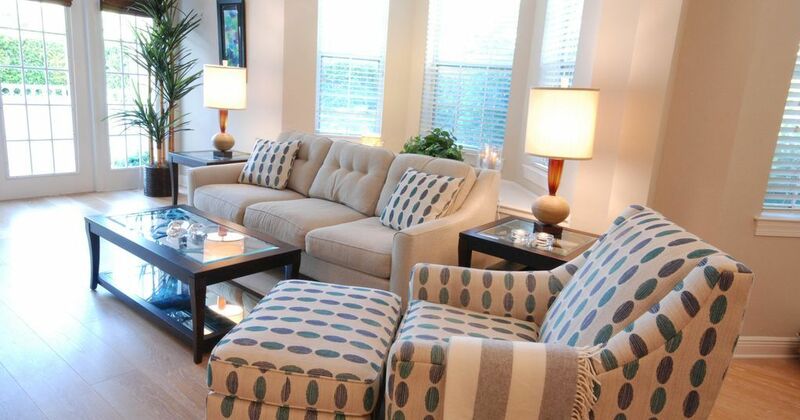 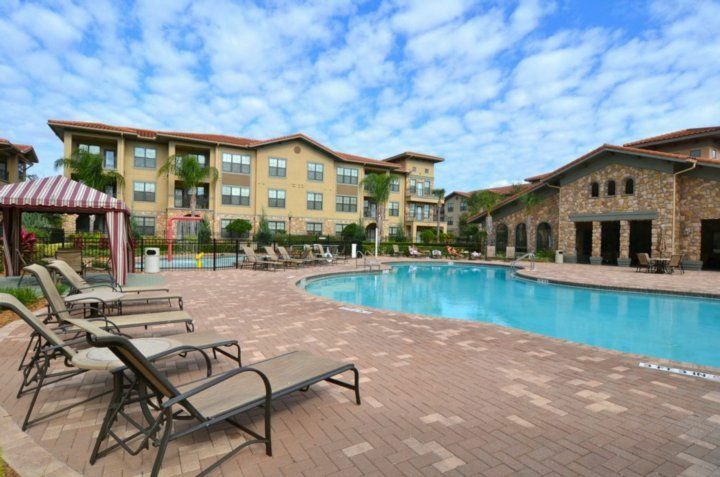 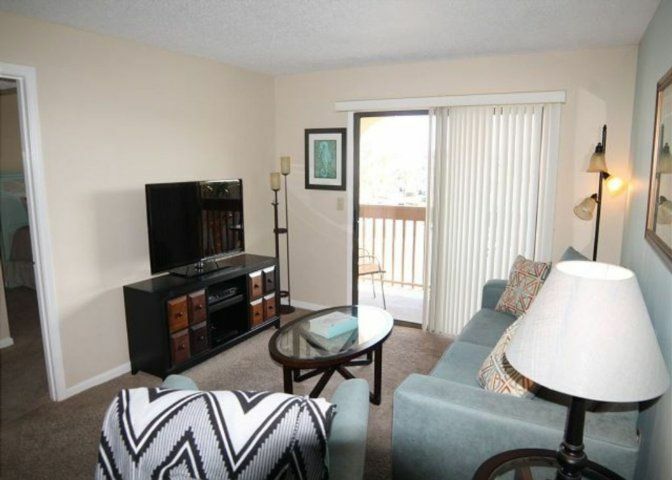 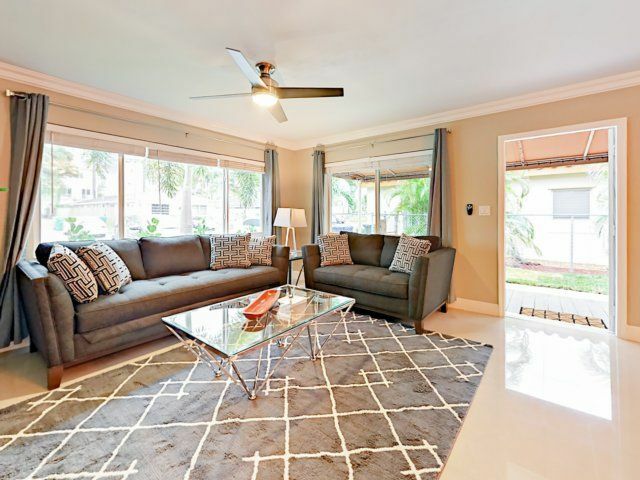 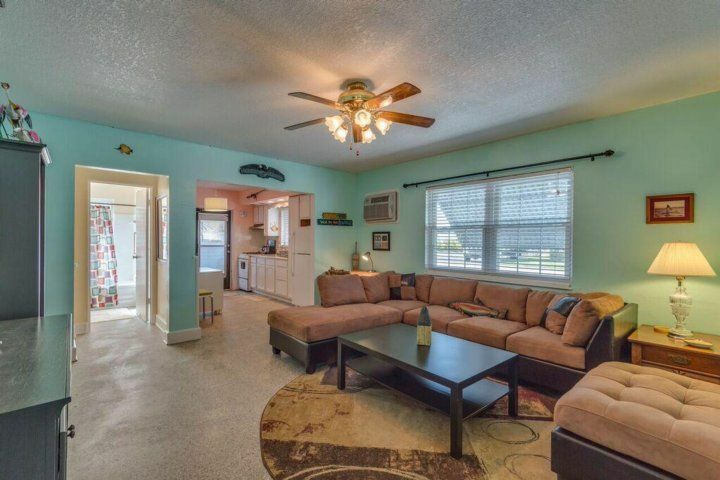 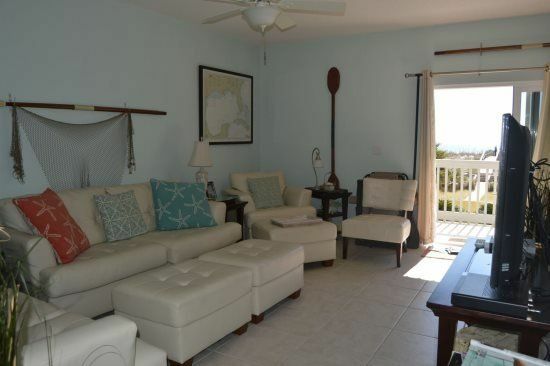 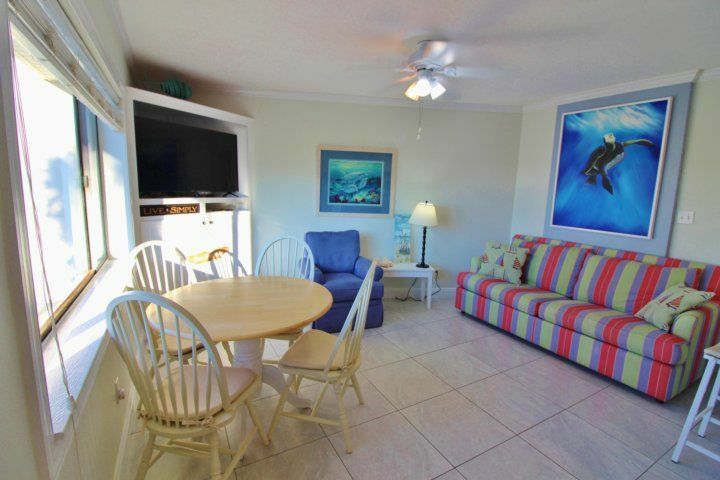 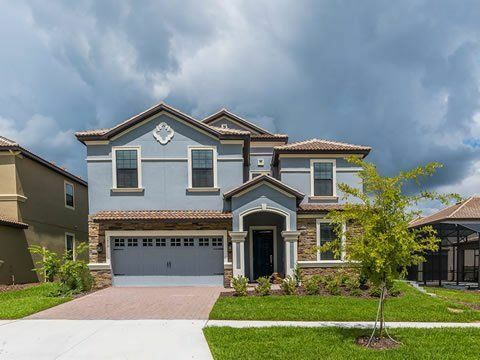 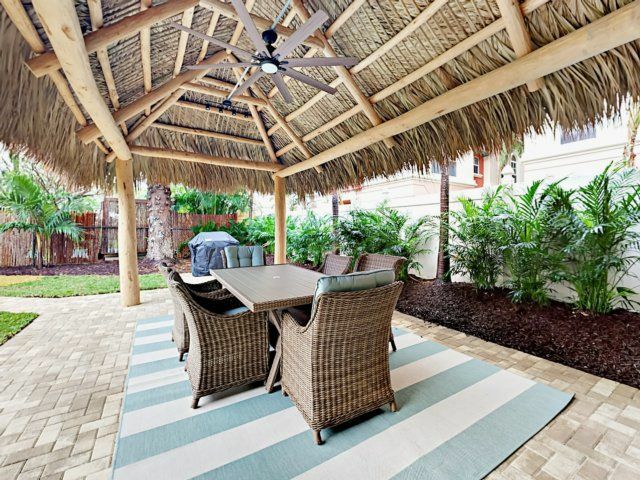 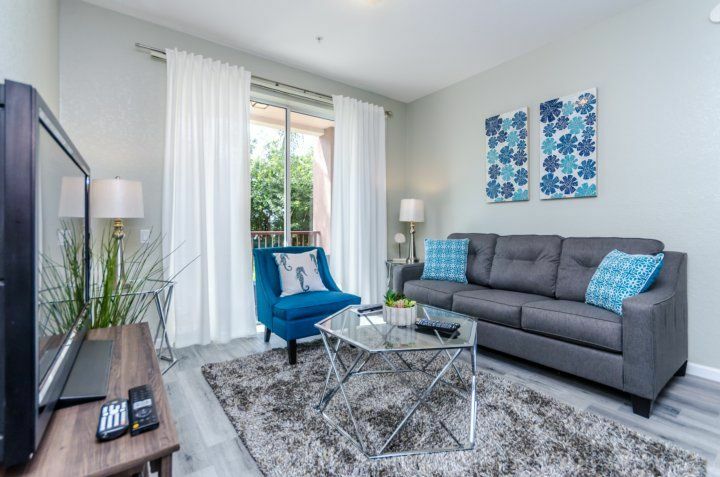 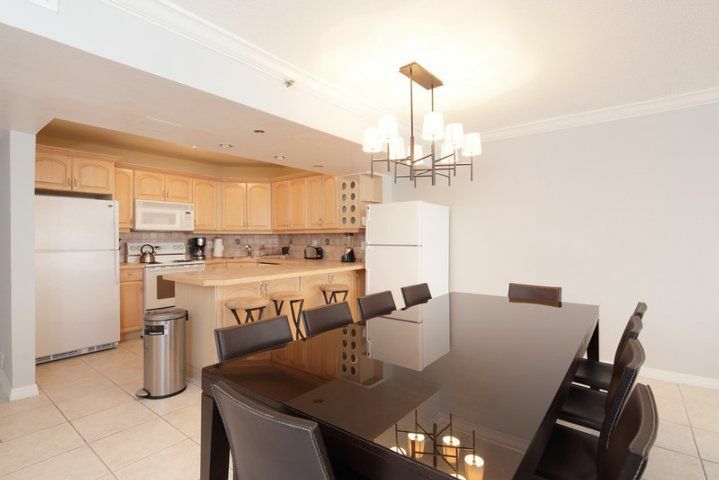 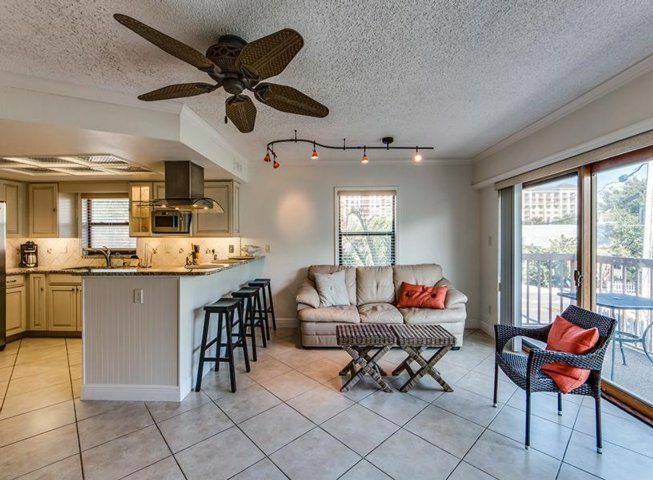 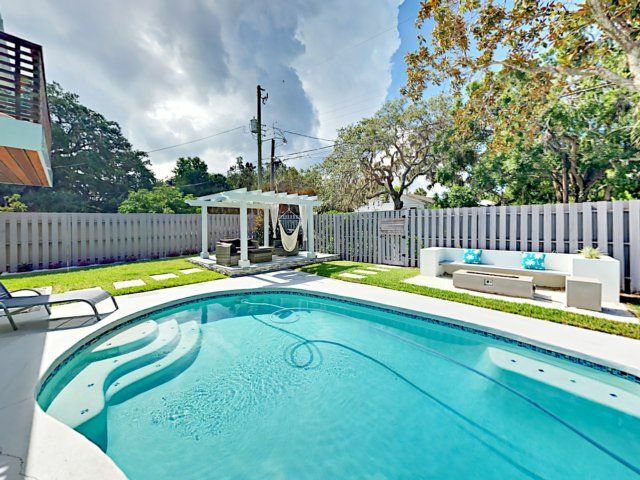 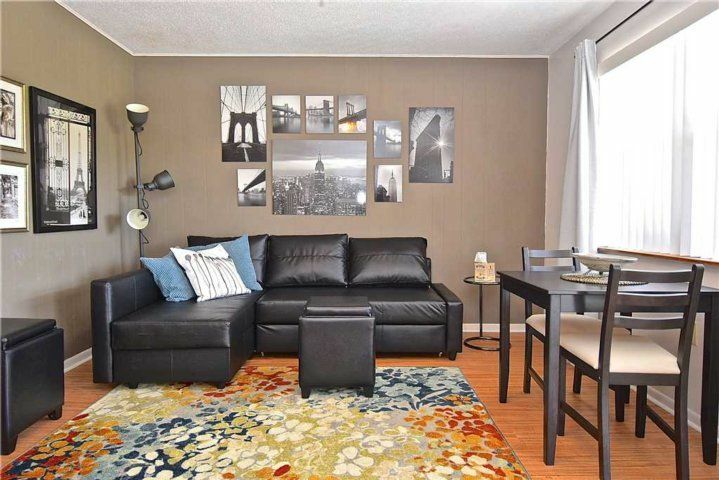 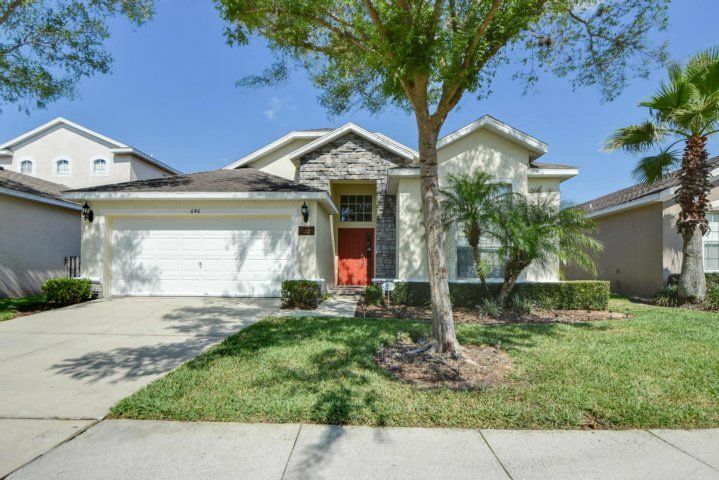 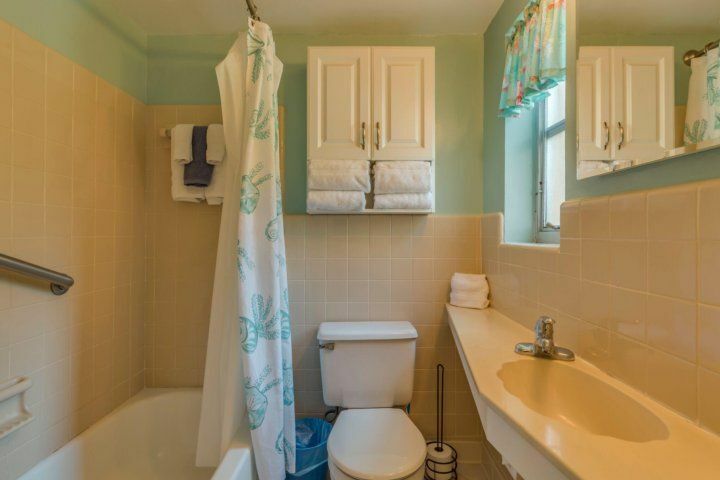 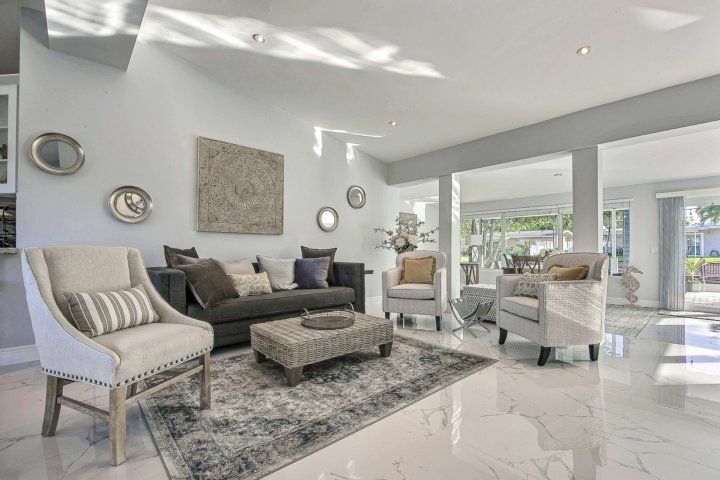 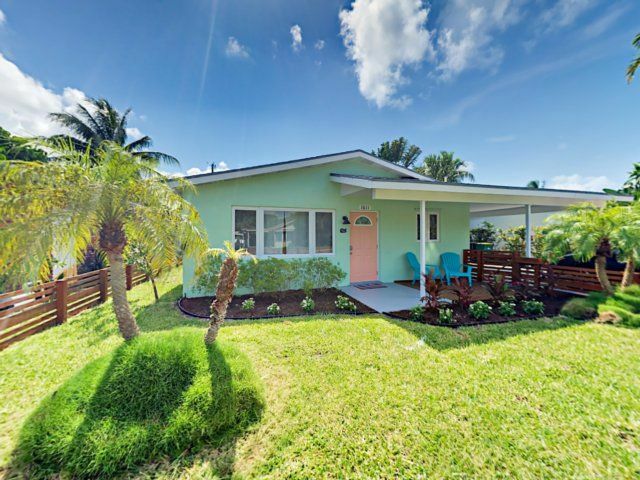 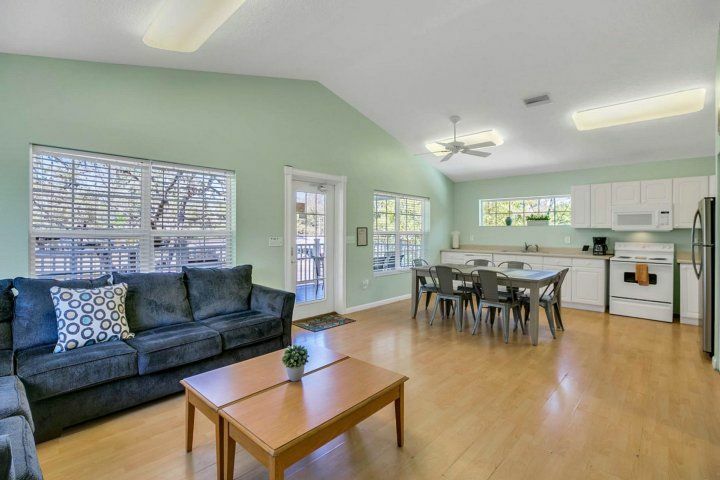 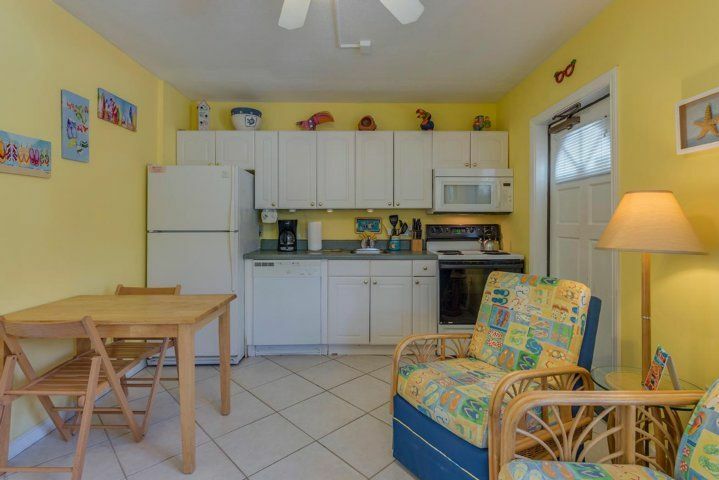 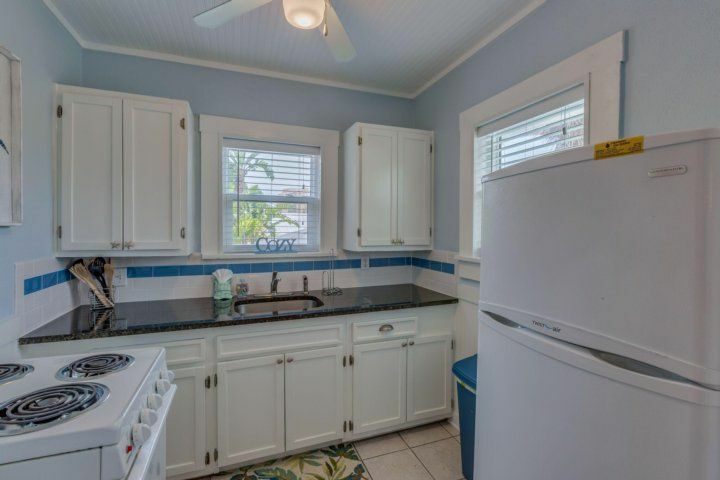 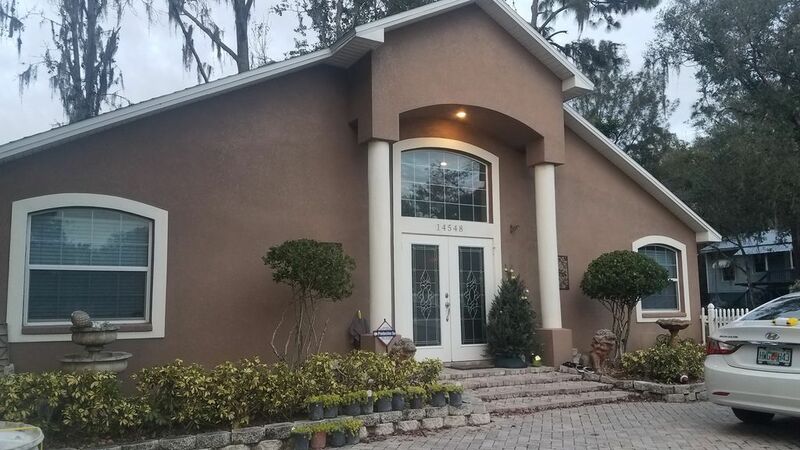 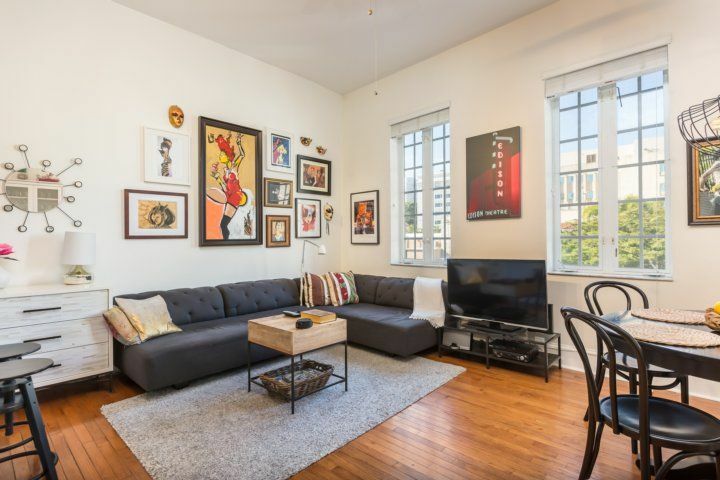 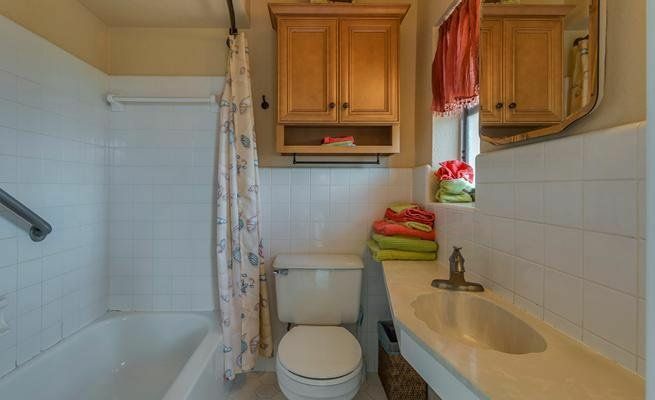 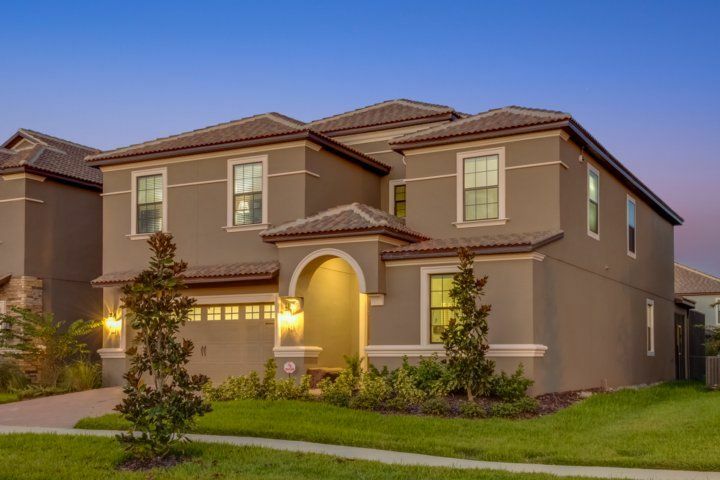 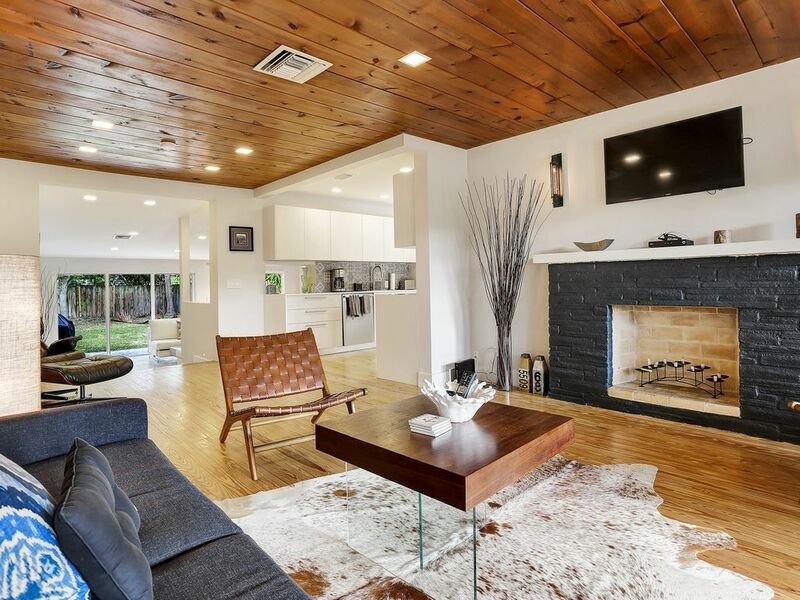 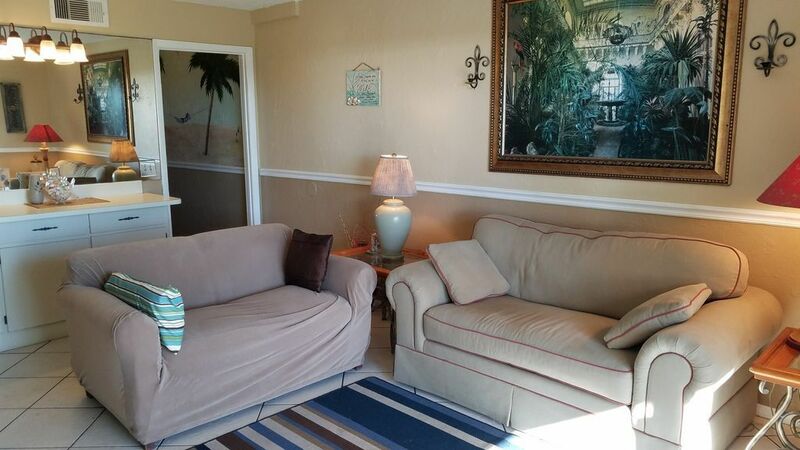 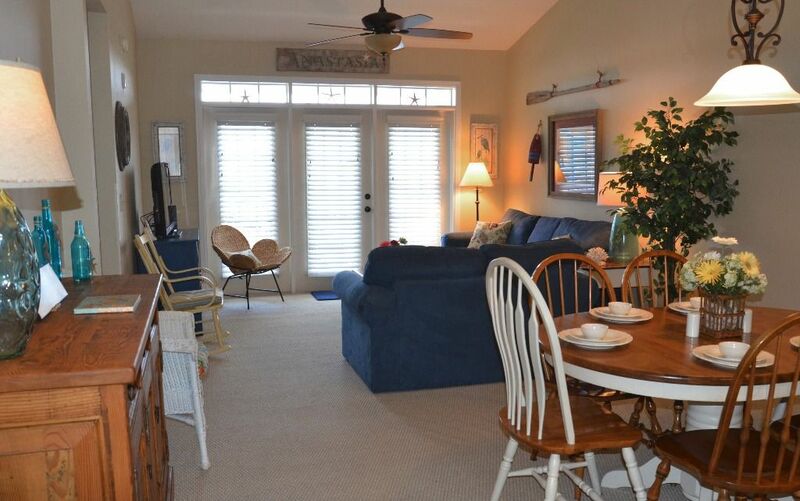 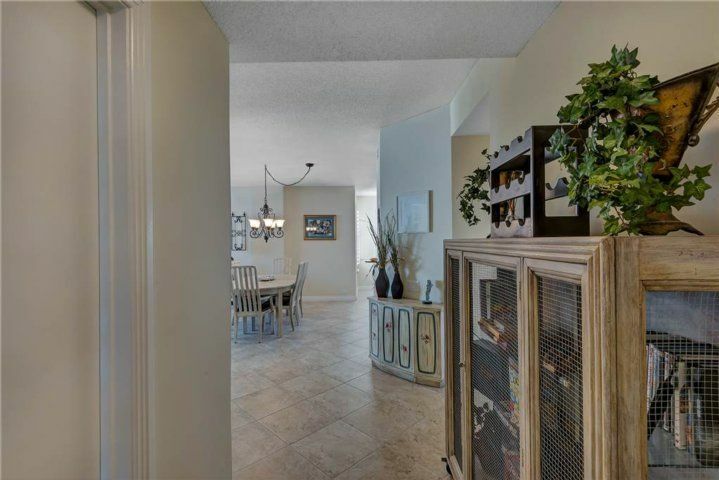 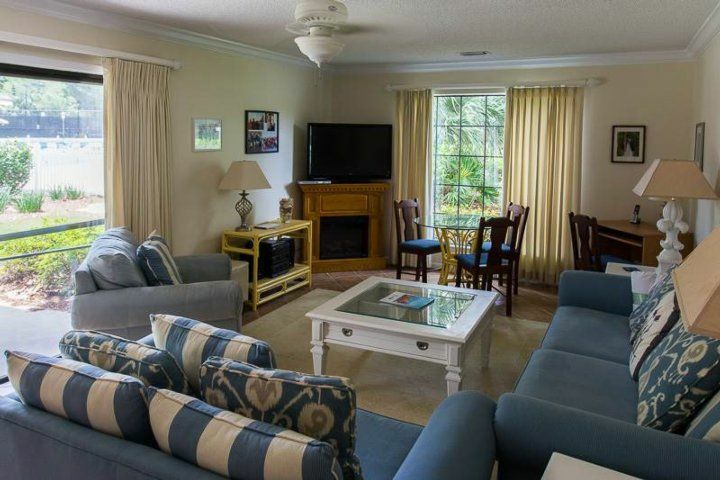 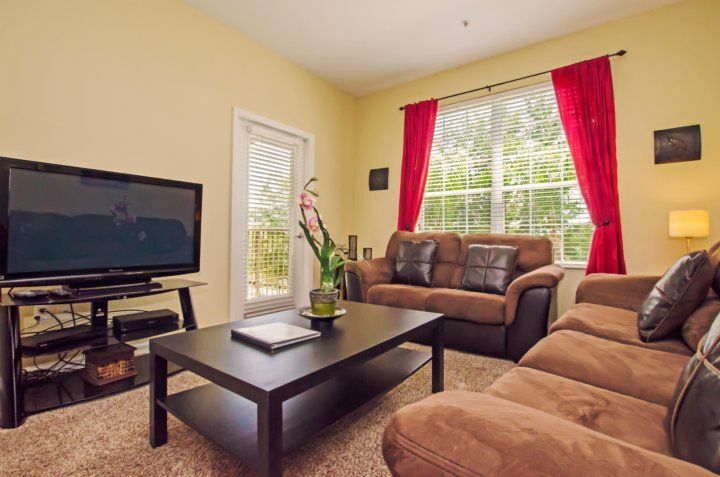 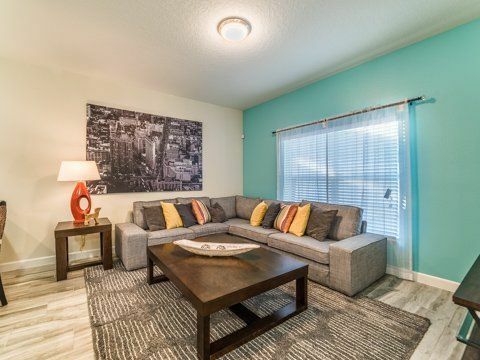 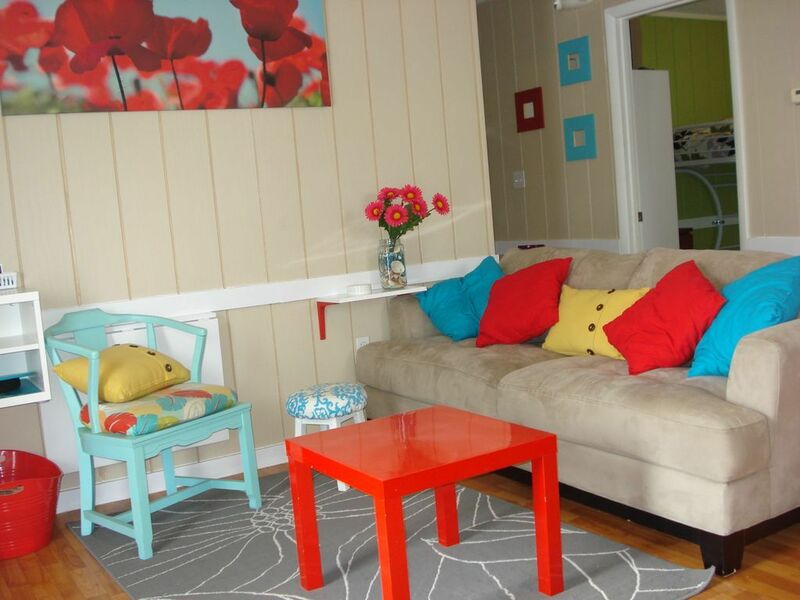 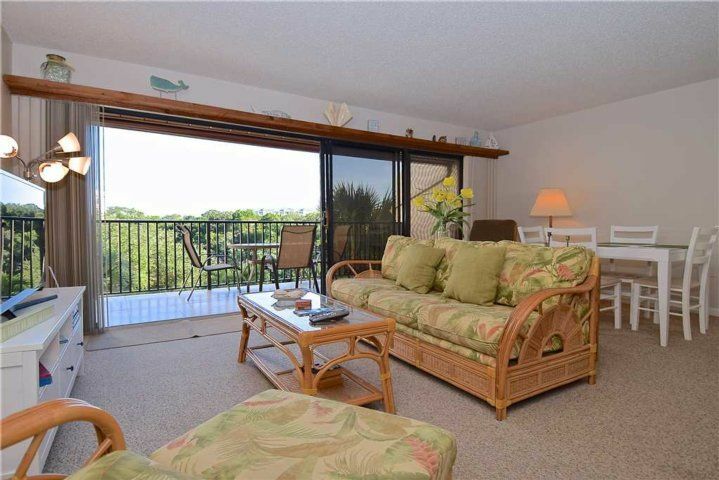 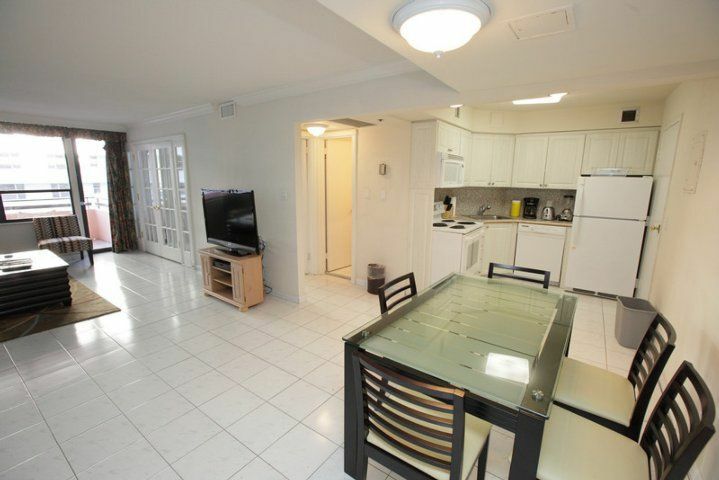 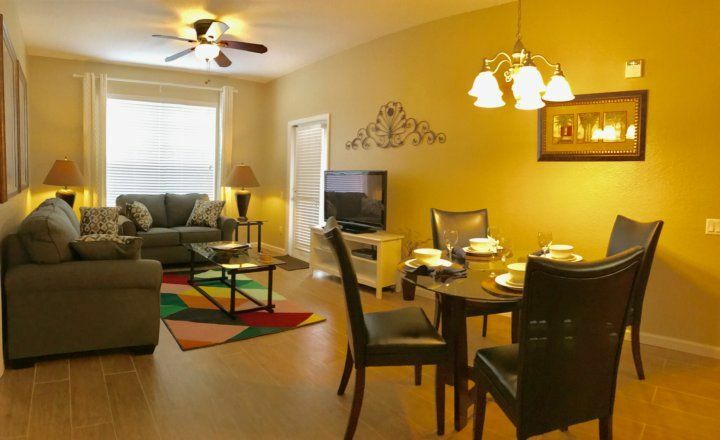 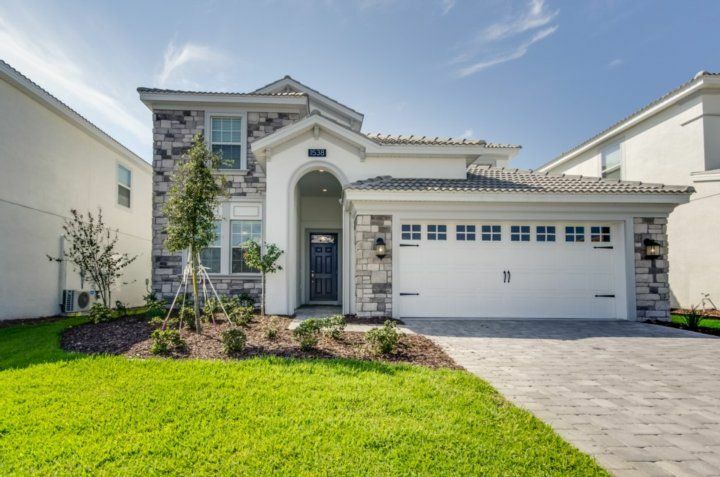 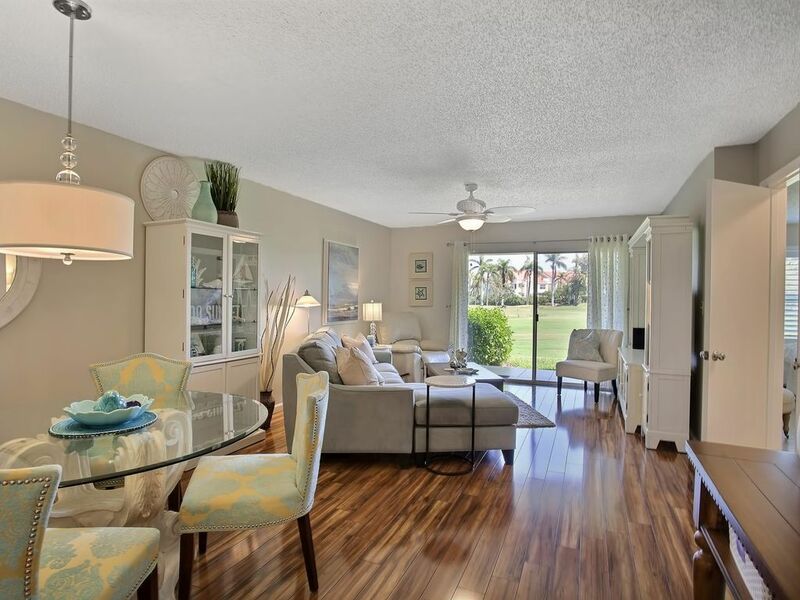 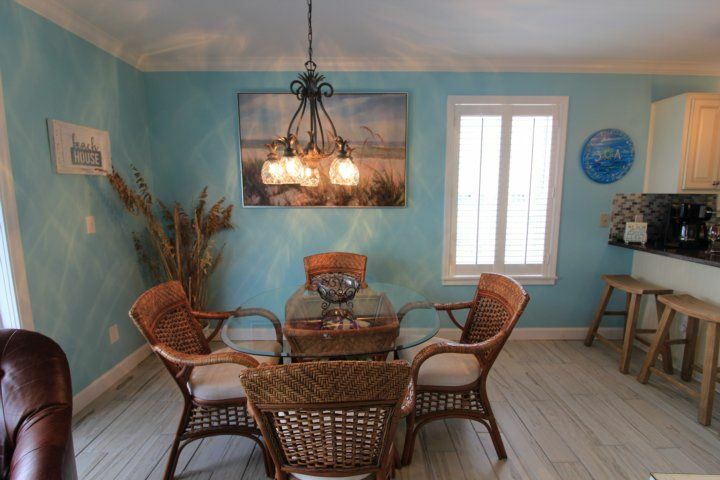 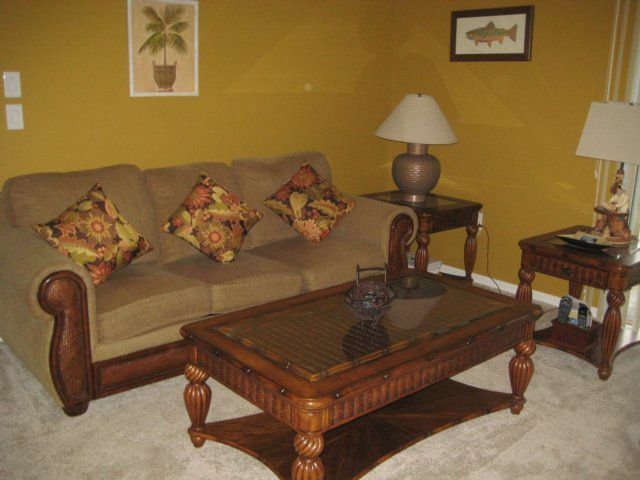 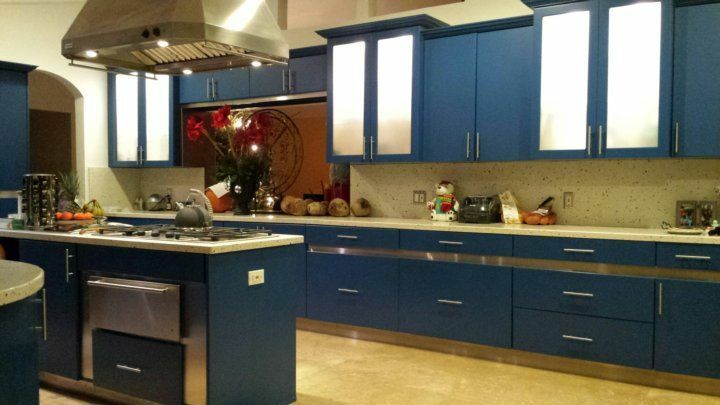 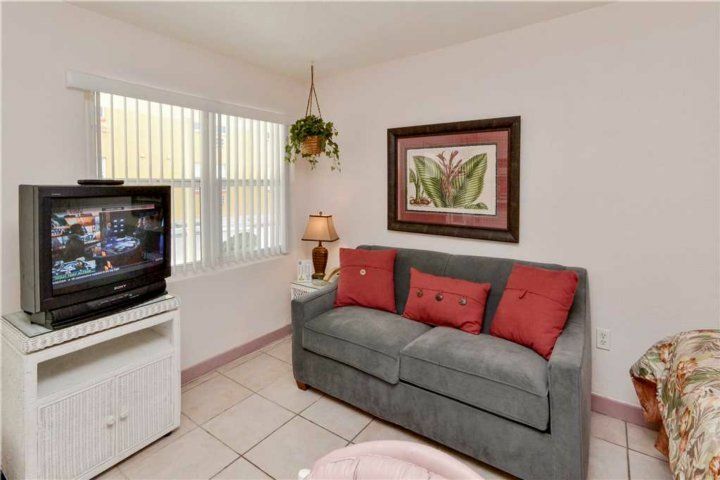 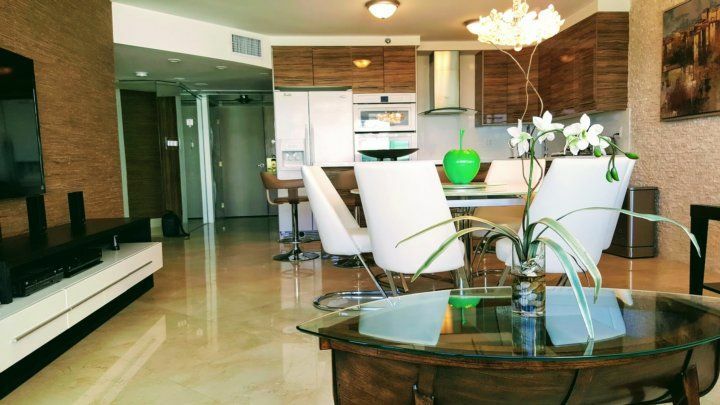 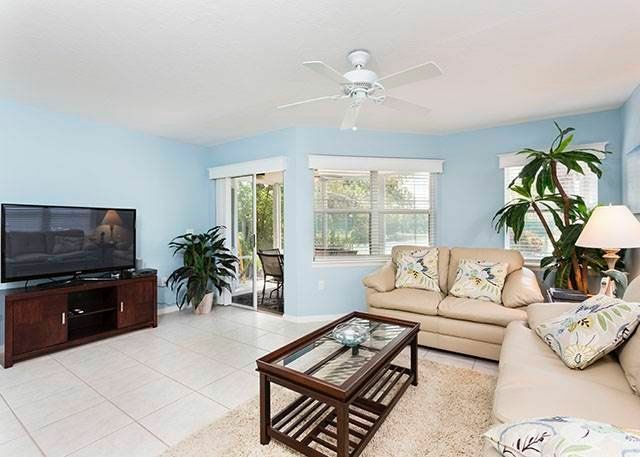 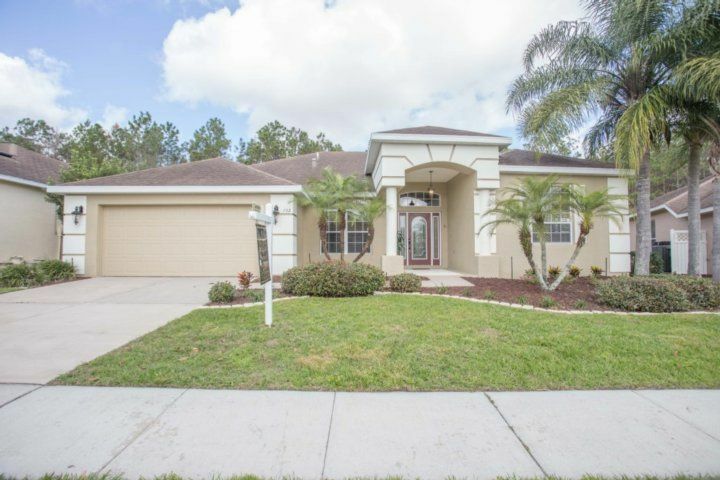 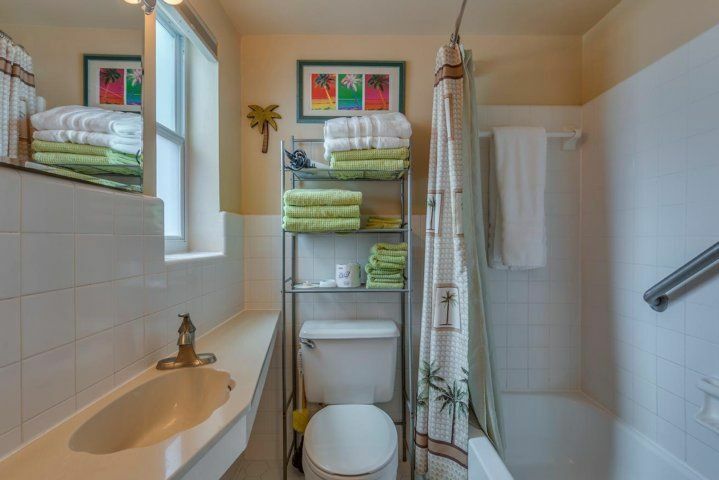 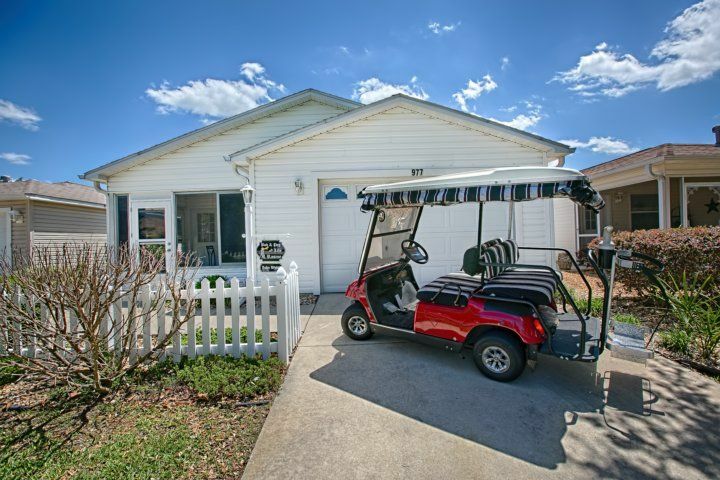 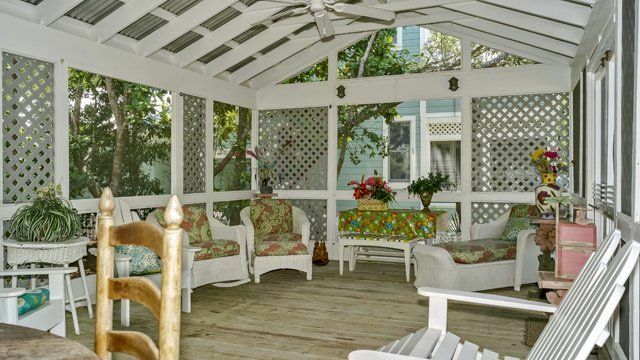 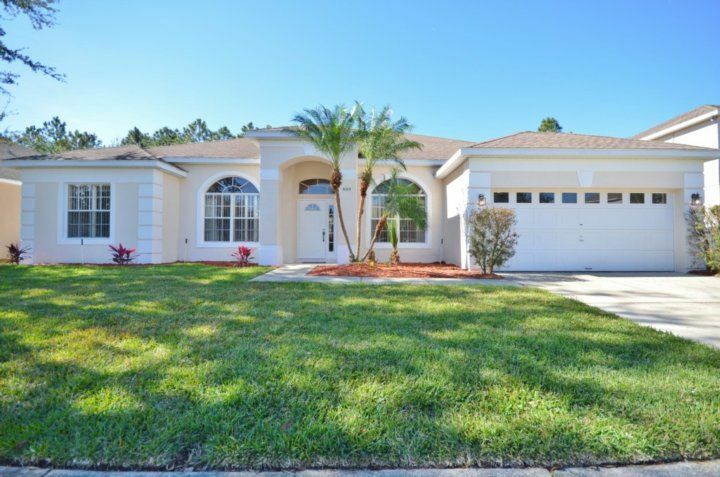 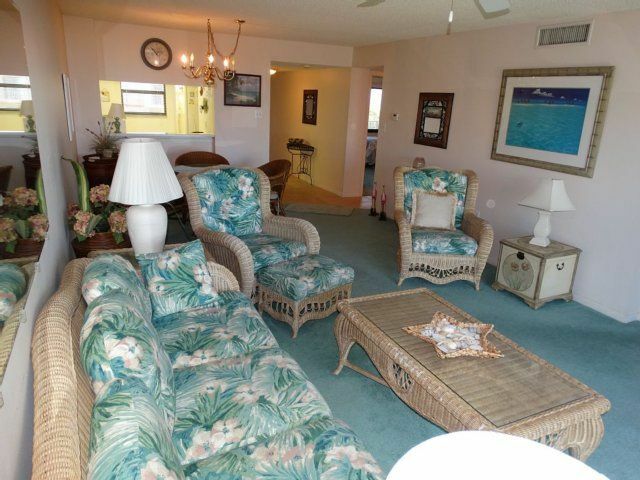 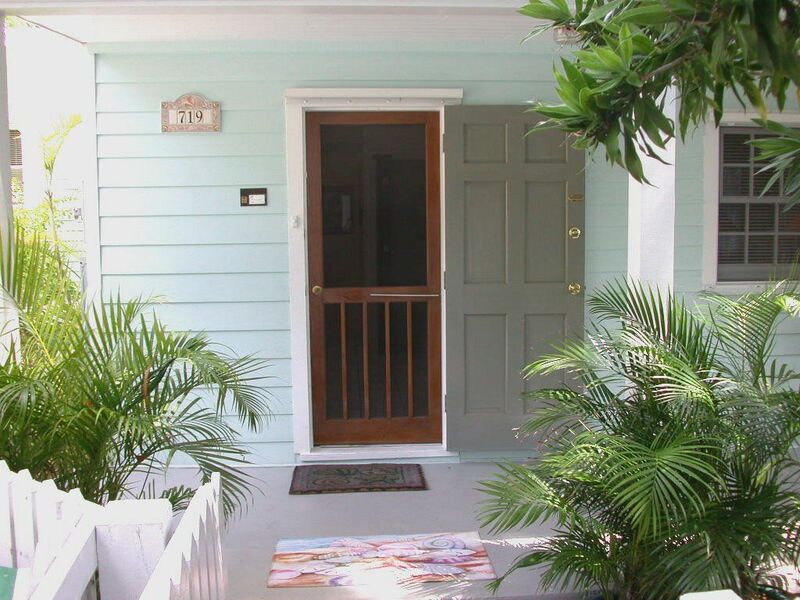 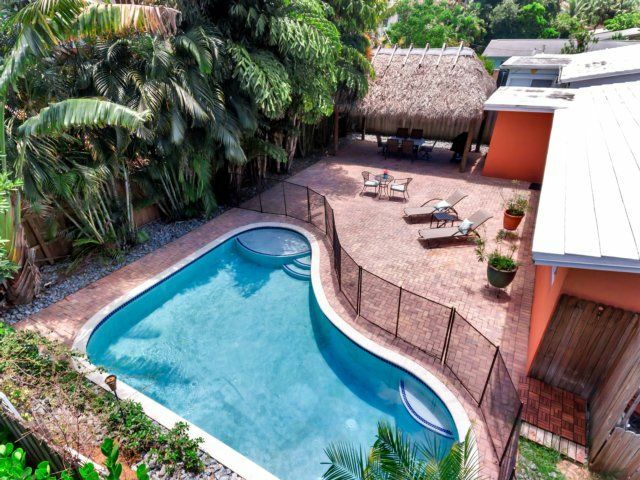 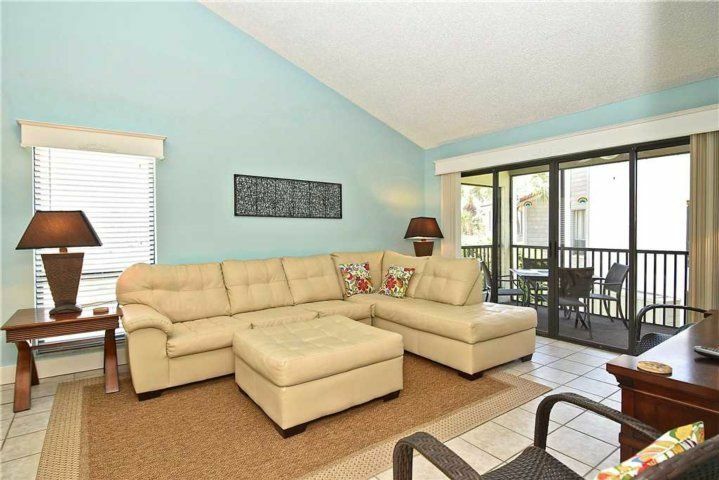 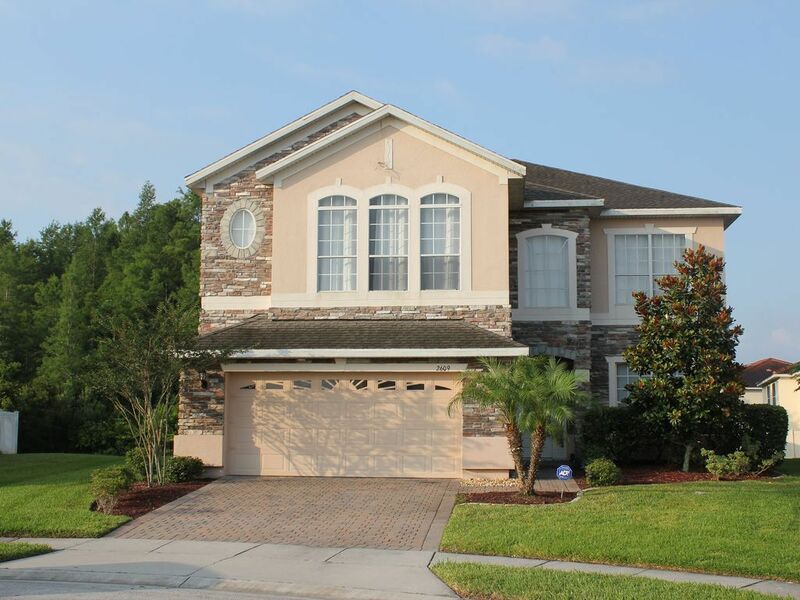 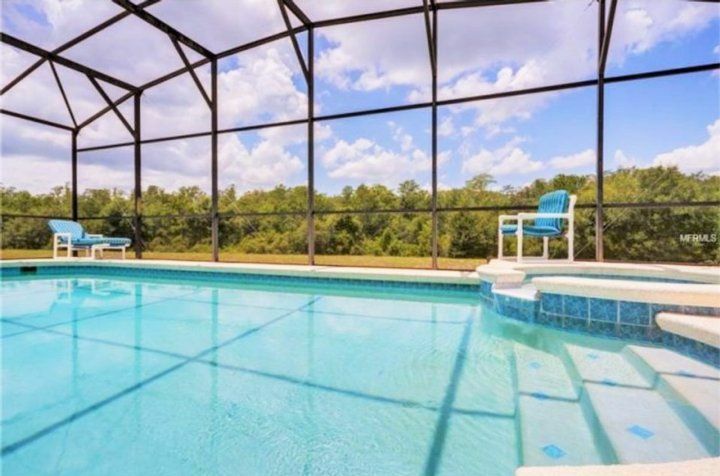 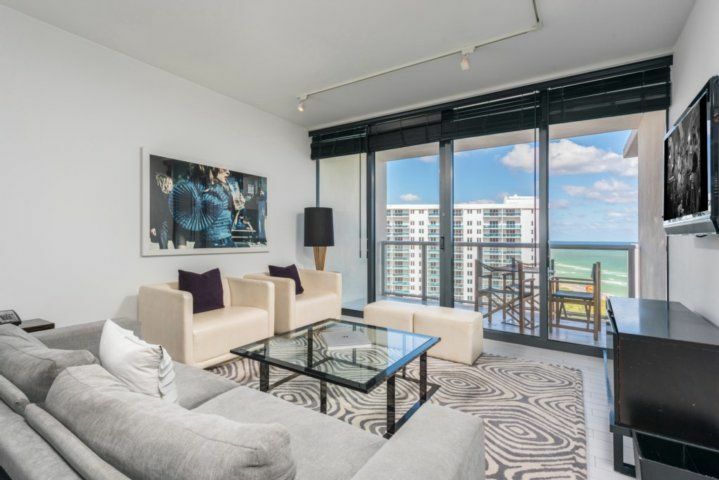 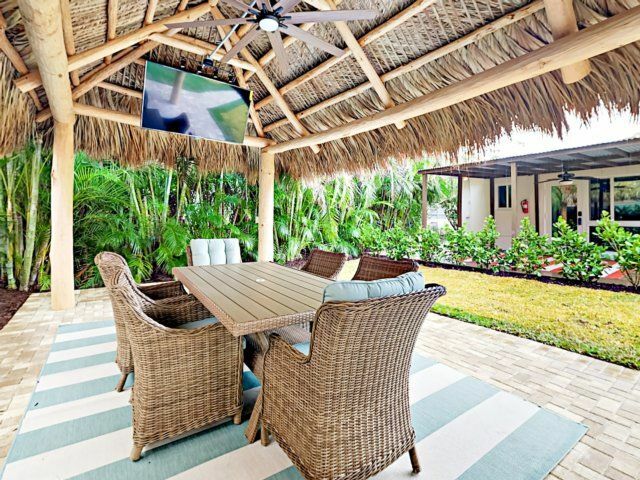 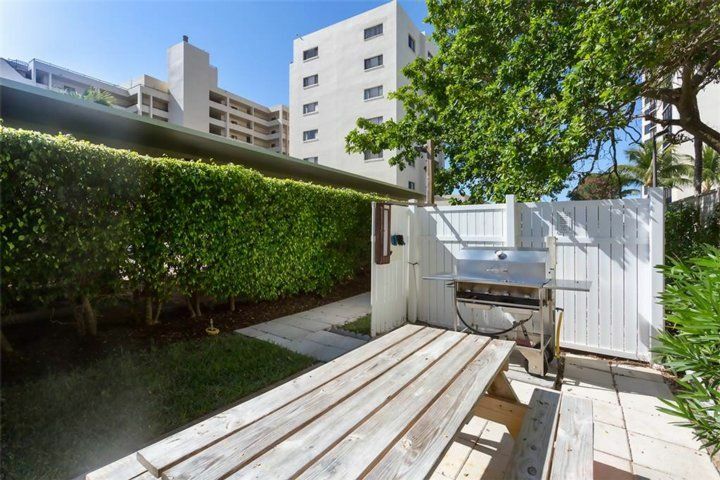 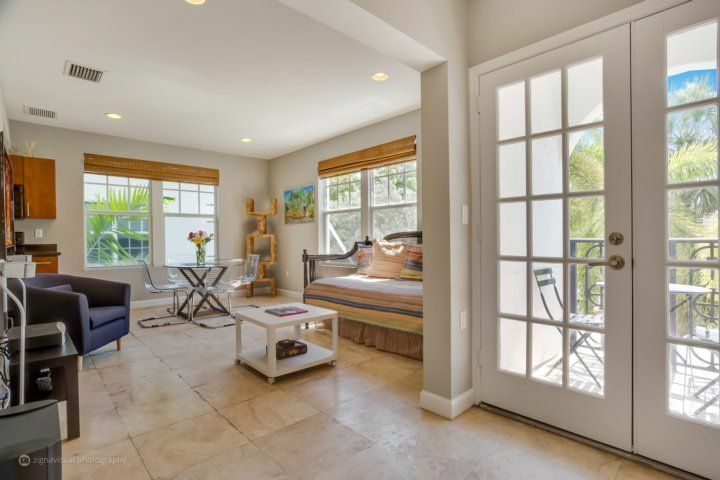 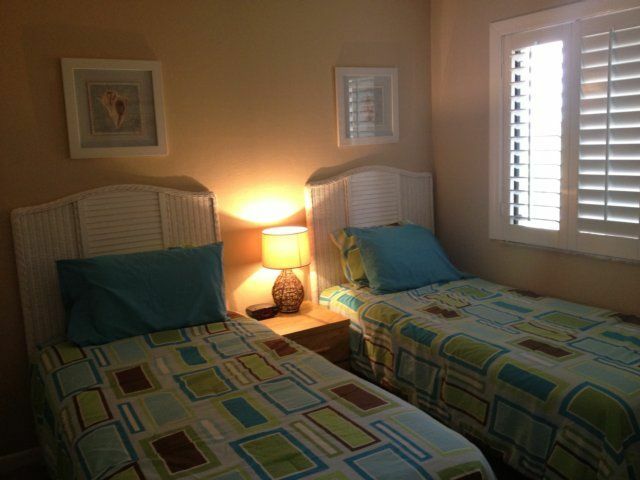 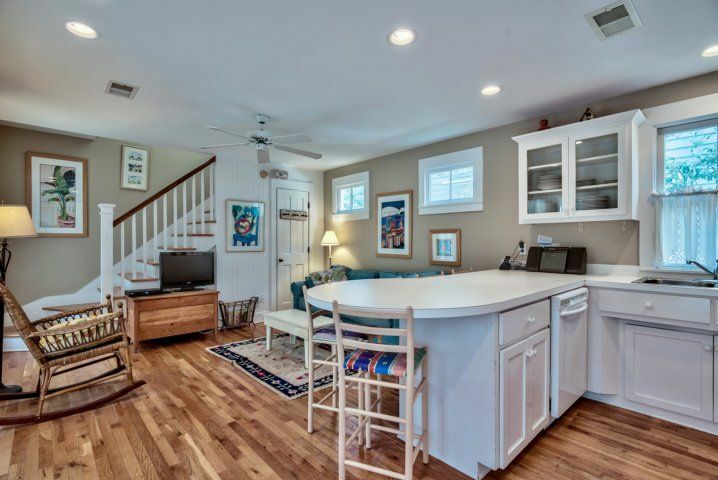 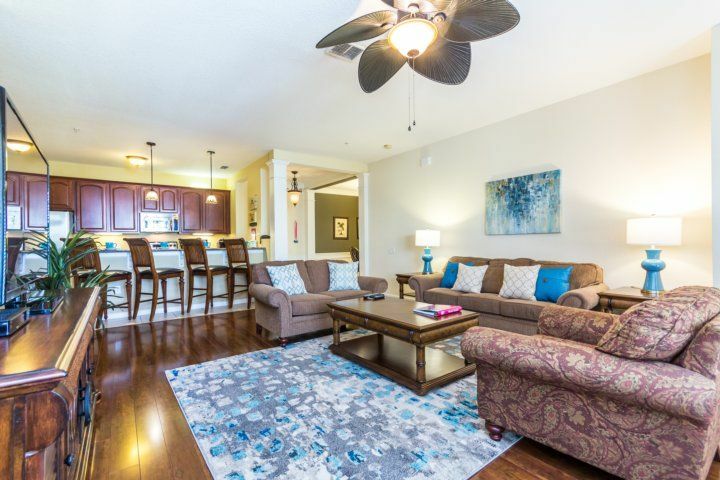 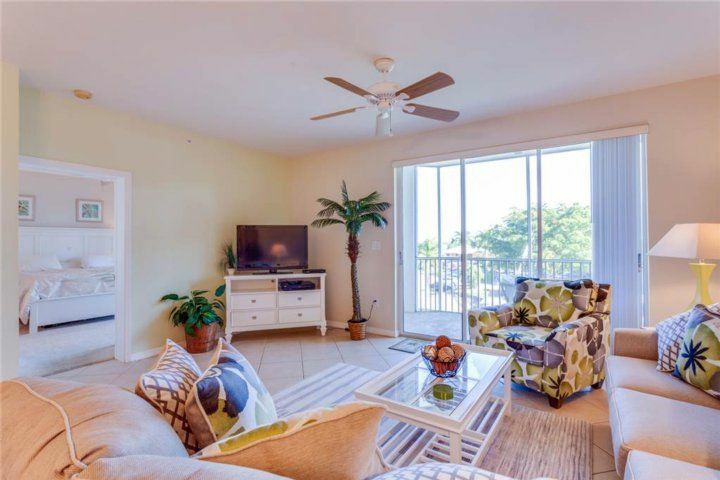 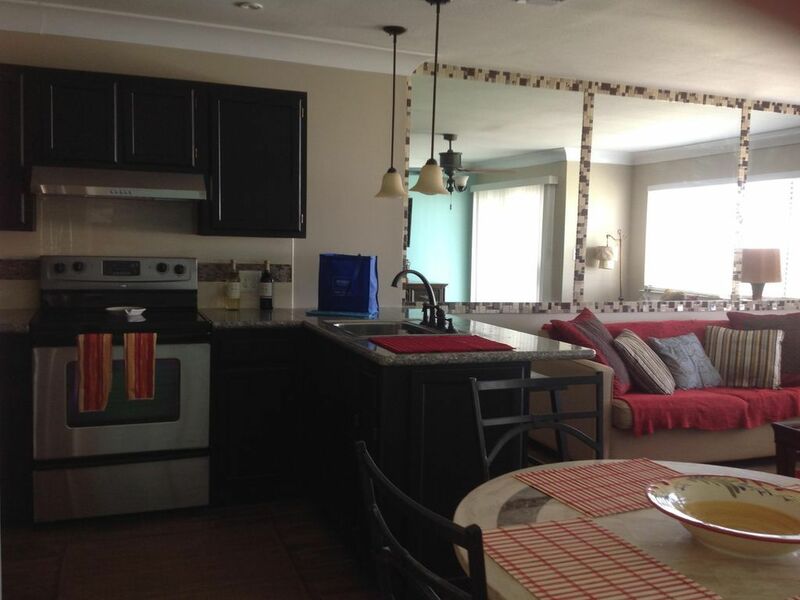 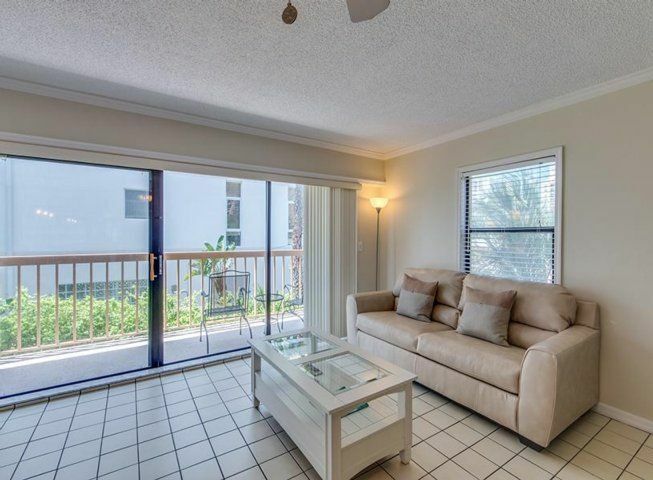 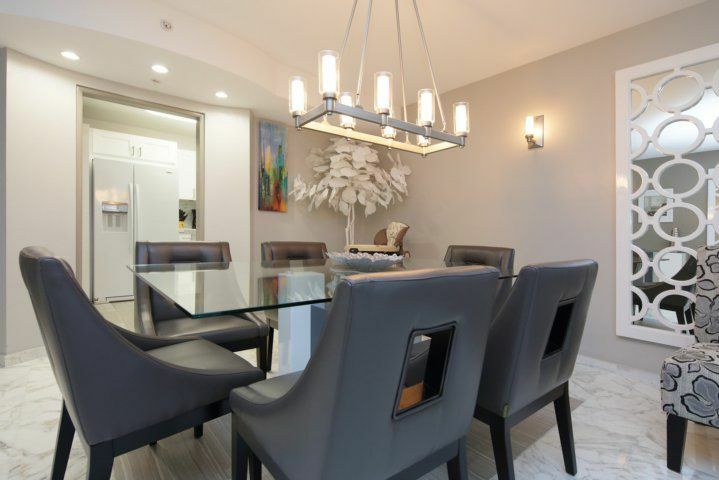 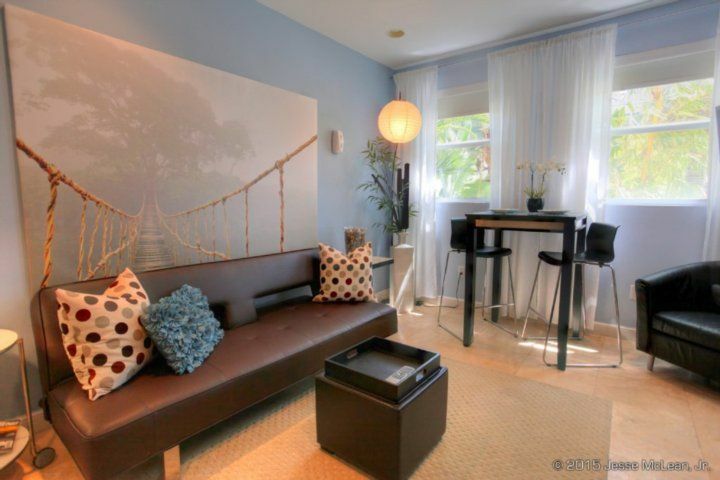 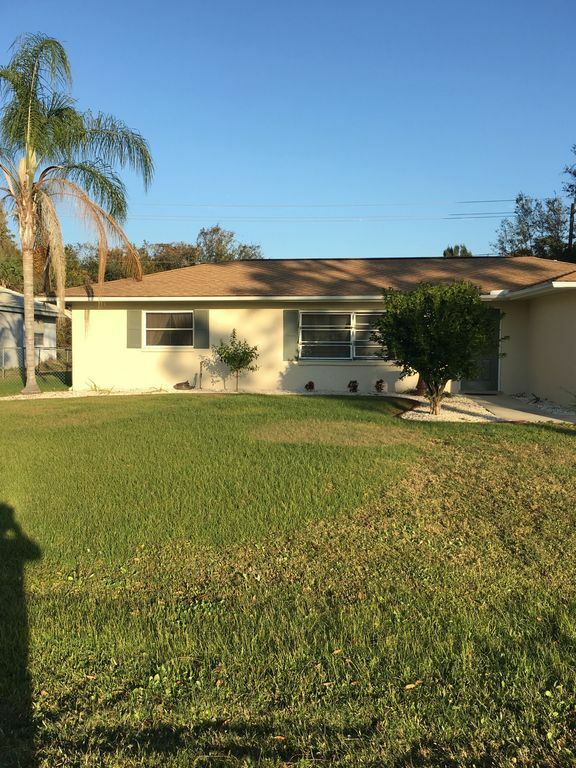 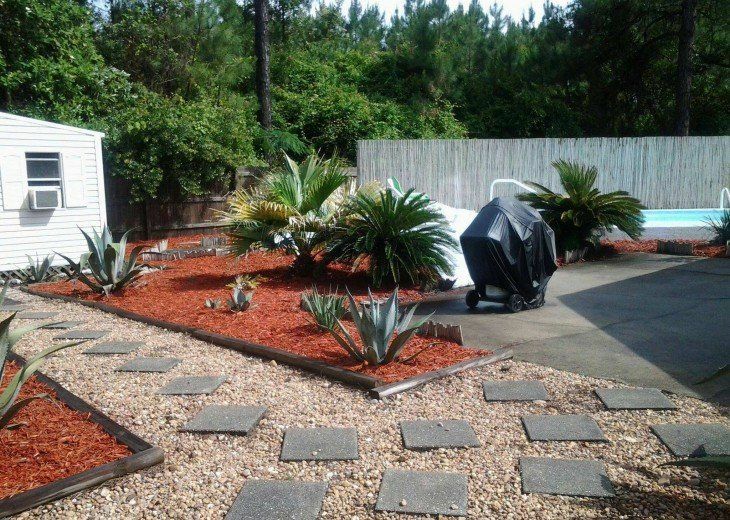 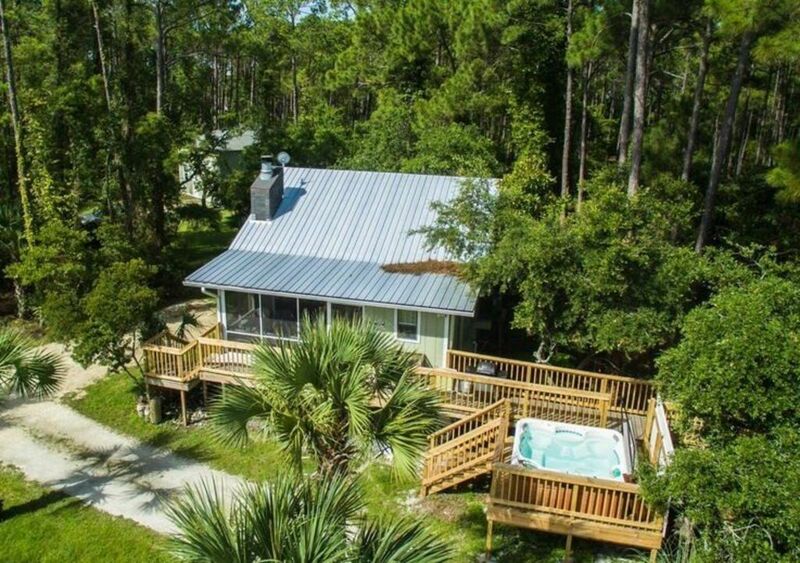 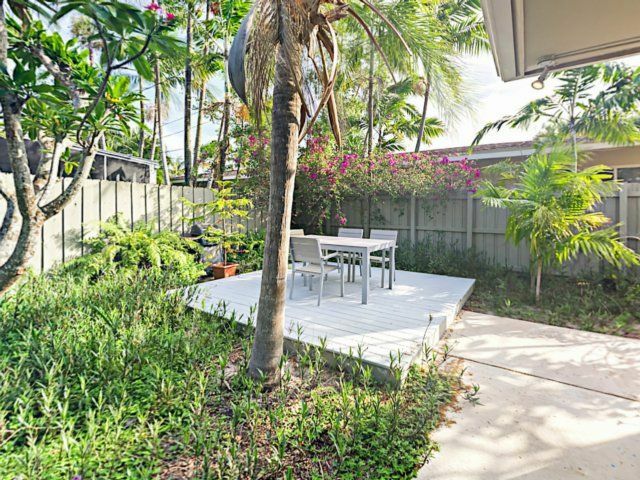 The 2 bedroom and 1 and 1/2 bath condo has a nice tropical décor for all to enjoy. 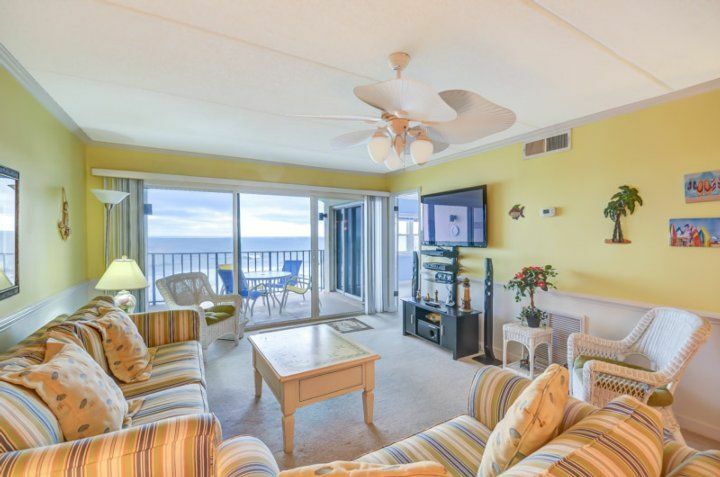 It is the perfect place to enjoy a day on the beach, relax next to the pool or watch the sunsets from your screened balcony. 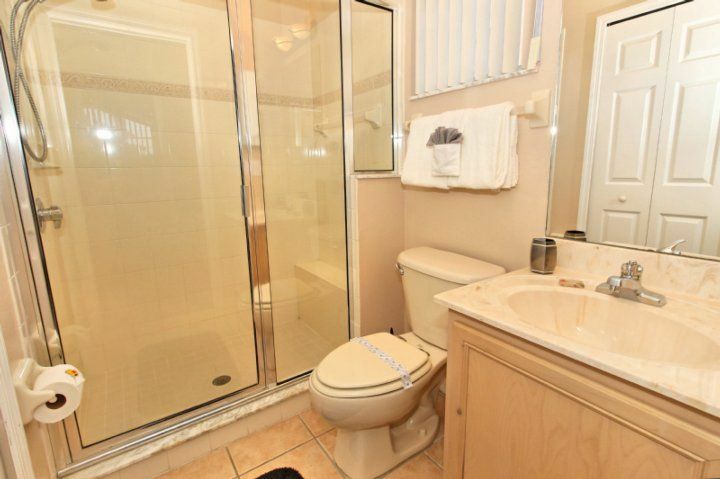 (Non- smoking unit). 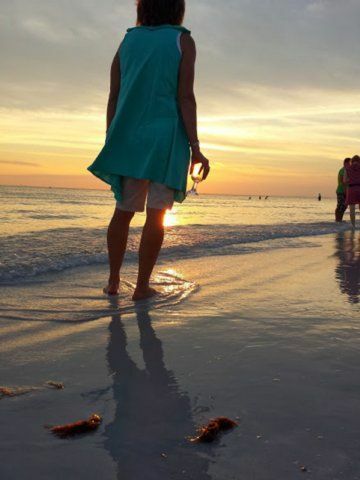 Silvia Hartmann Show Phone No.